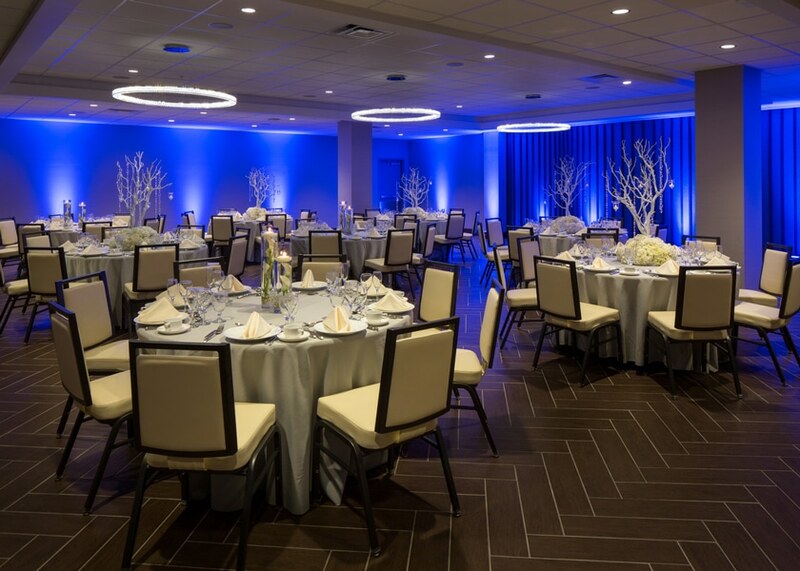 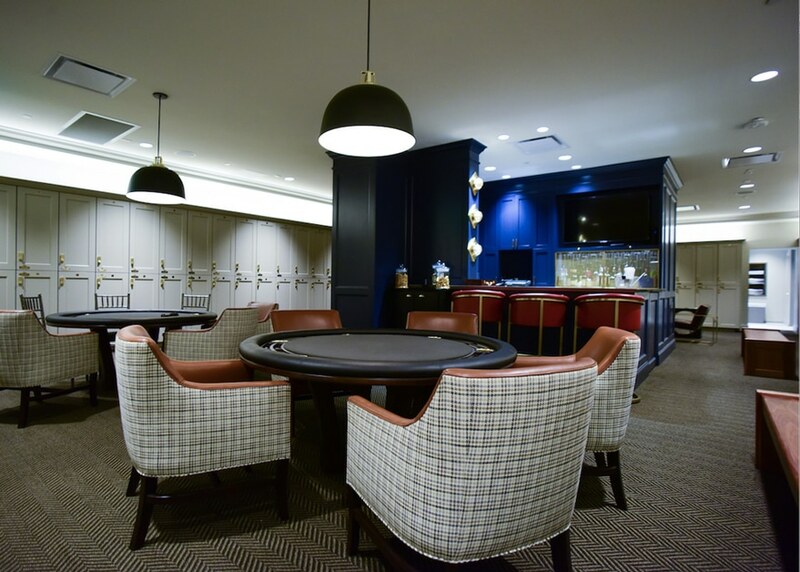 Connor & Gaskins renovated the entire building, including 266 suites, club lounge, ballrooms and common areas. 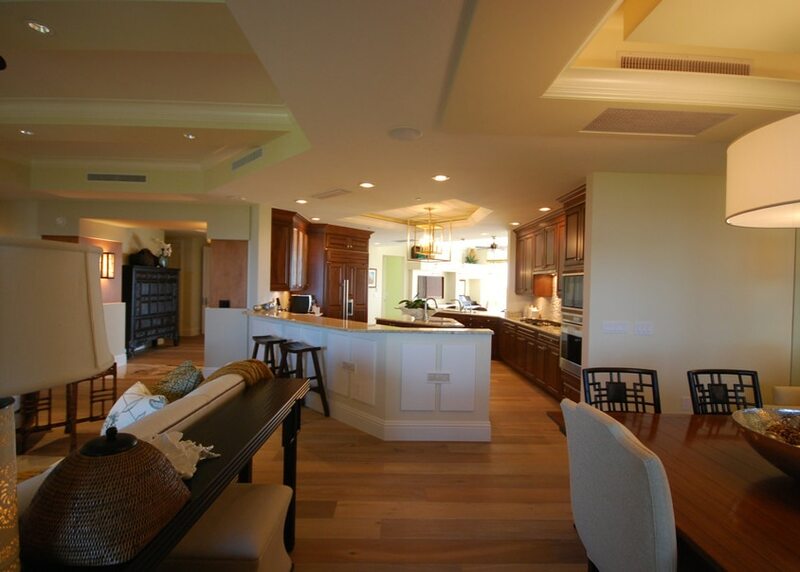 Scope of work includes completion of residential towers, villas, town homes, retail, hardscape and water features. 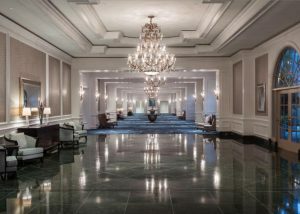 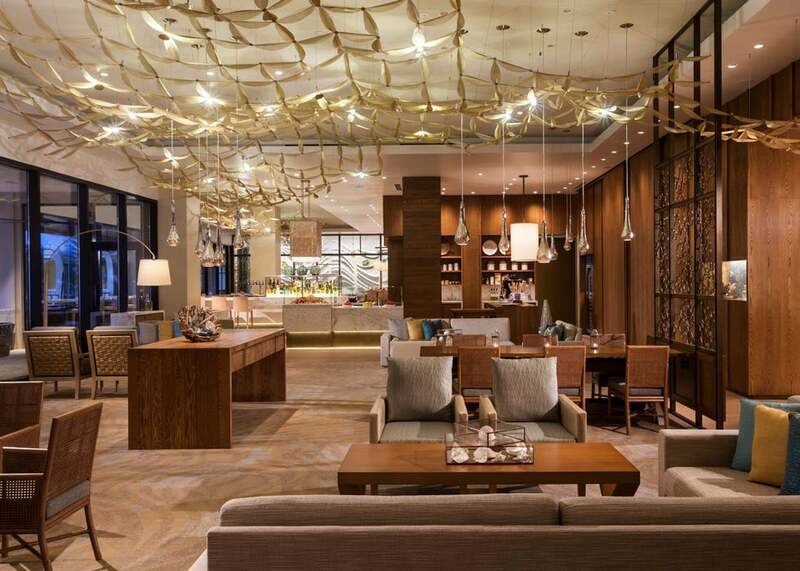 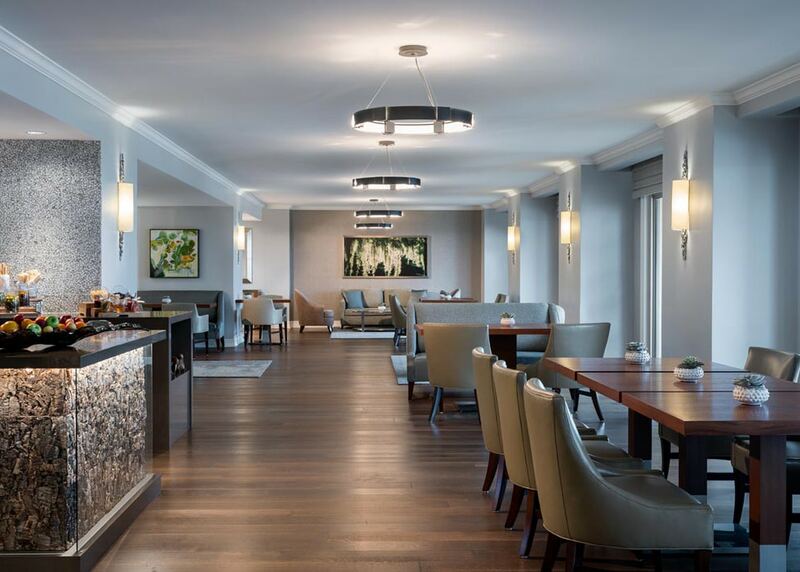 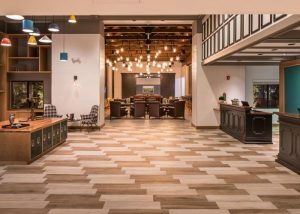 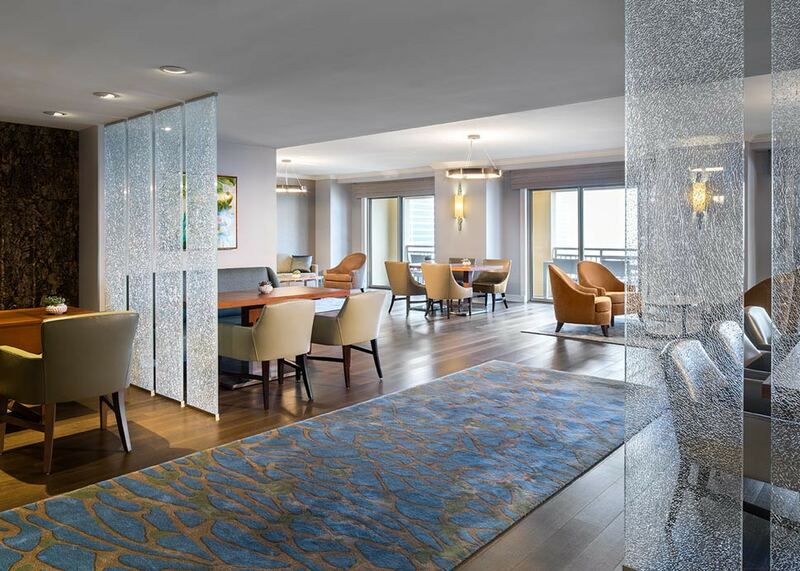 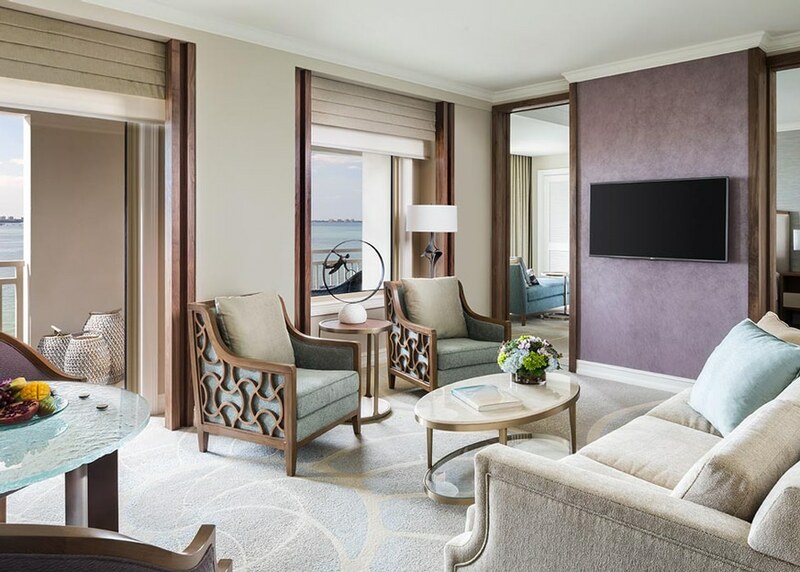 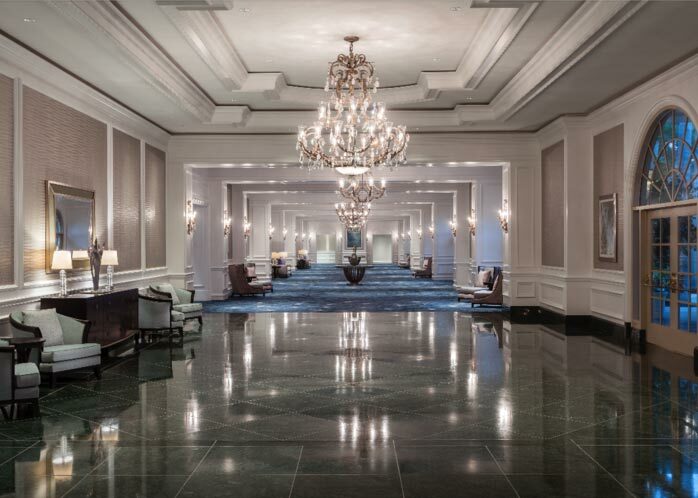 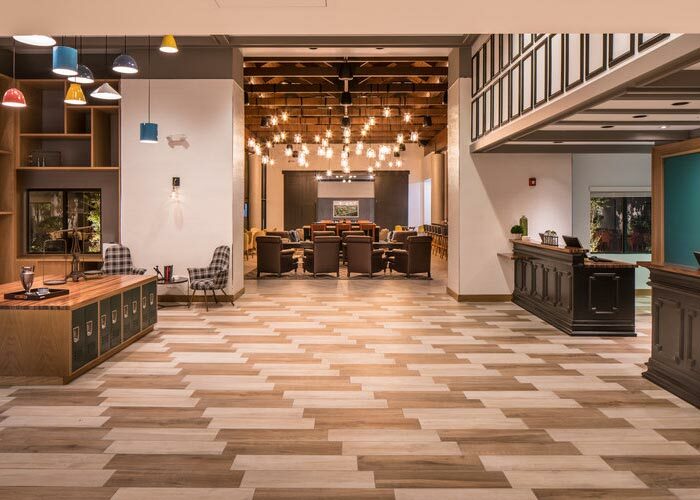 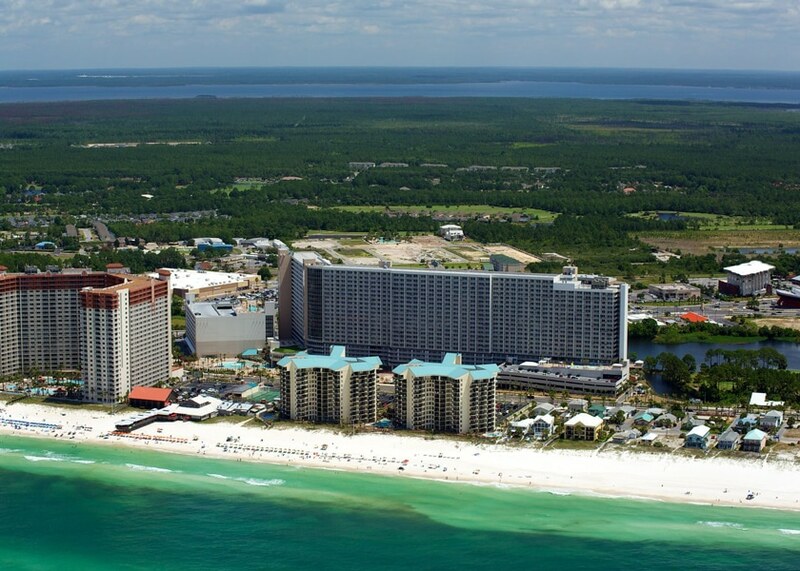 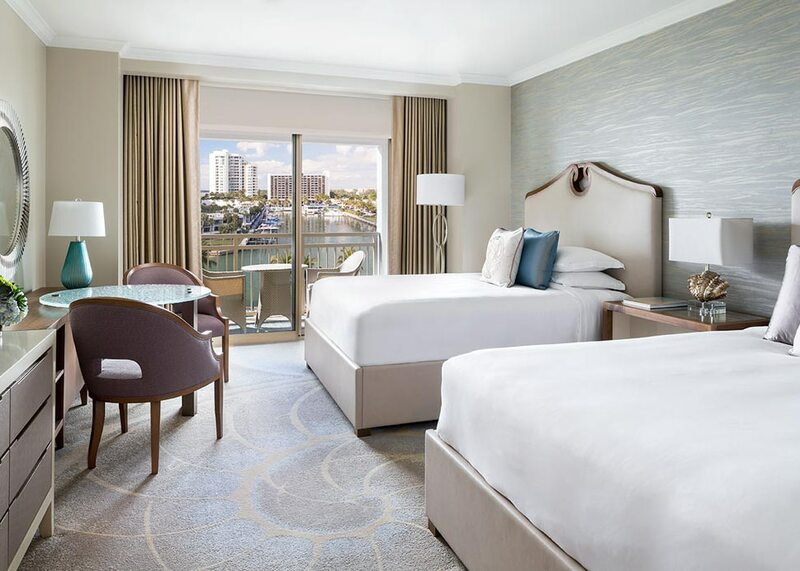 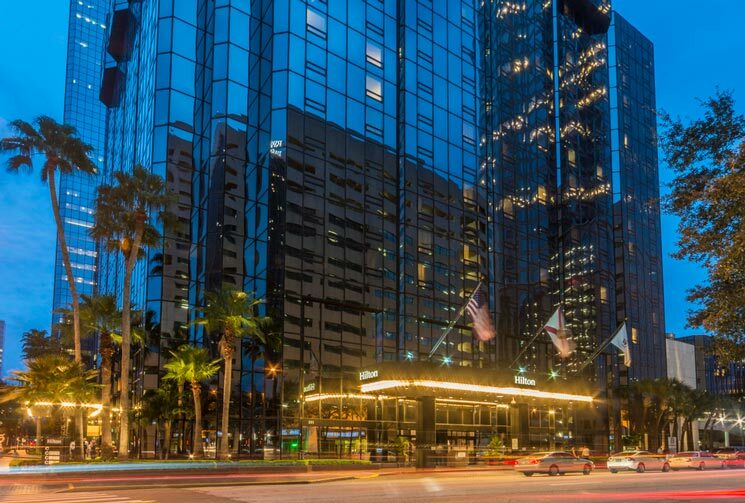 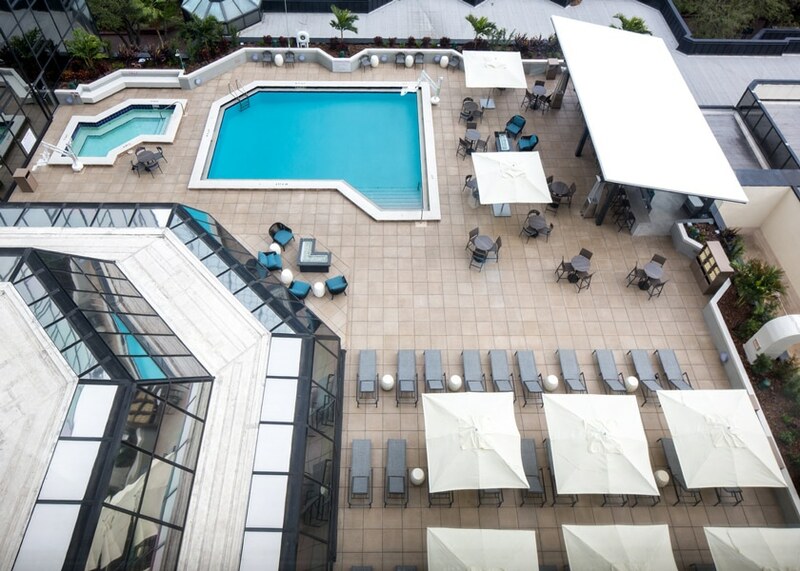 Connor & Gaskins renovated the entire hotel, including 206 guestrooms, corridors, lobby, bar, restaurant, kitchen, swimming pool and hardscape common areas. 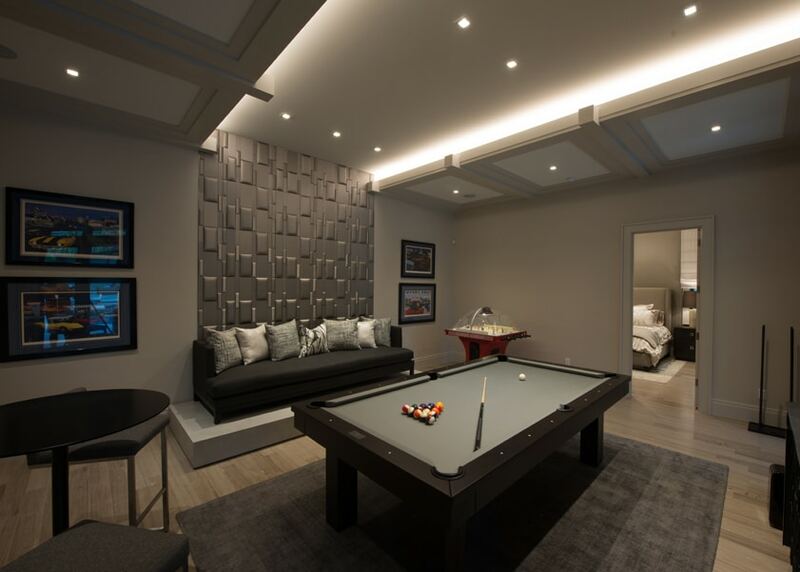 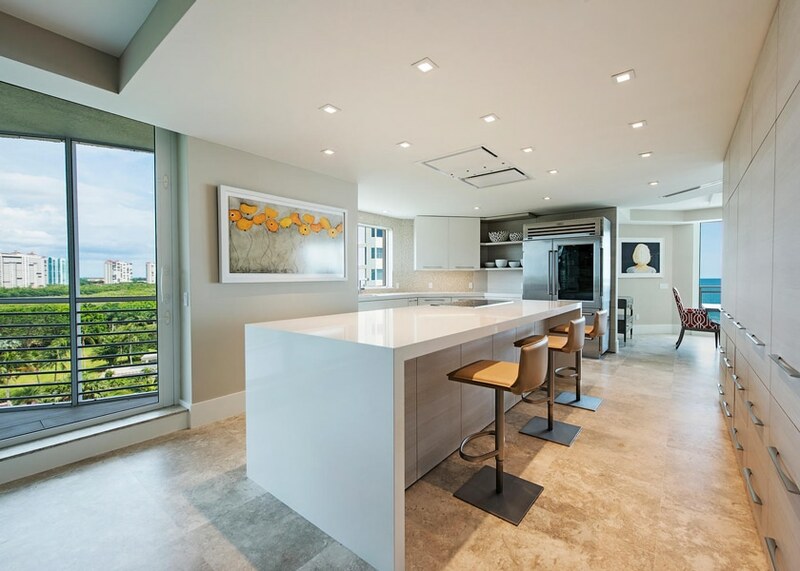 Connor & Gaskins renovated the complete interior of a Windsor Penthouse (10,000 sq. 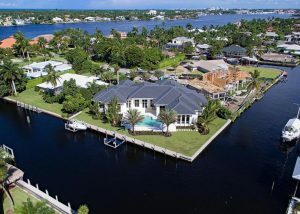 ft.) located in Bay Colony of Naples, FL. 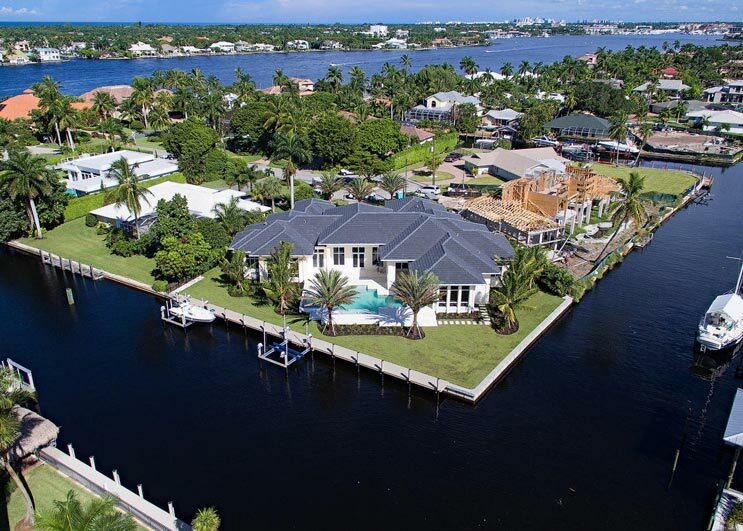 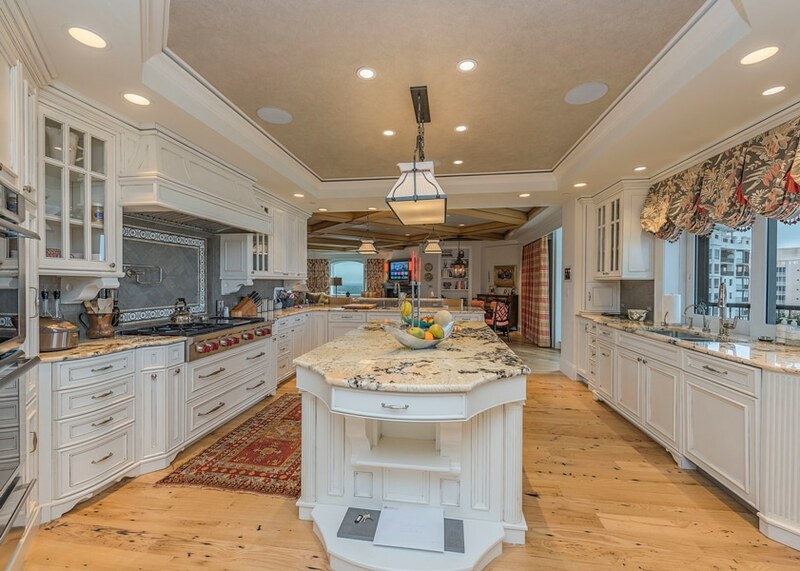 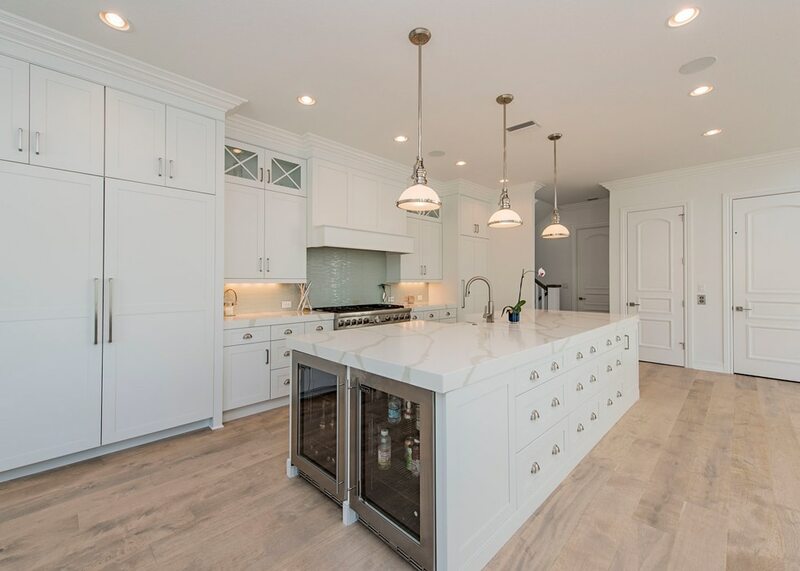 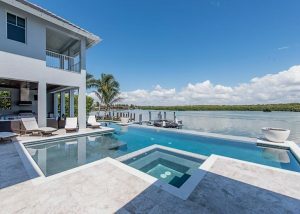 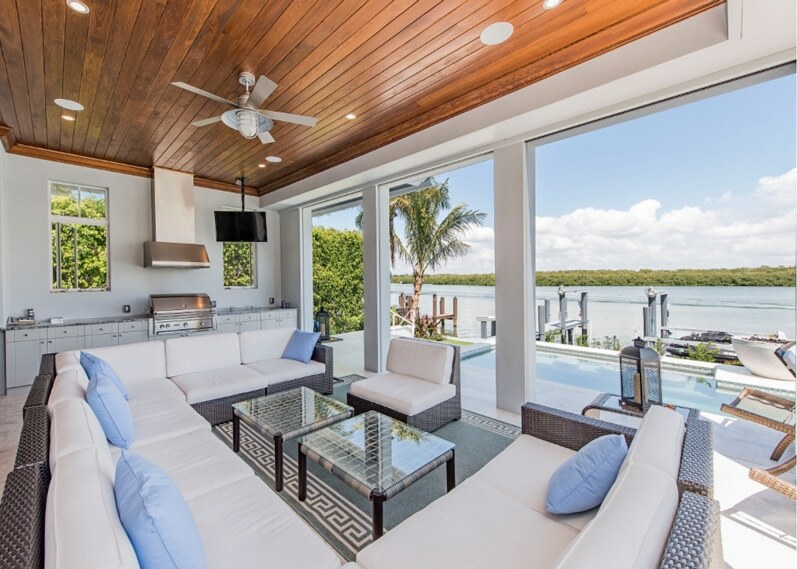 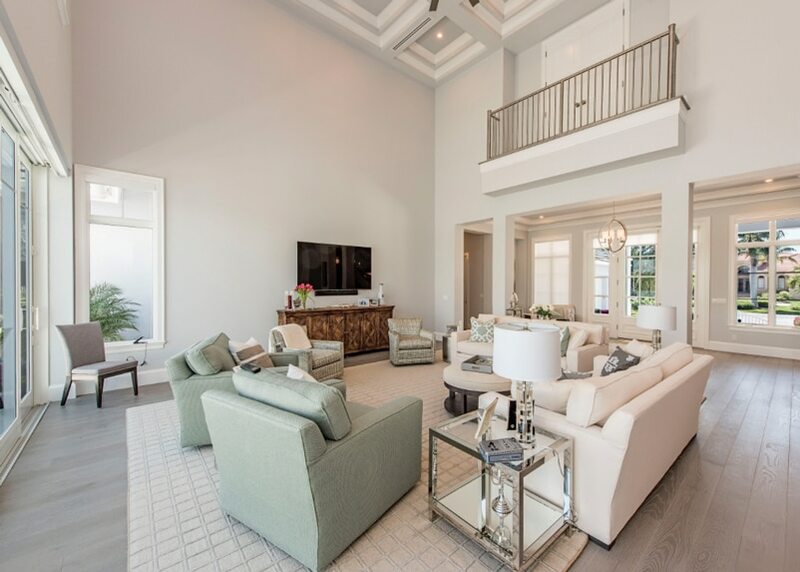 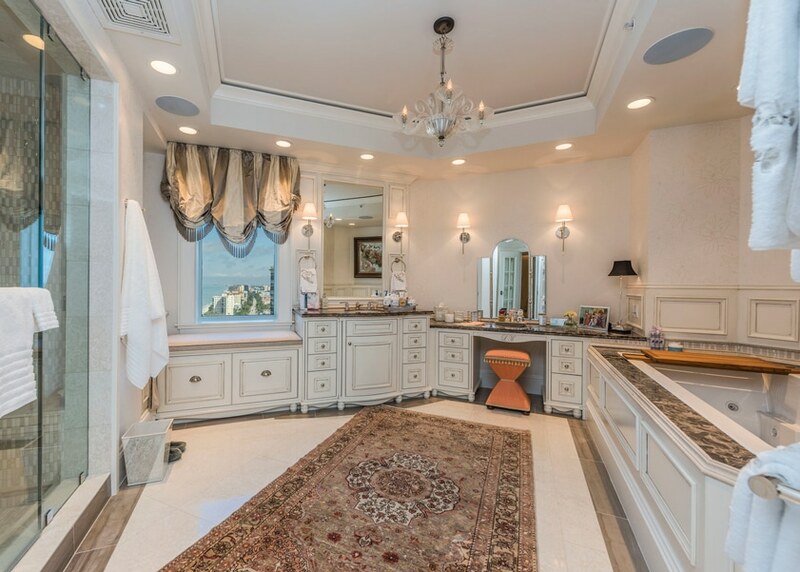 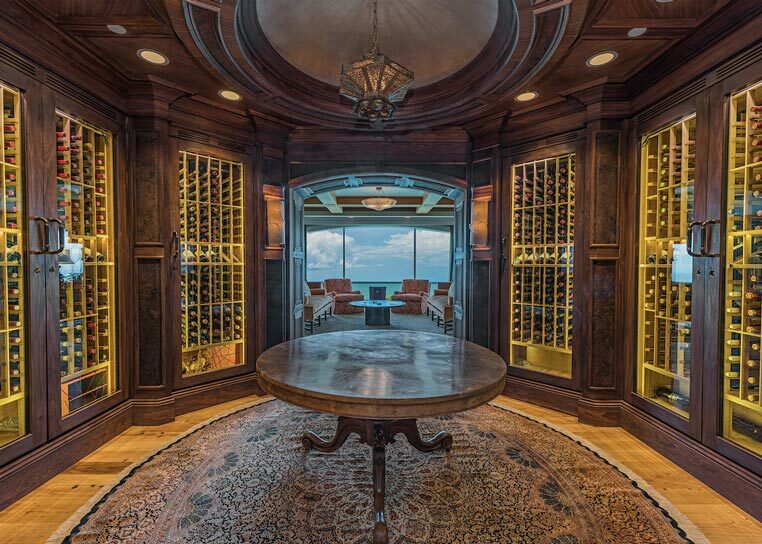 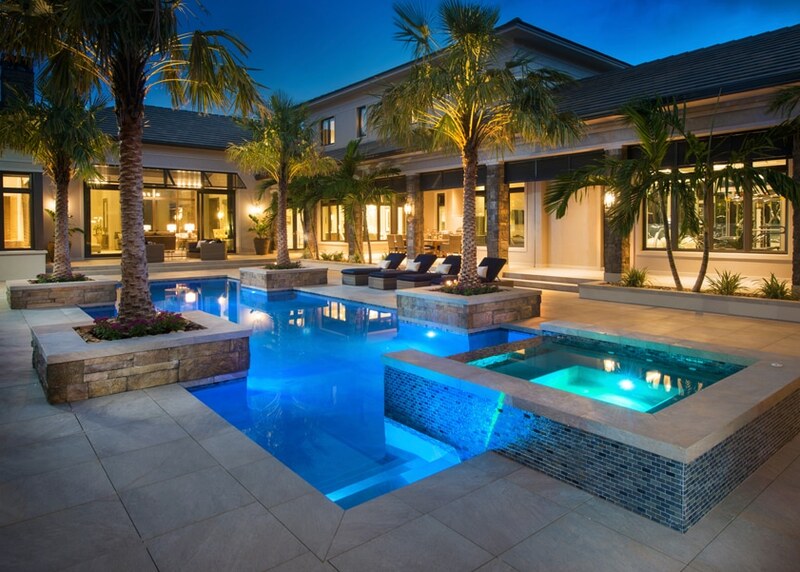 Connor & Gaskins built a custom home located in Royal Harbor in Naples, FL. 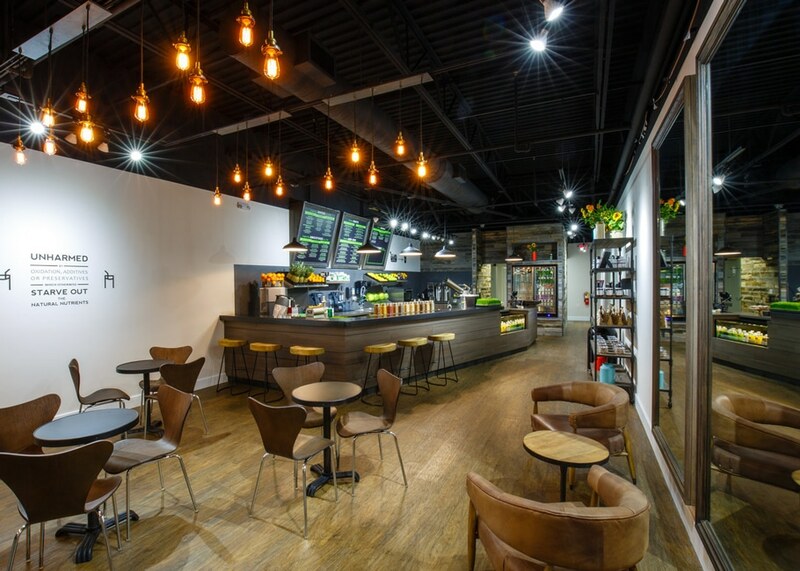 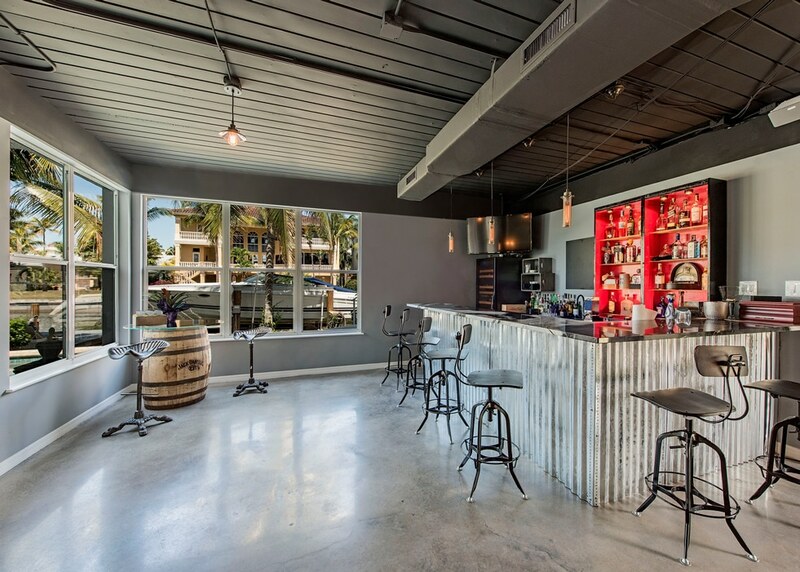 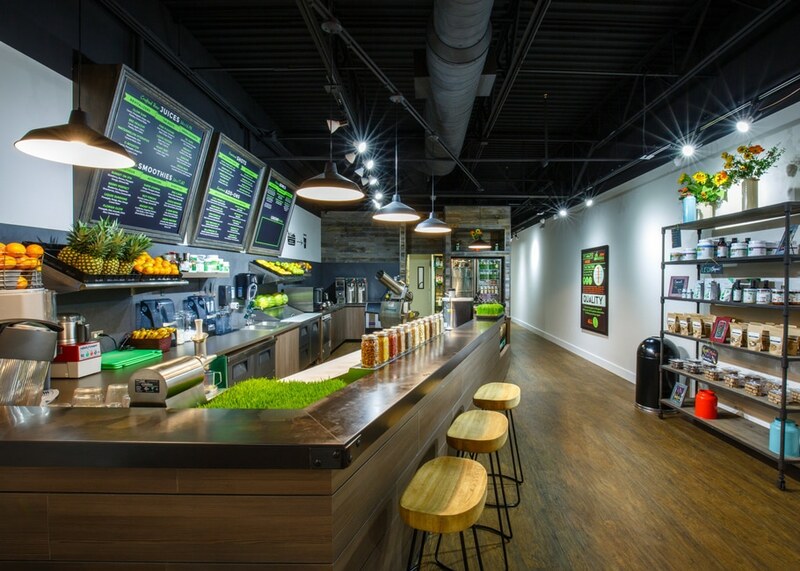 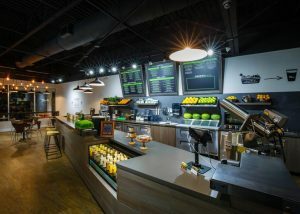 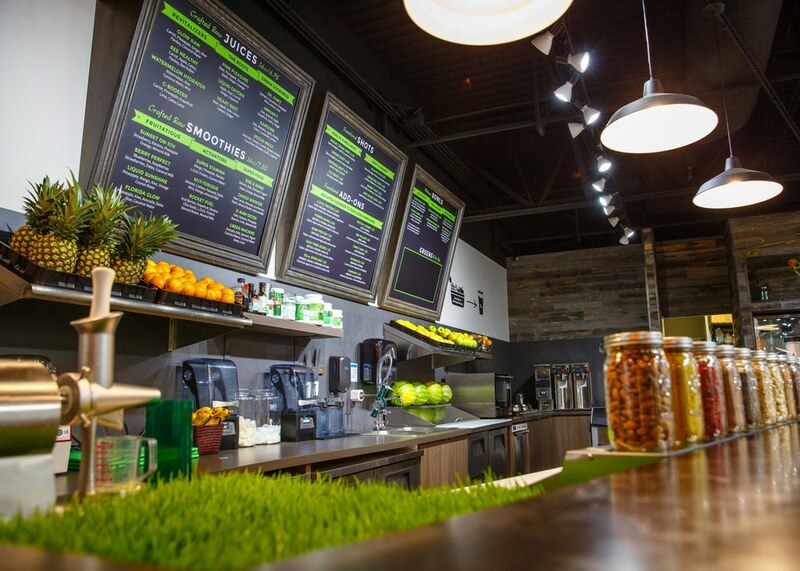 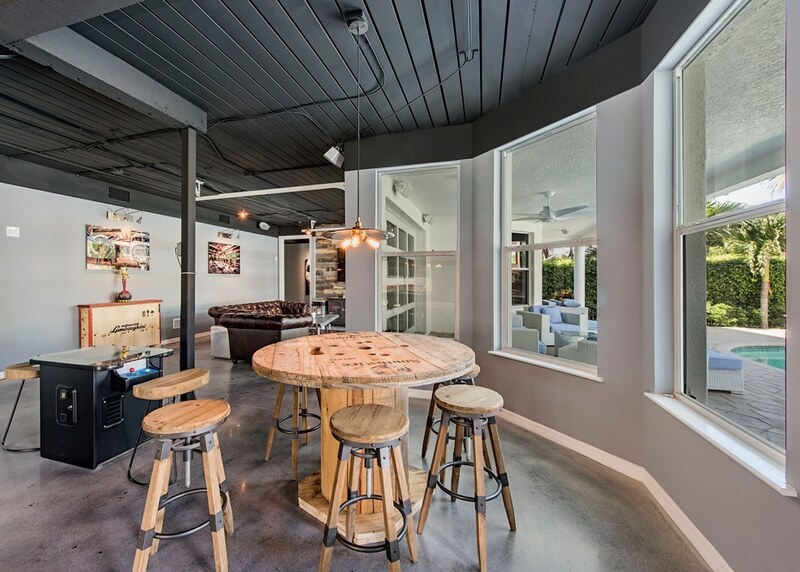 Connor & Gaskins designed and constructed a new juice bar in Naples, FL. 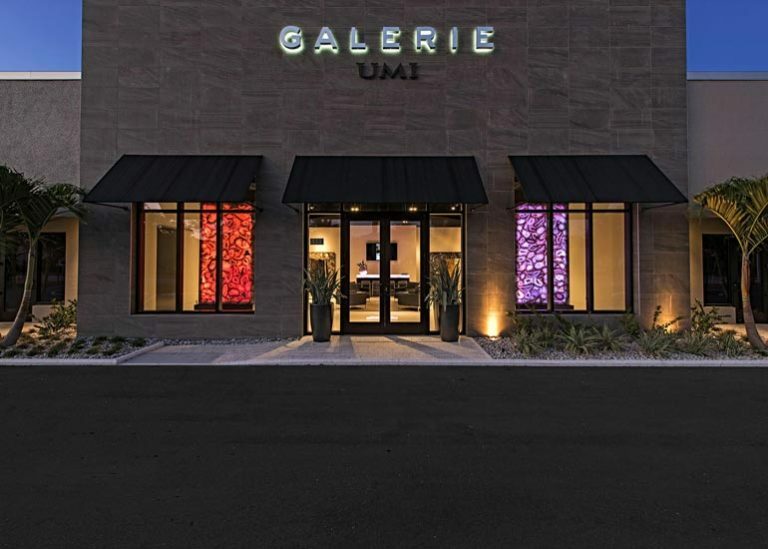 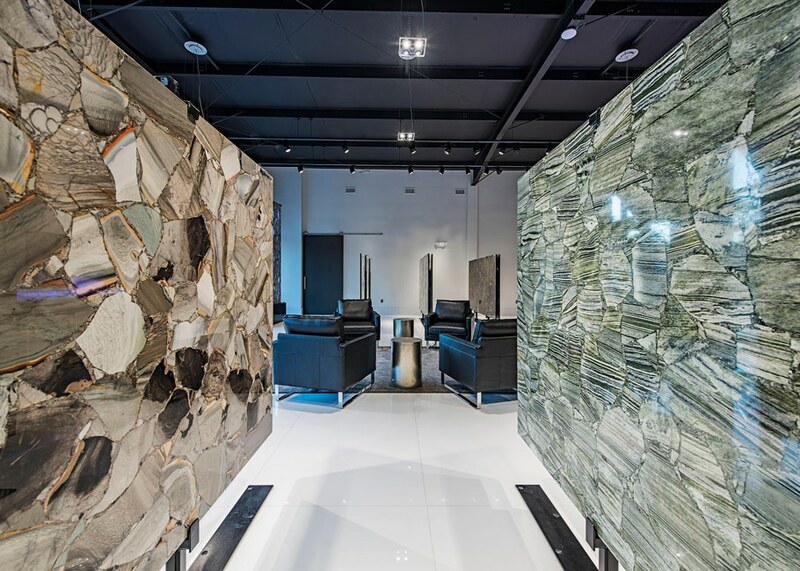 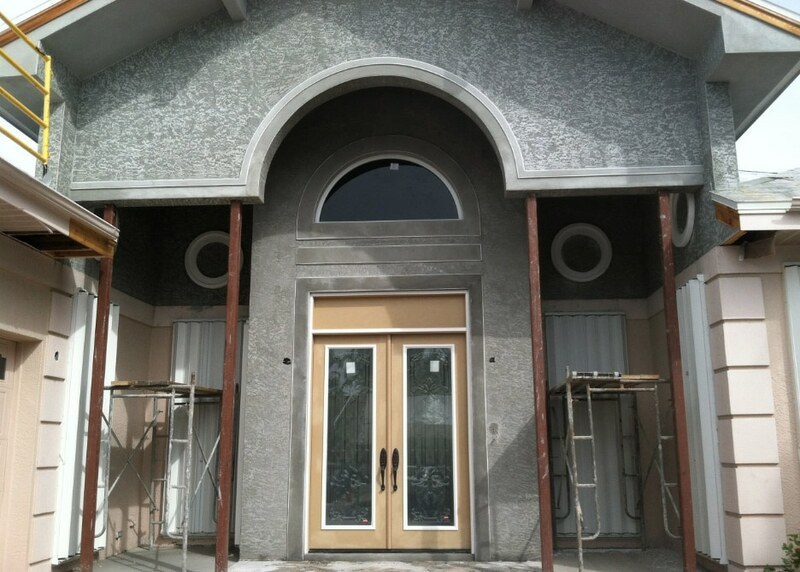 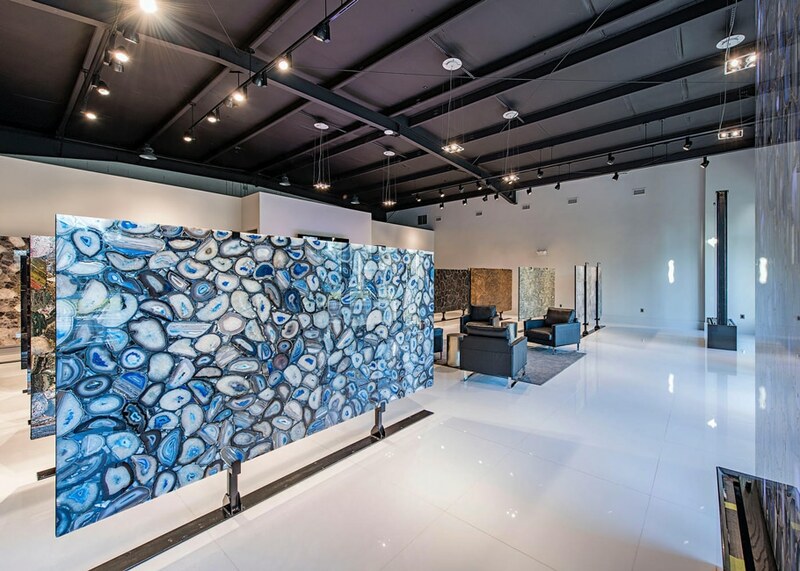 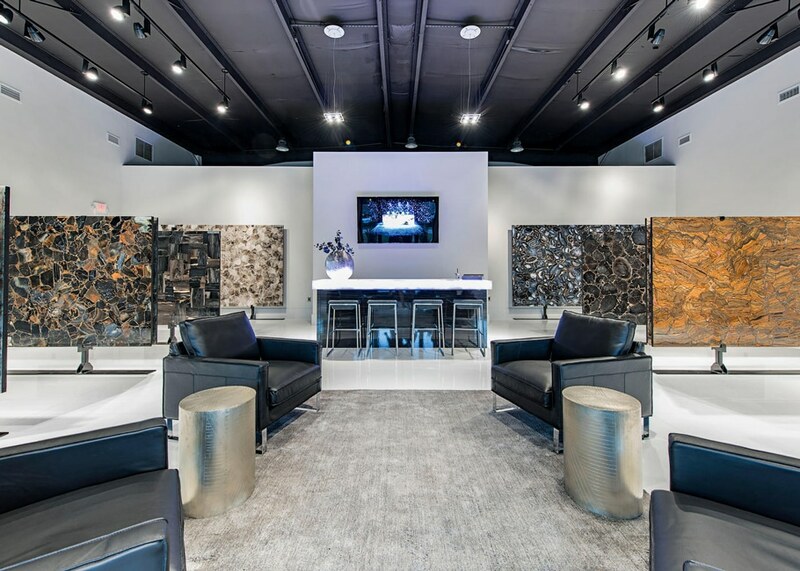 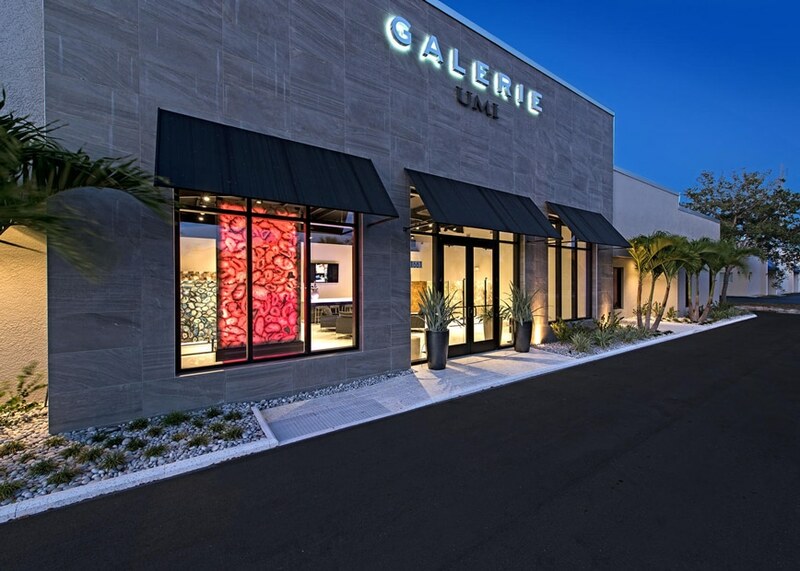 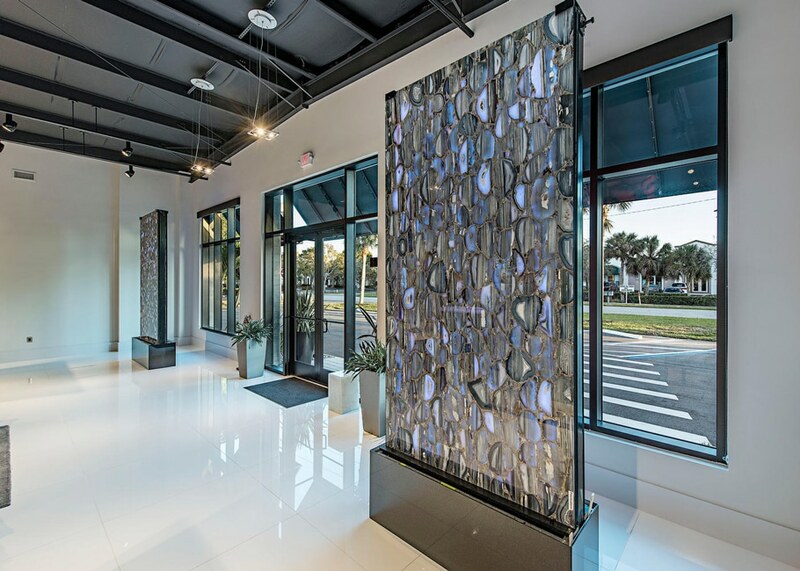 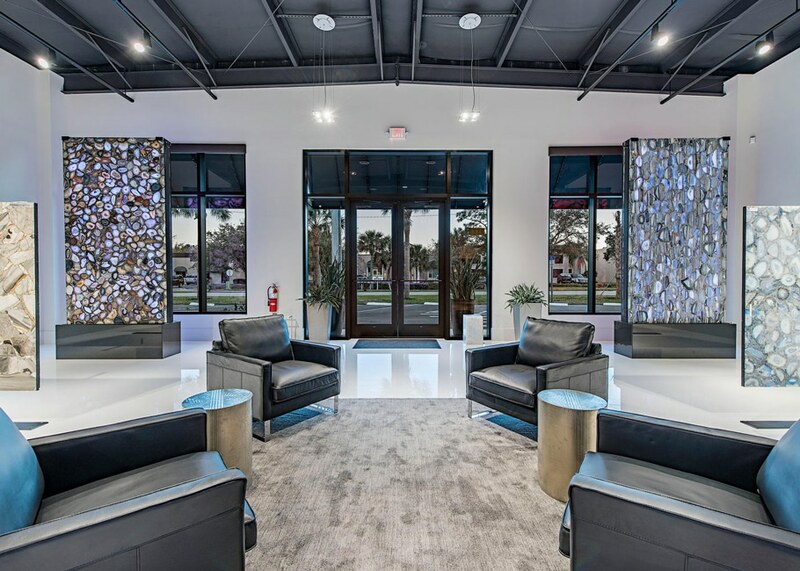 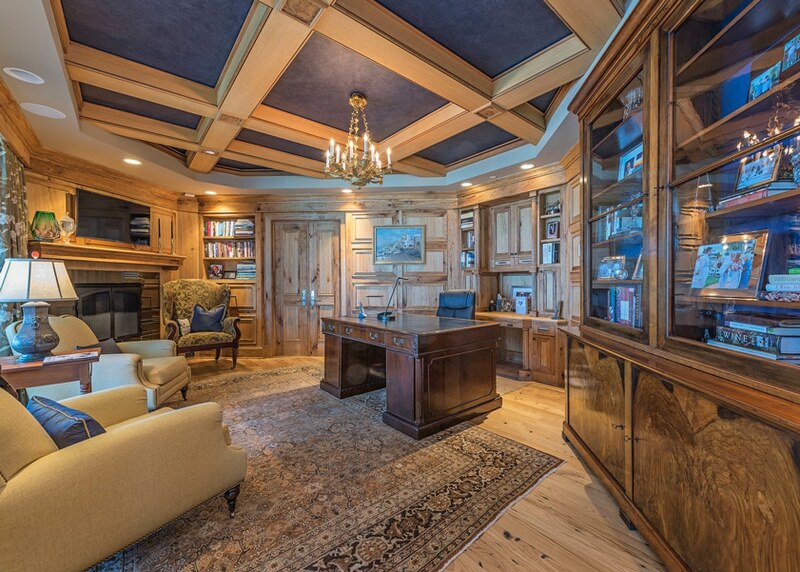 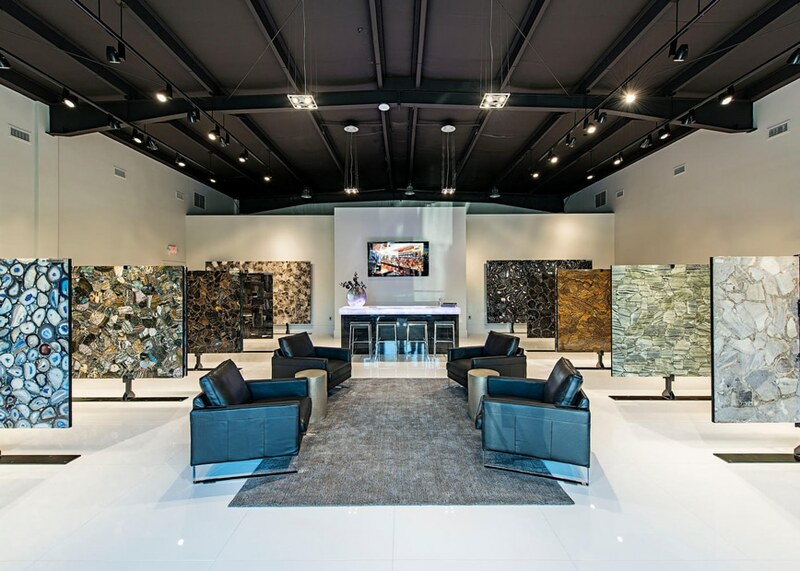 Connor & Gaskins constructed a new exotic stone sales center in Naples, FL. 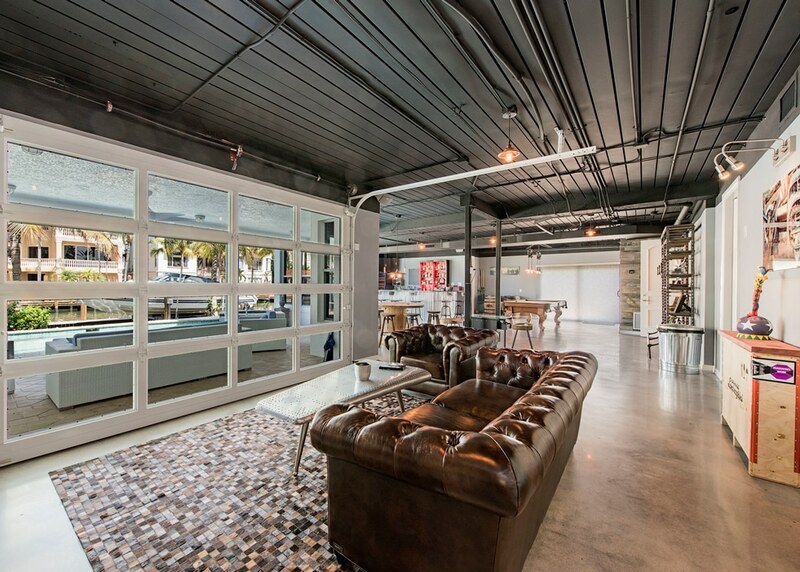 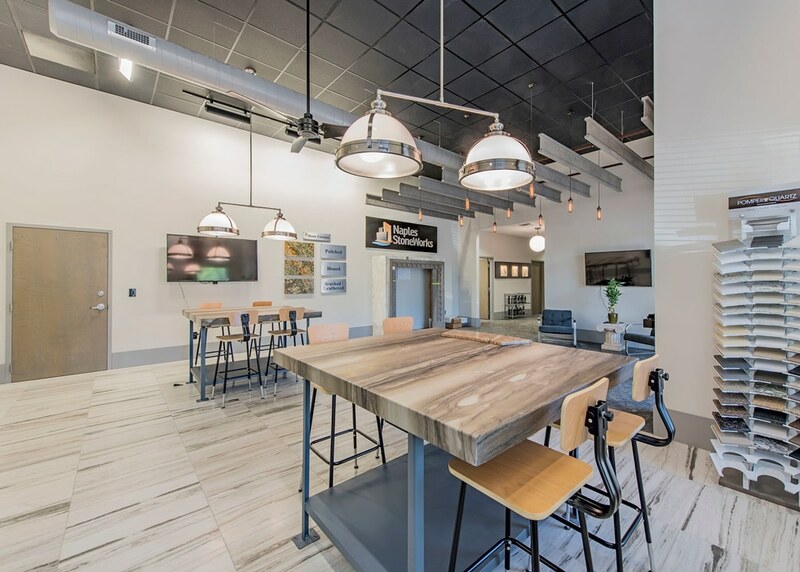 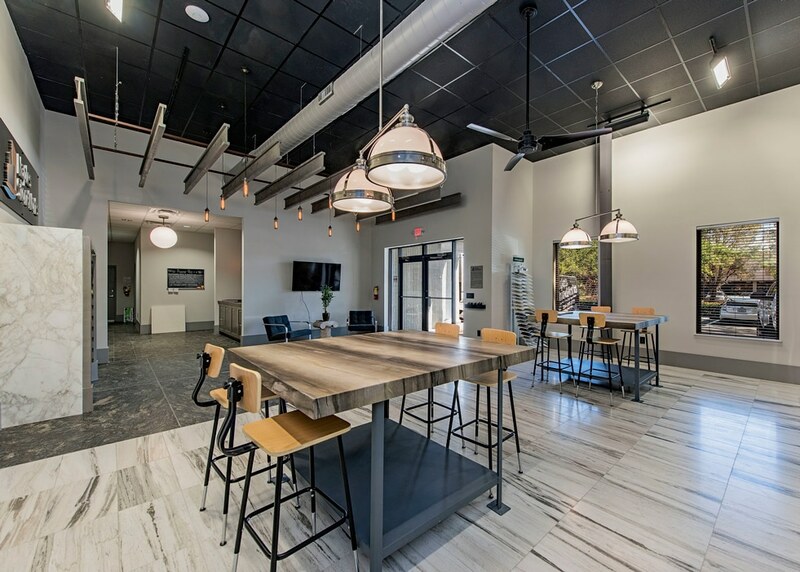 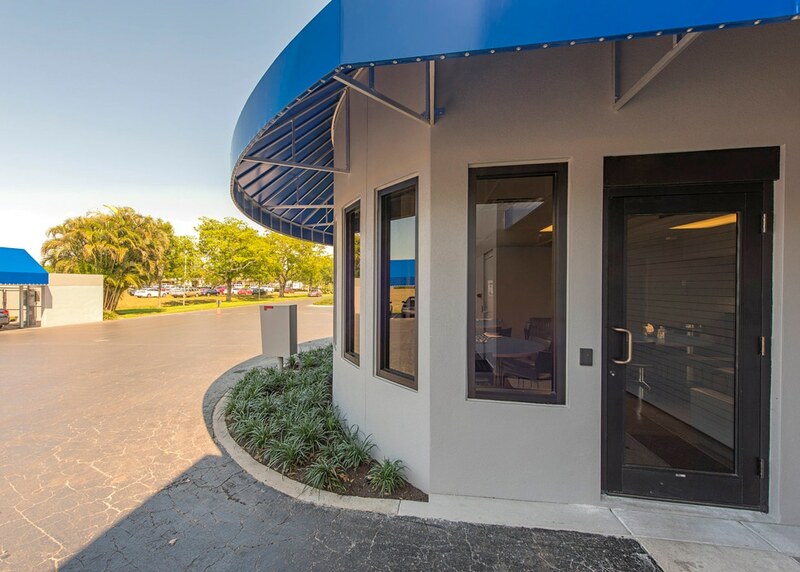 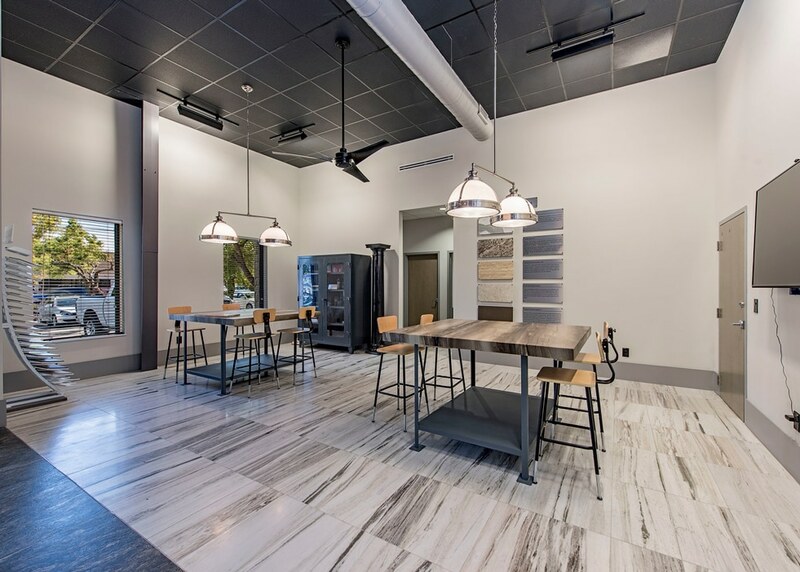 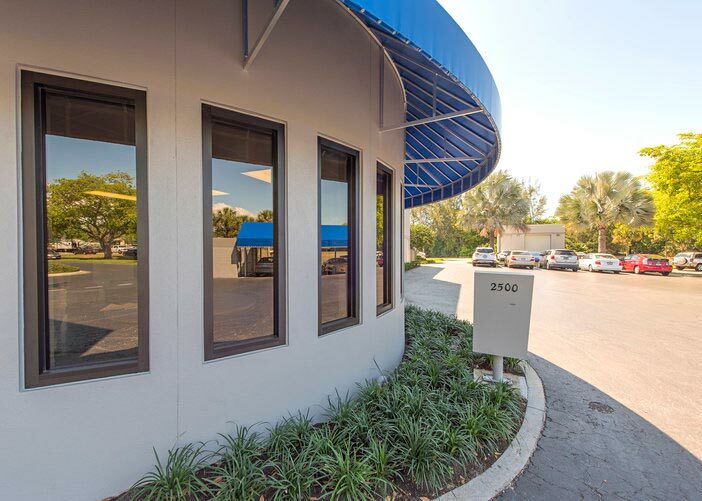 Connor & Gaskins completed an interior tenant renovation for Naples StoneWorks located in Naples, FL. 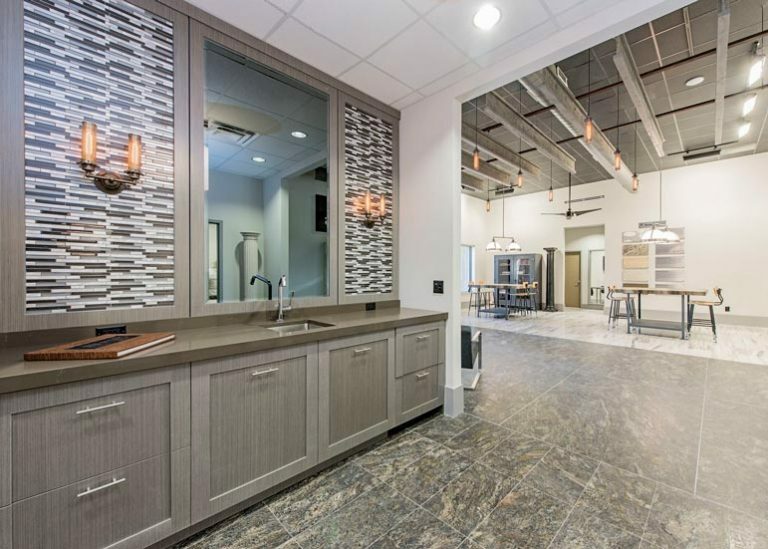 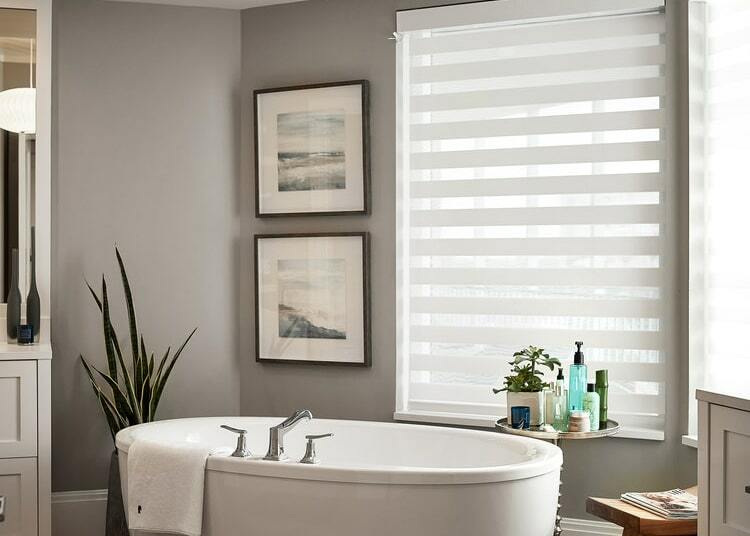 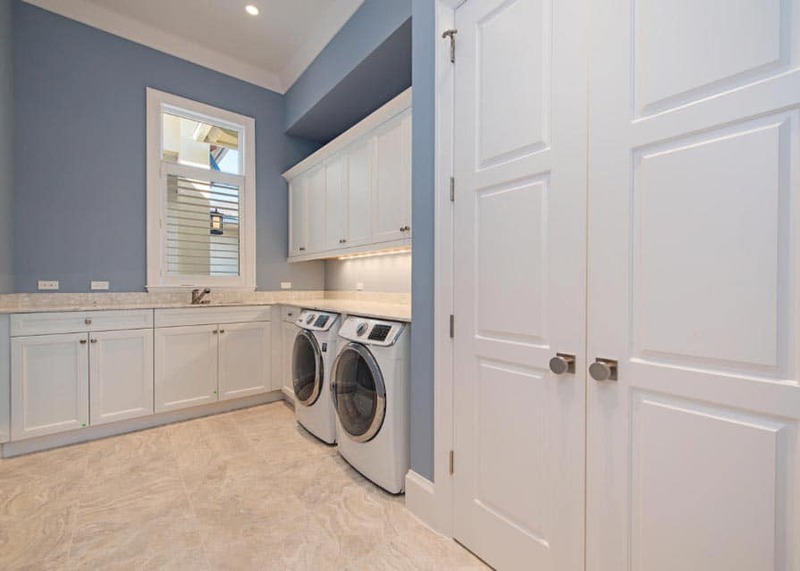 Naples StoneWorks is a premier countertop manufacturer and installer of floors and walls, specializing in granite, marble, quartz, glass and tile. 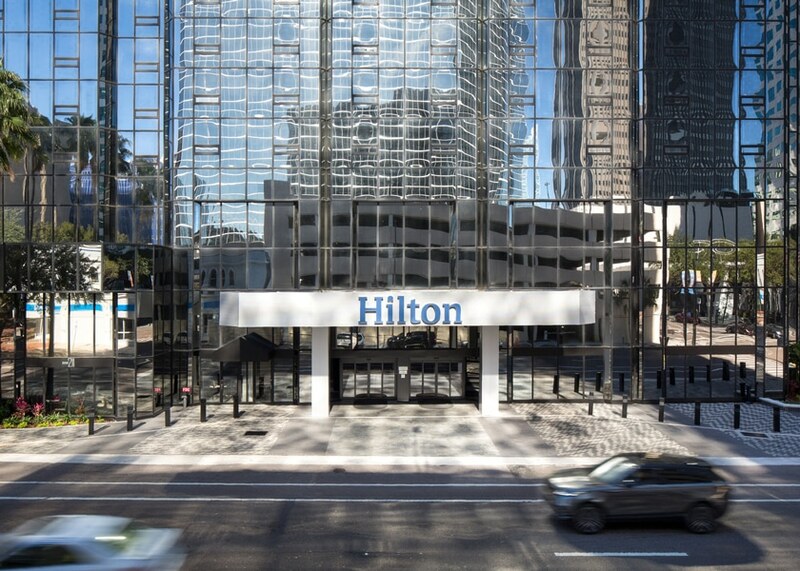 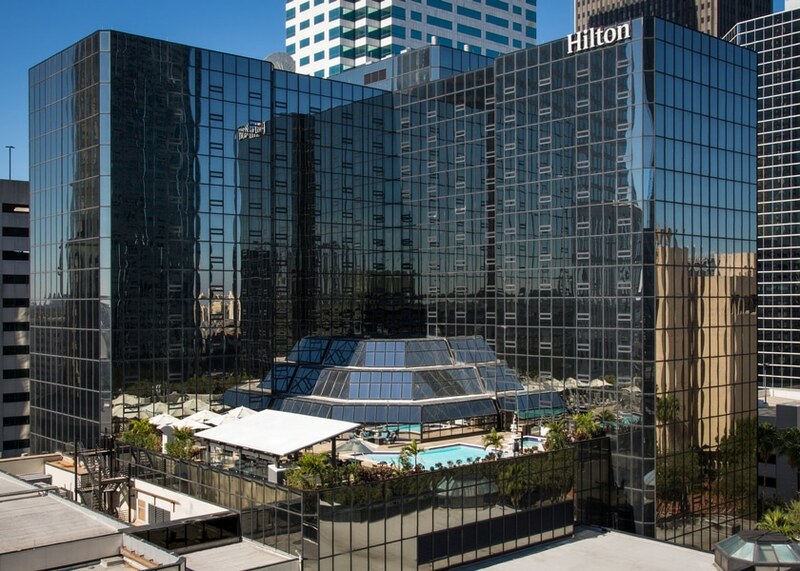 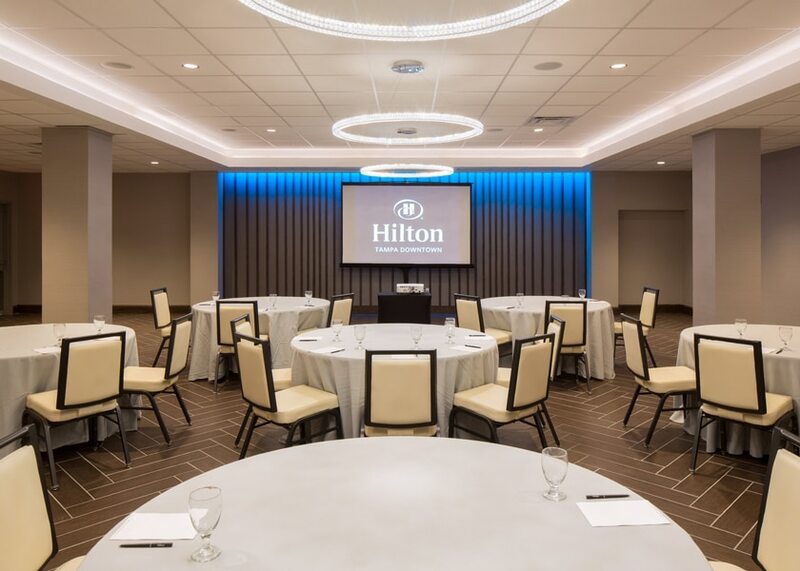 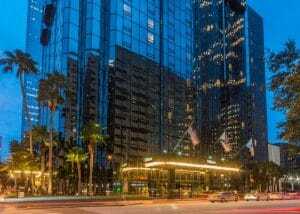 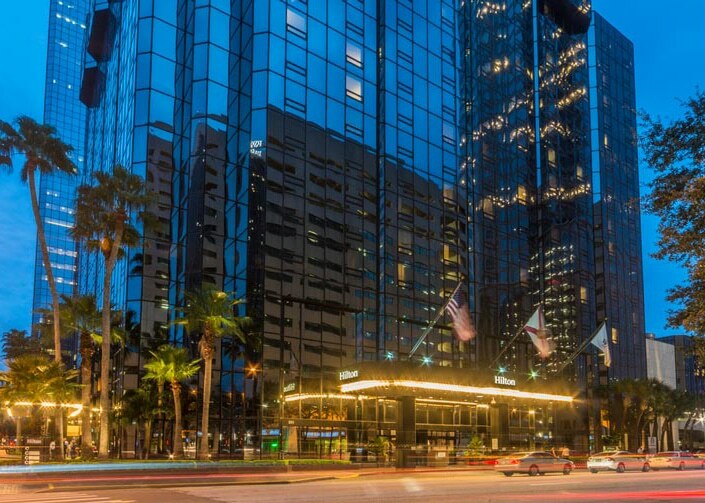 Connor & Gaskins are currently renovating the Hilton Hotel located in downtown Tampa, FL. 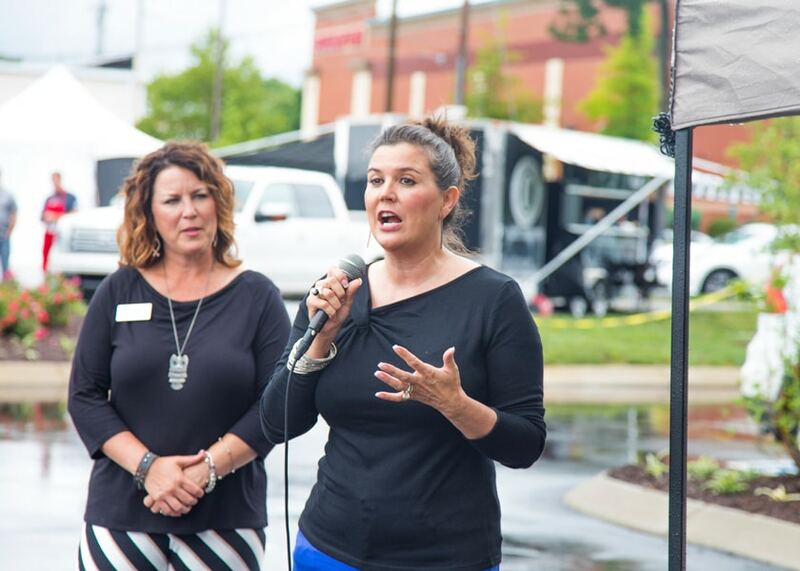 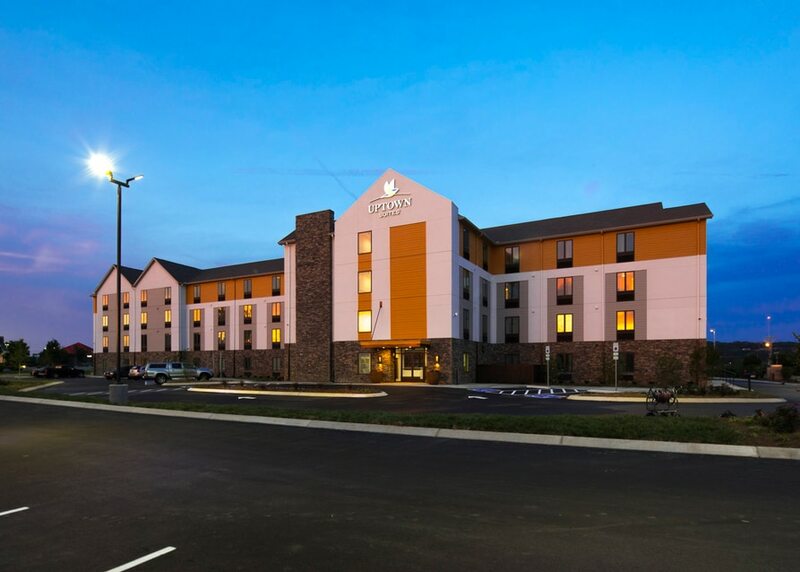 Connor & Gaskins broke ground on a 127 key / 4 story ground-up hotel located in Concord, NC. 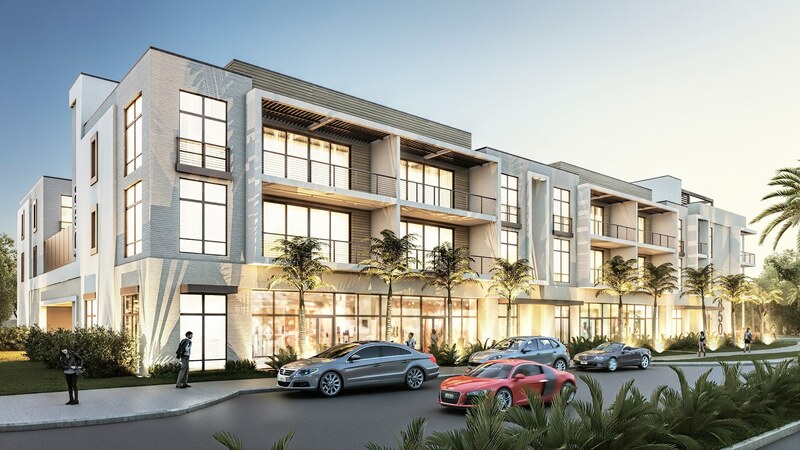 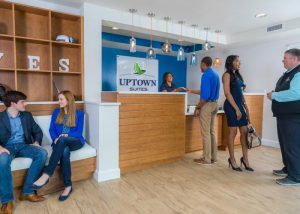 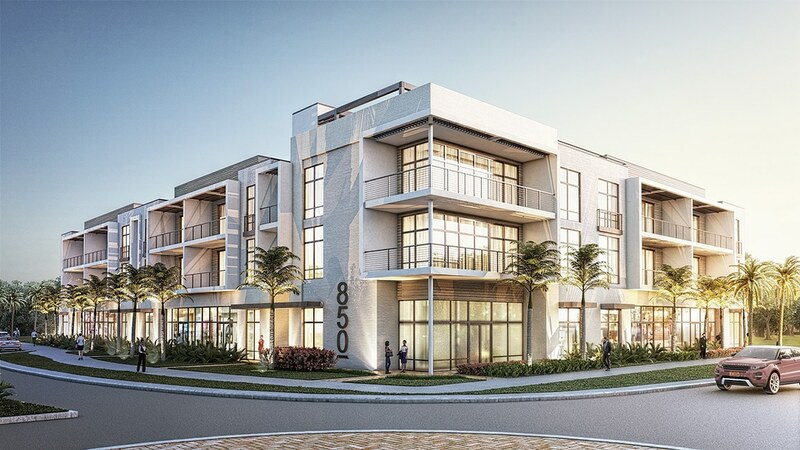 The 850 Central Avenue project consists of a three-story mixed-use commercial / residential project including 22 condominium units located over approximately 10,000 sf of retail space in the downtown Naples area. The total combined building area is 80,500 gross square feet and construction includes a post tension and masonry block structure. 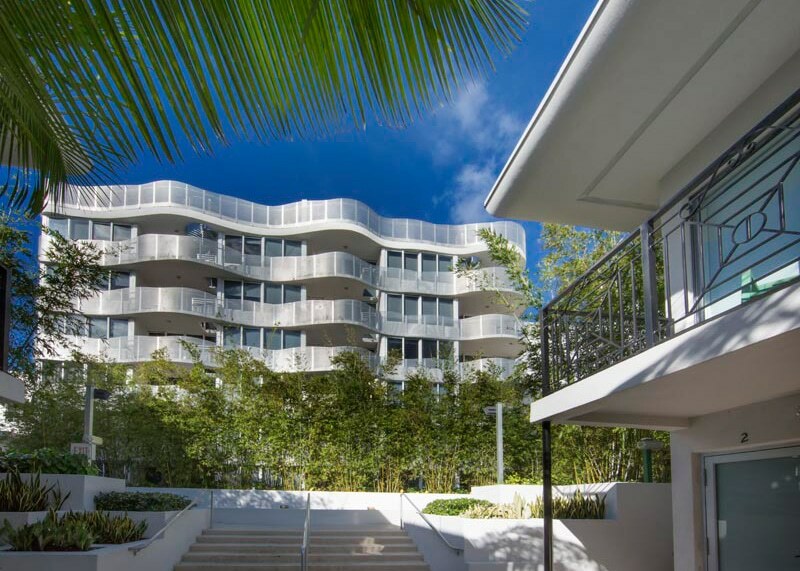 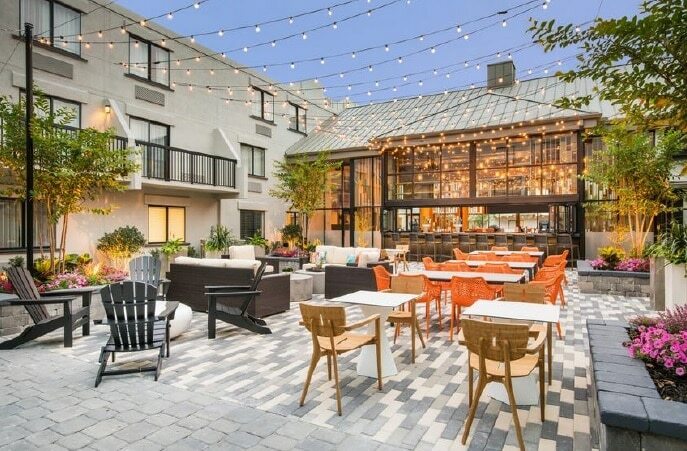 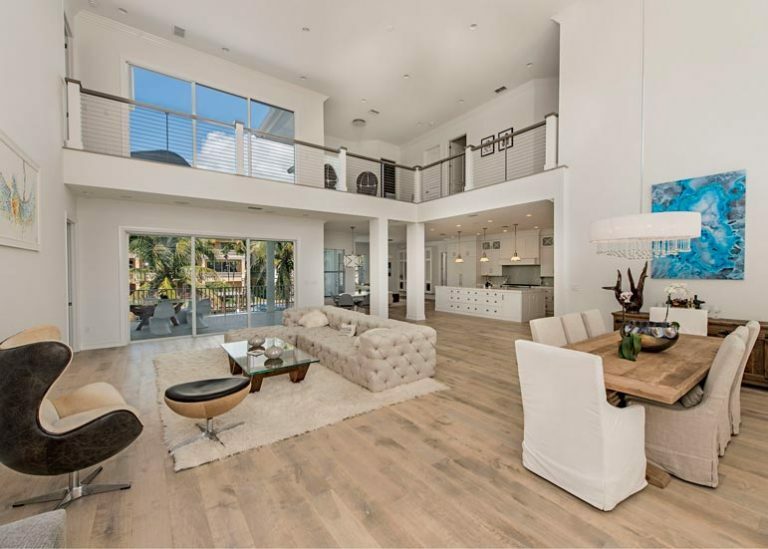 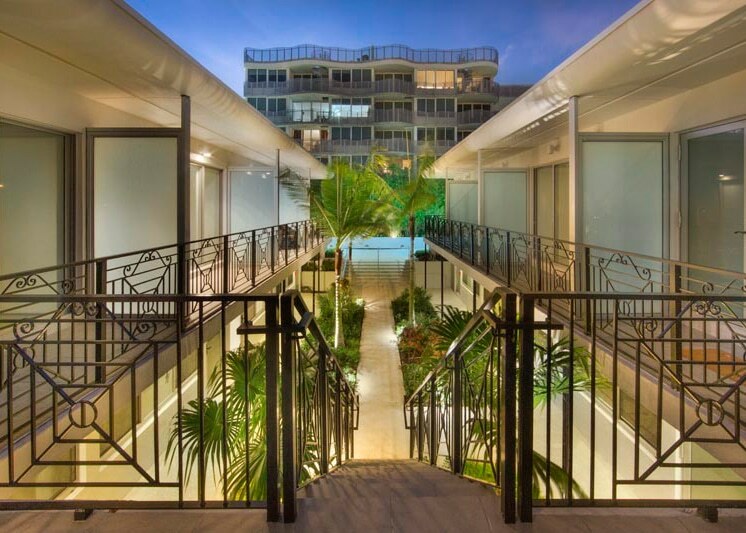 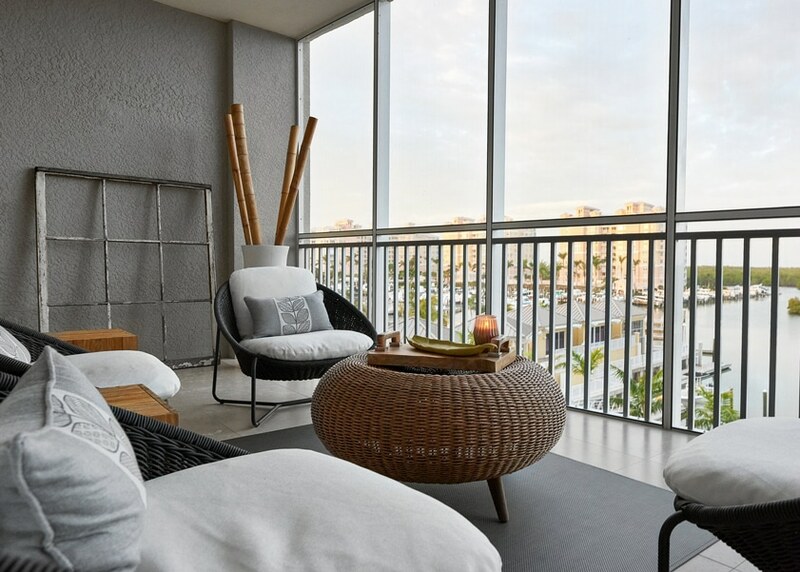 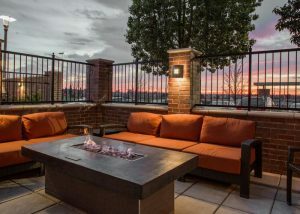 The building has a sleek urban design with private amenities including 2nd floor private pool and lawn as well as a roof deck terrace with fire pit, outdoor seating, kitchen and dining spaces. 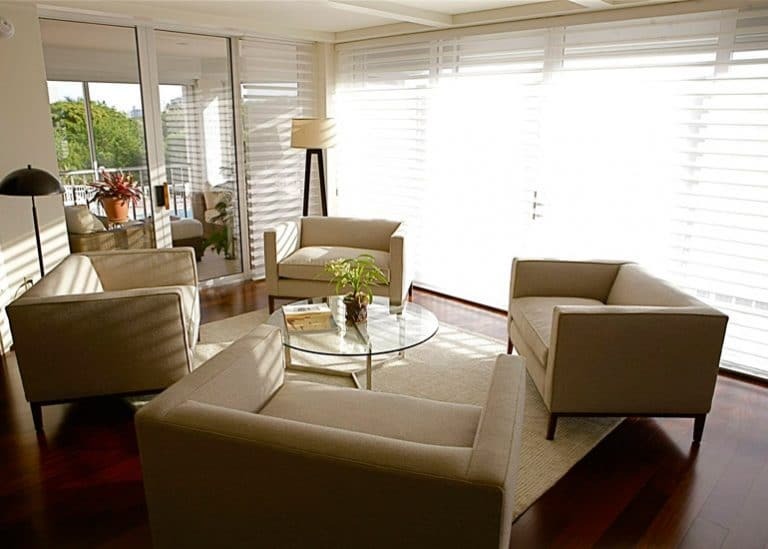 The condominium units range in size from 1,587 to 1,943 square feet. 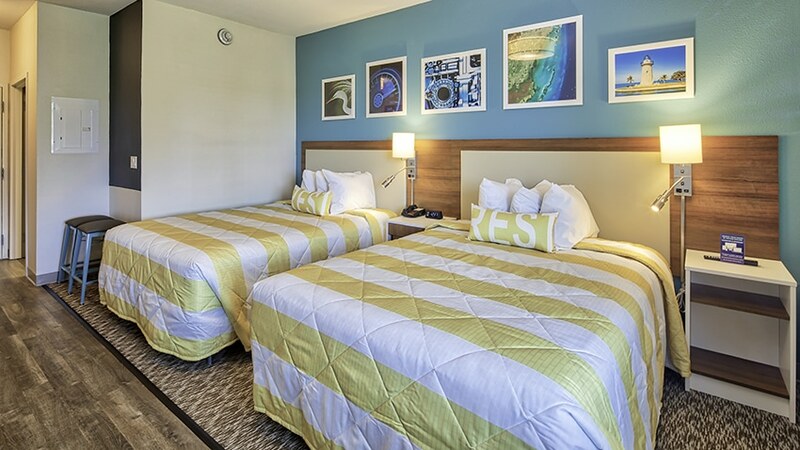 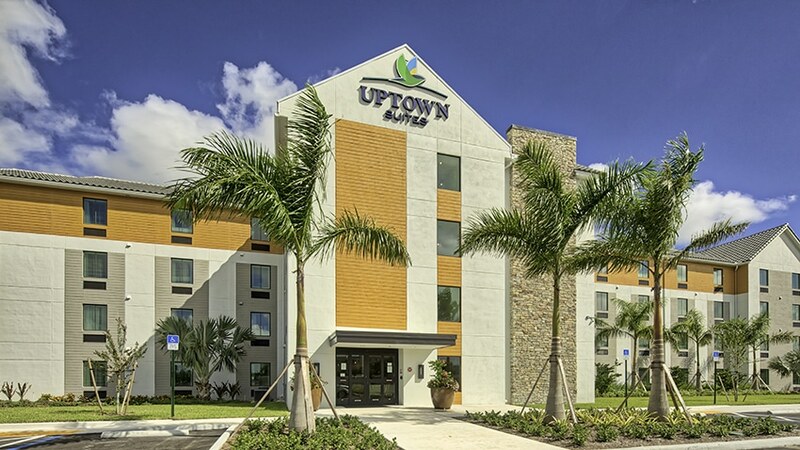 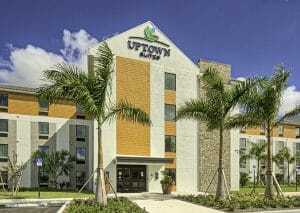 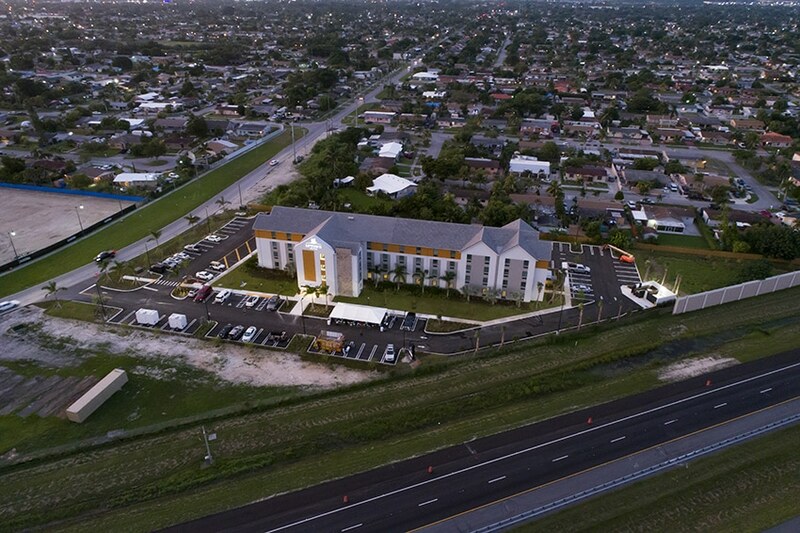 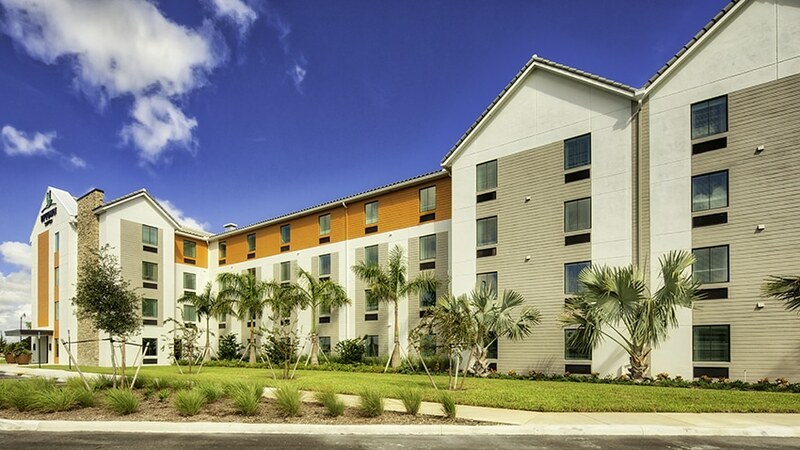 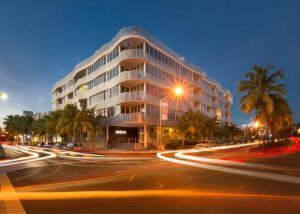 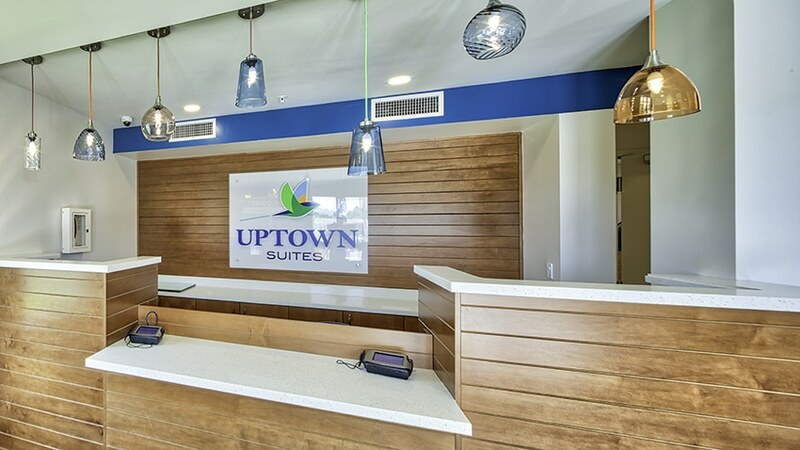 Connor & Gaskins Unlimited turns over another completed ground up hotel in Southeast Florida. 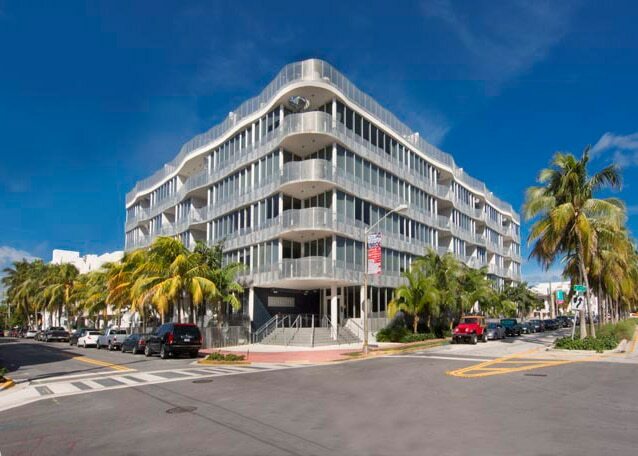 CGU oversaw the project from initial entitlements all the way through Construction working with Miami-Dade County and the City of Homestead. 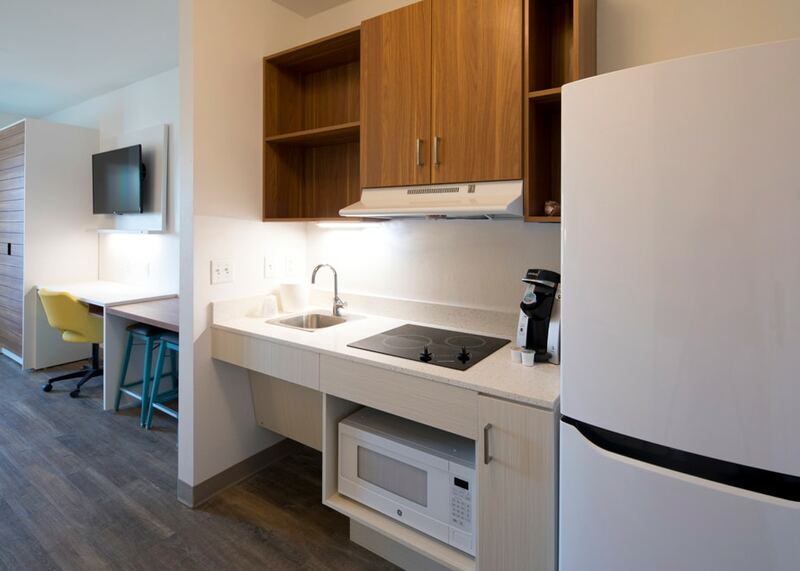 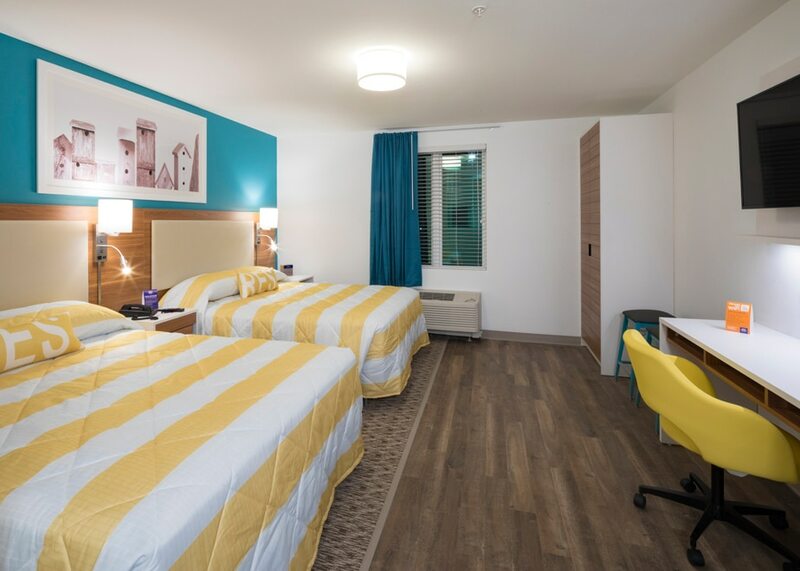 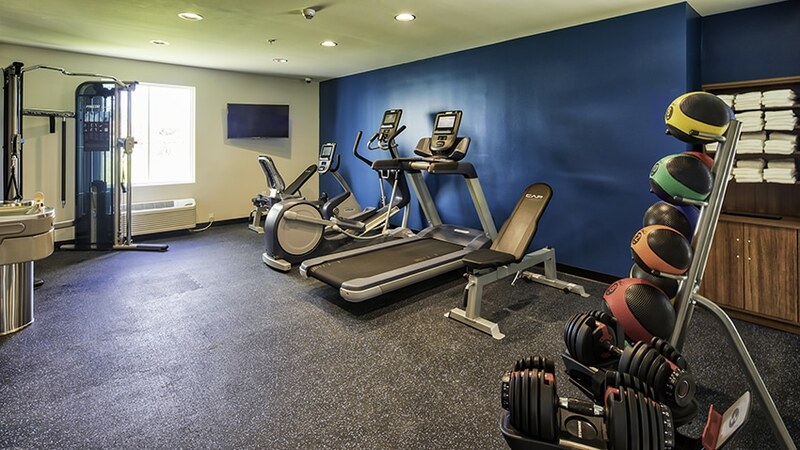 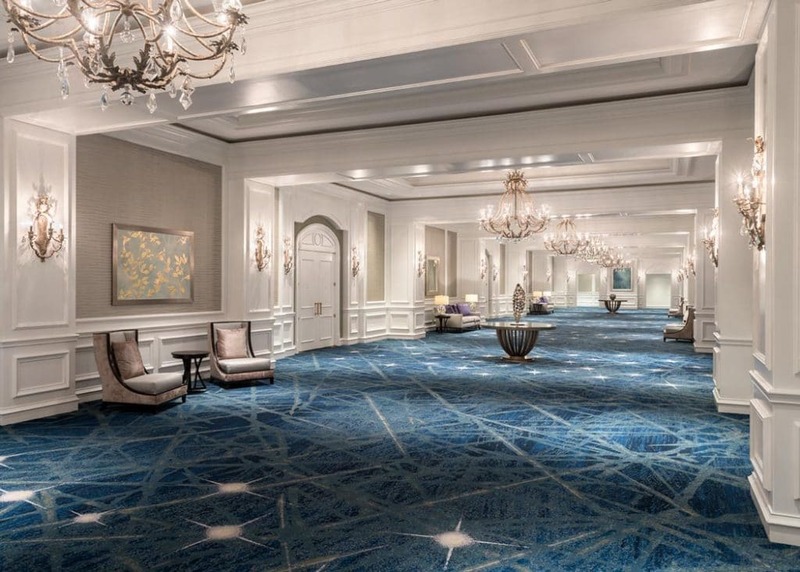 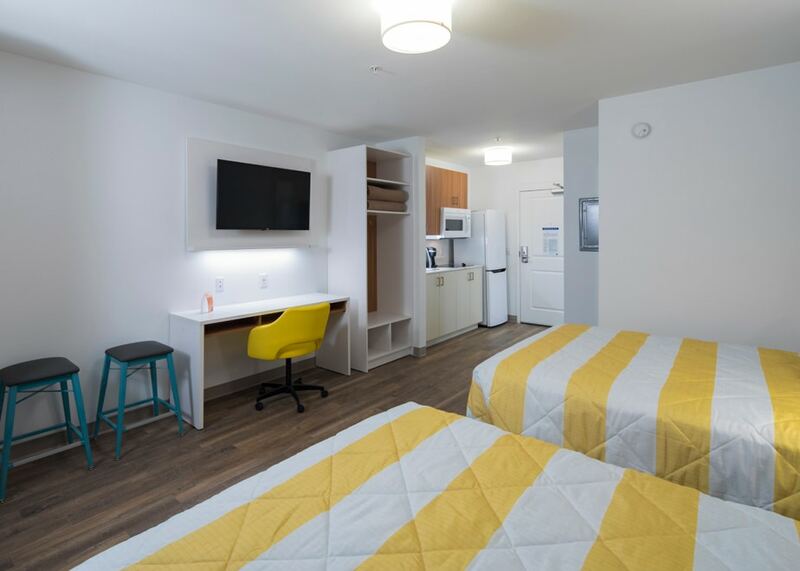 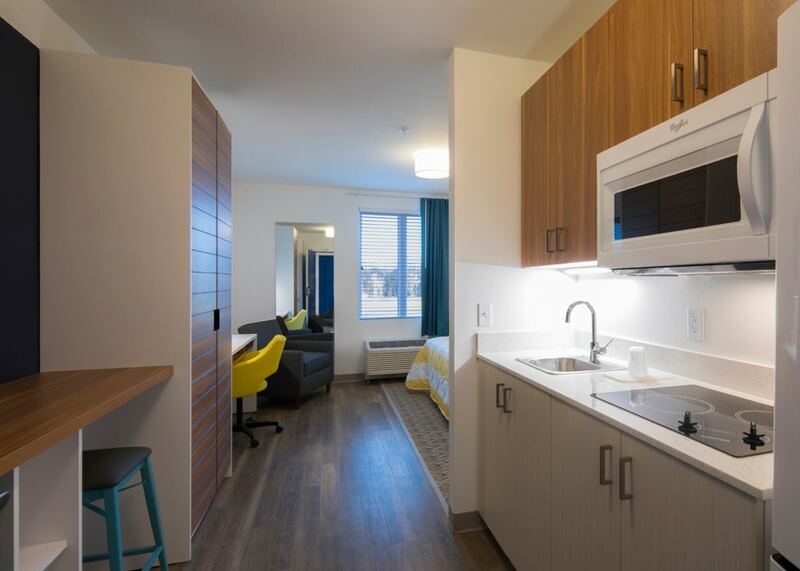 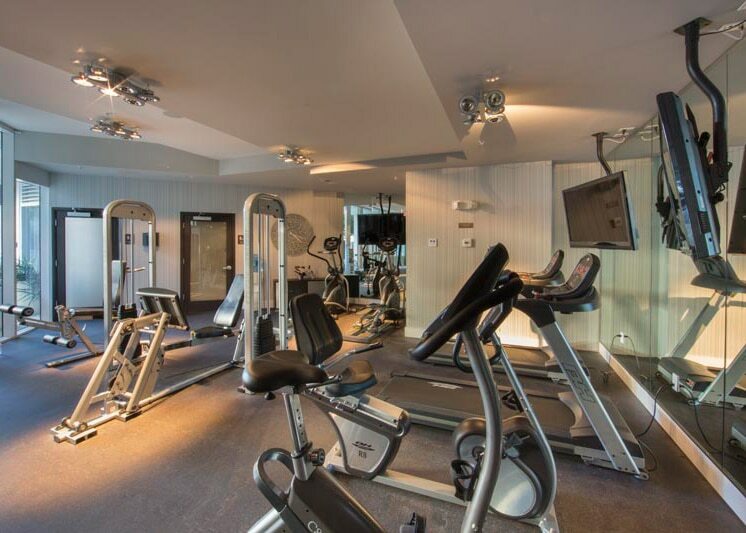 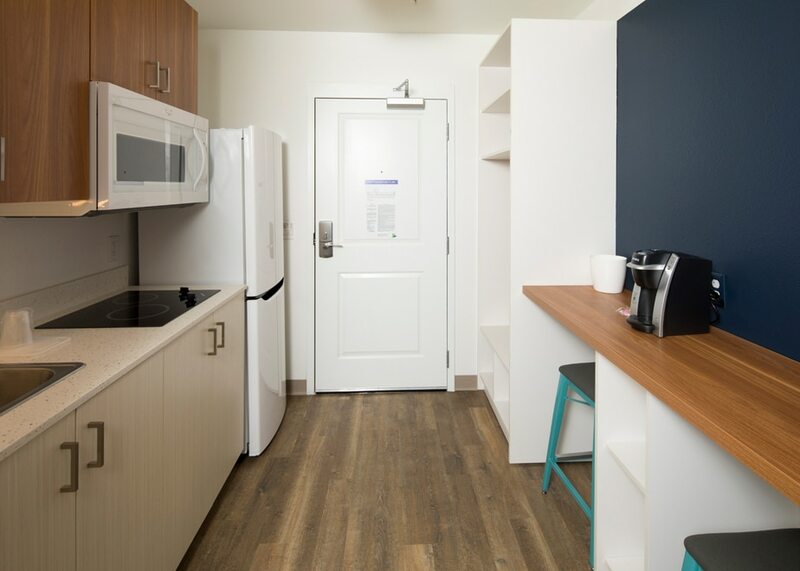 The building was designed with 127 rooms to deliver to each guest the comforts of home for longer stays, including kitchenettes, class-leading Wi-Fi, fitness center, guest laundry…. 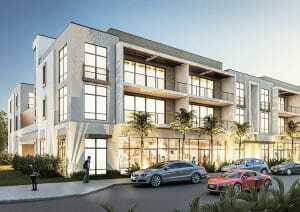 all while being walking distance to retail and restaurants. 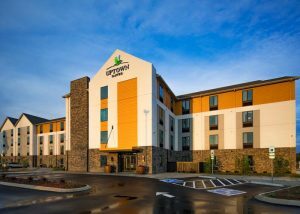 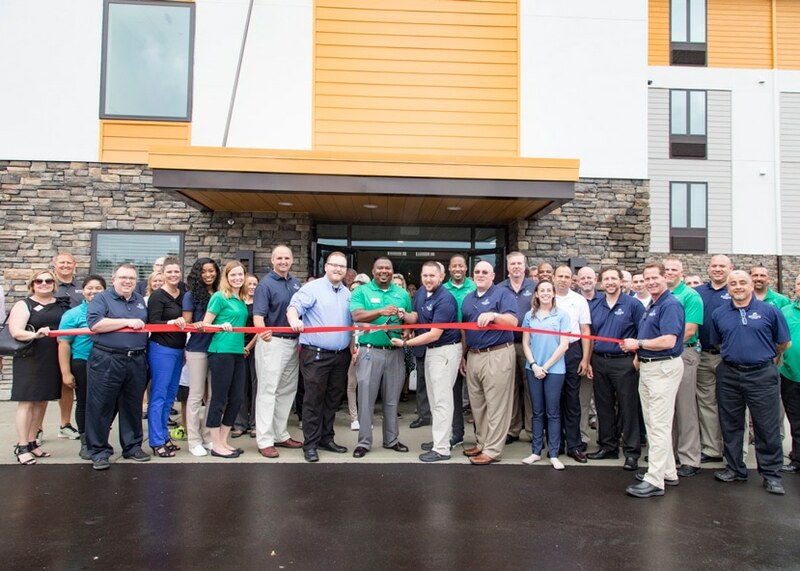 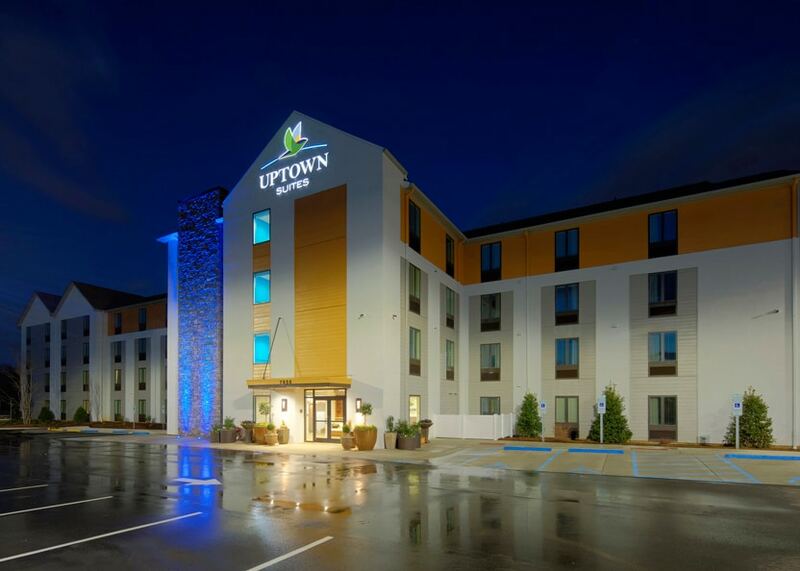 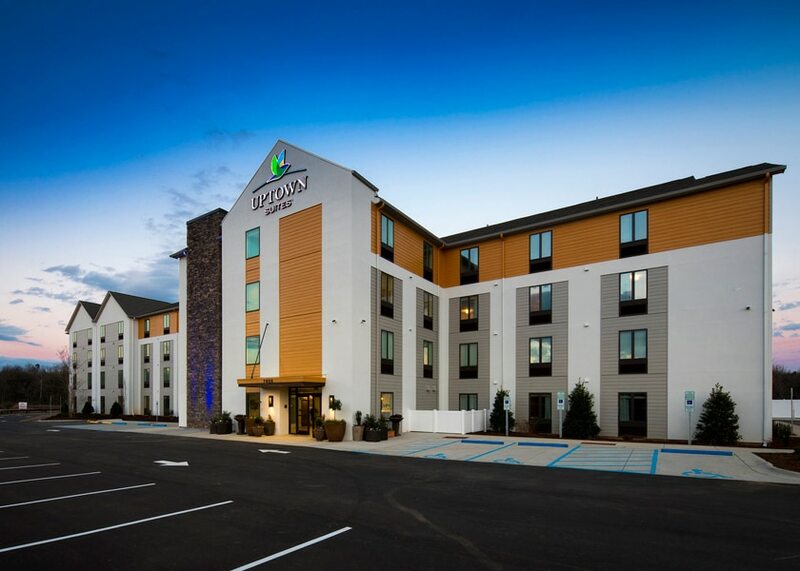 Connor & Gaskins completed the entire construction of a new 127 key, 4-story hotel from the ground up, located in Smyrna, TN. 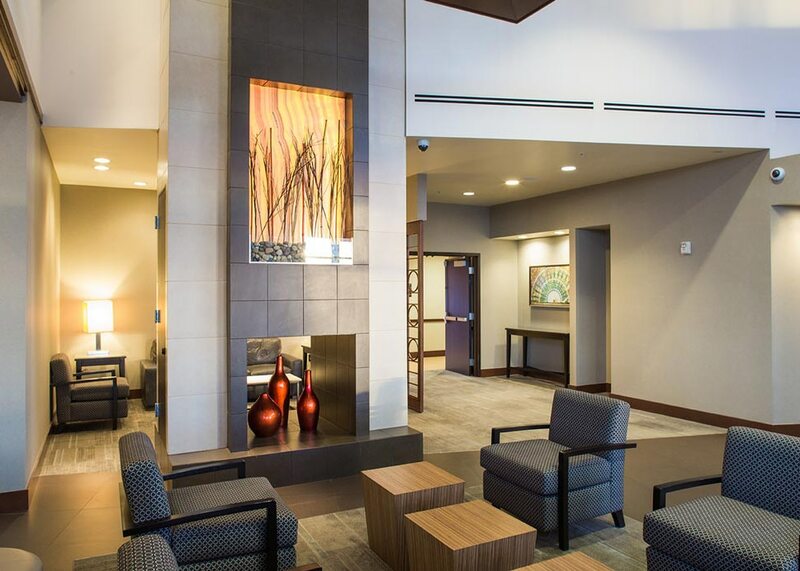 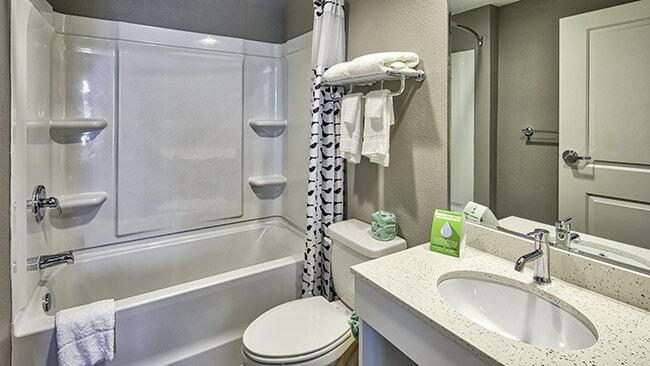 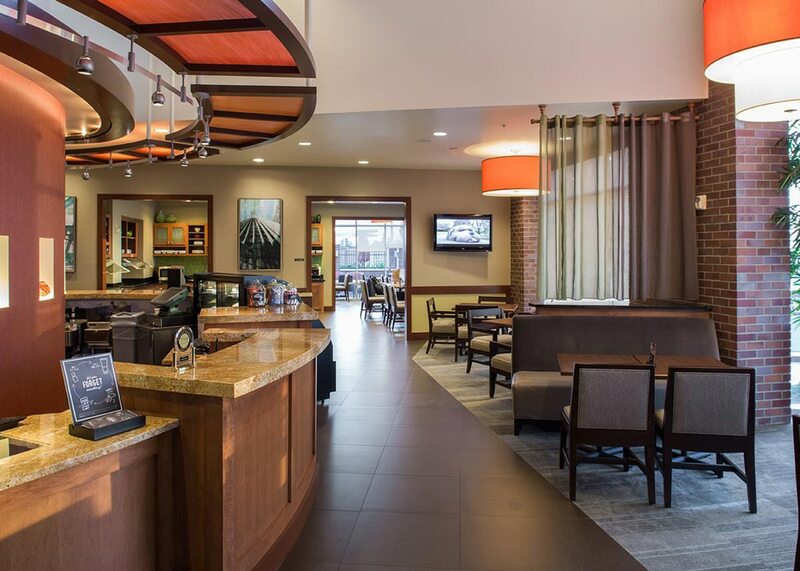 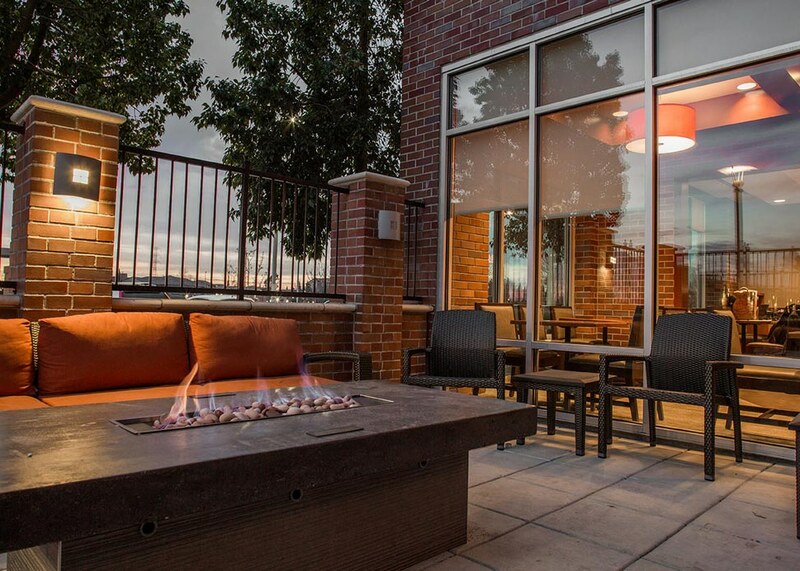 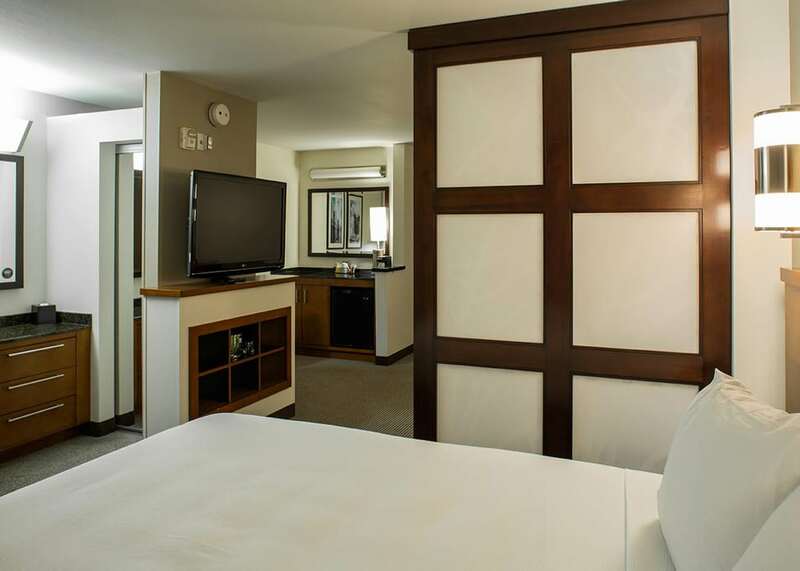 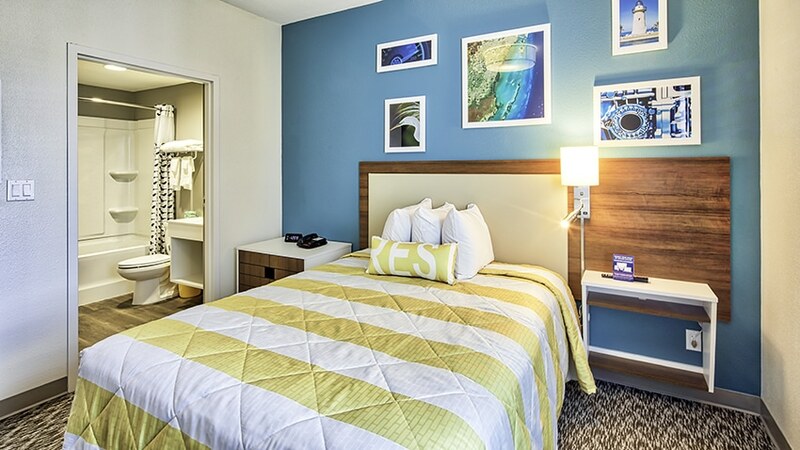 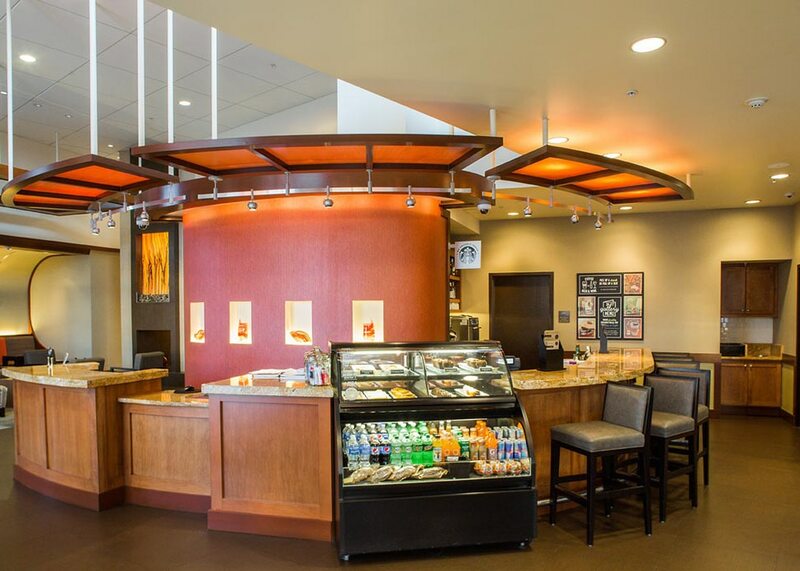 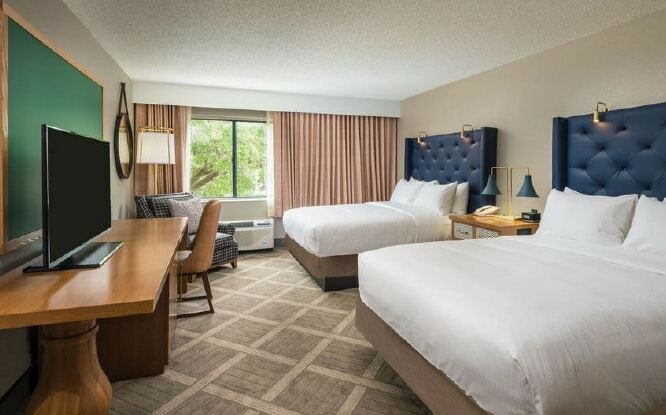 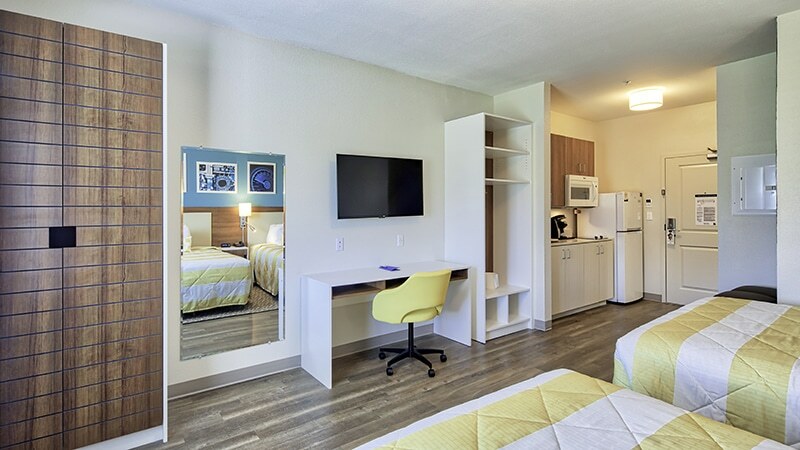 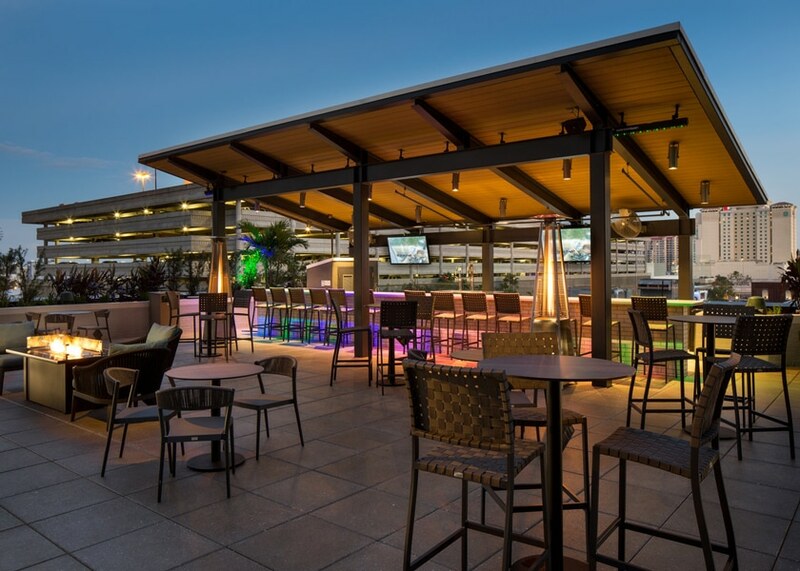 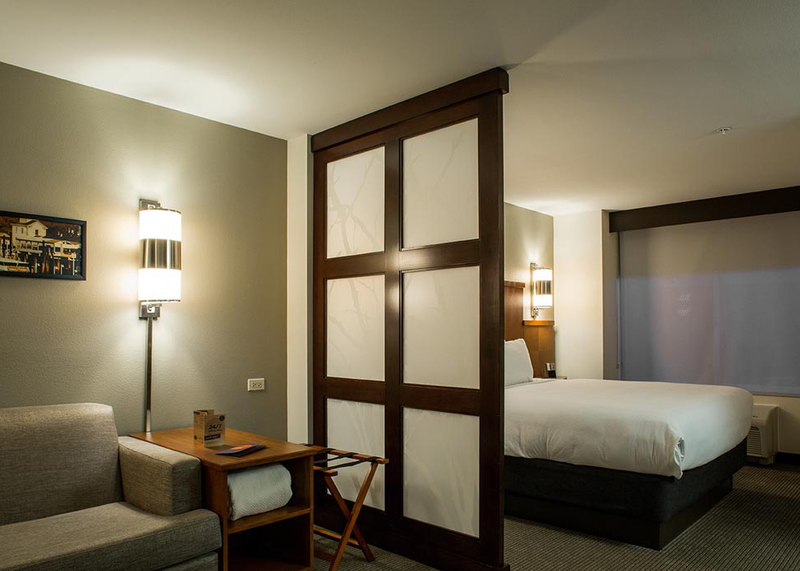 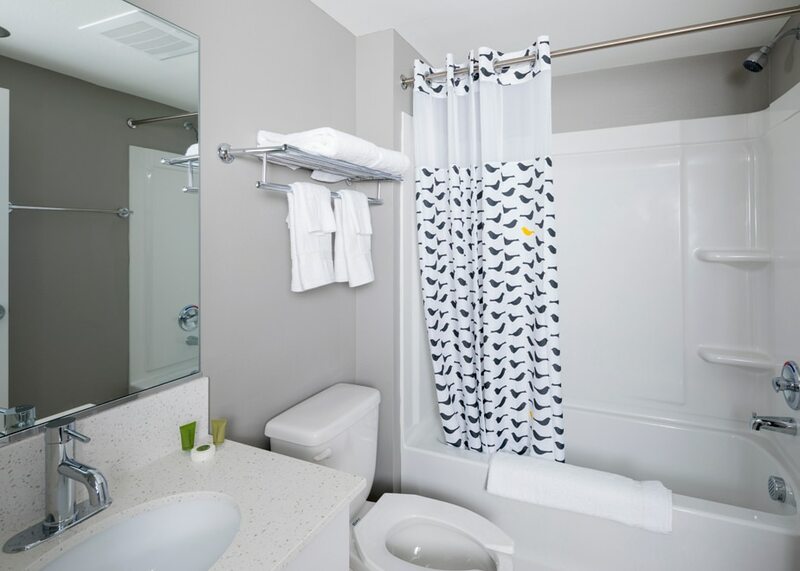 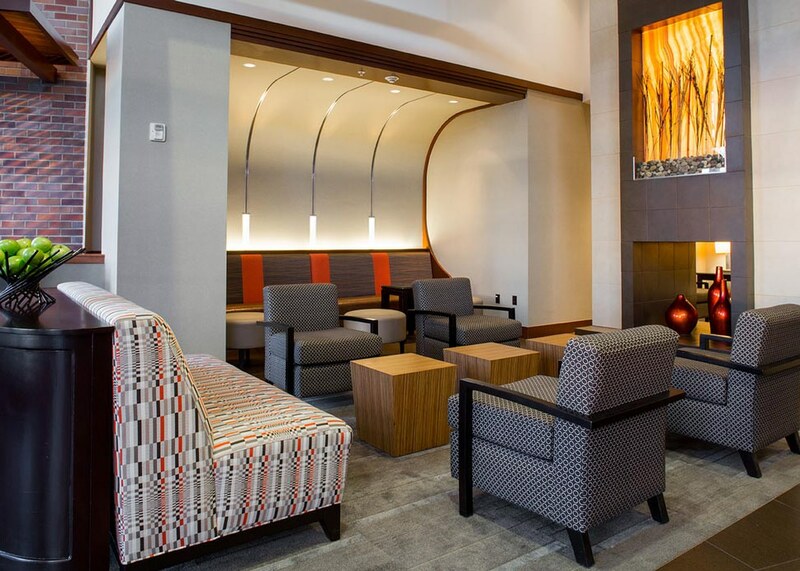 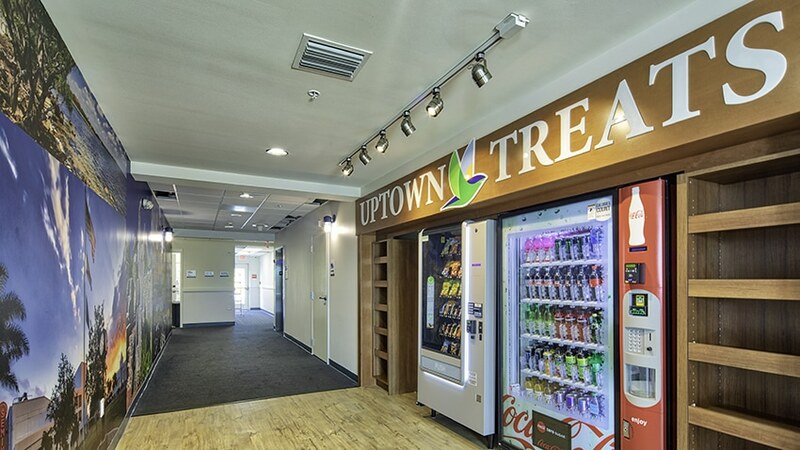 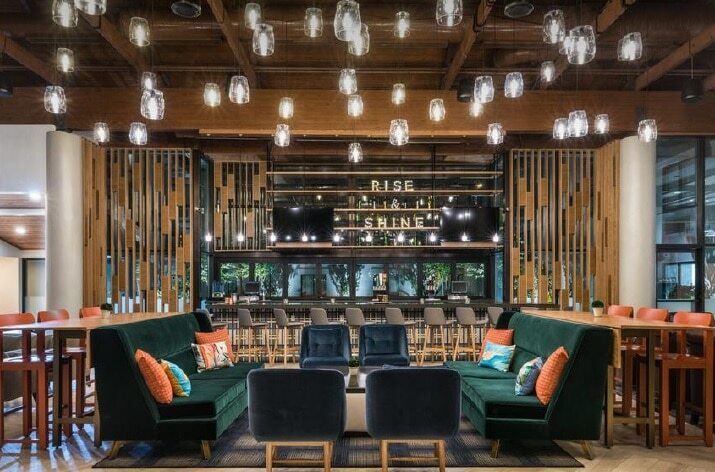 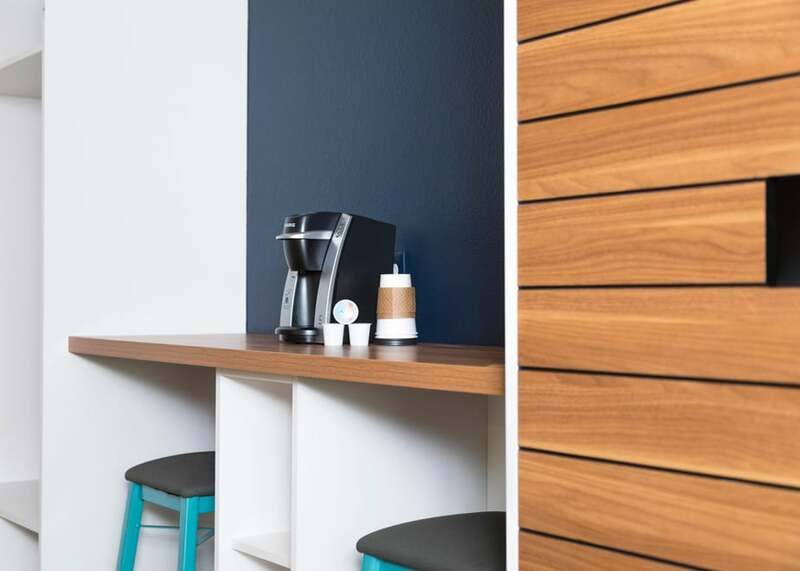 Connor & Gaskins renovated the Hyatt Place hotel with 151 rooms located in Roseville, CA. 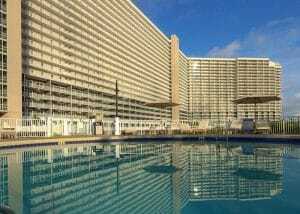 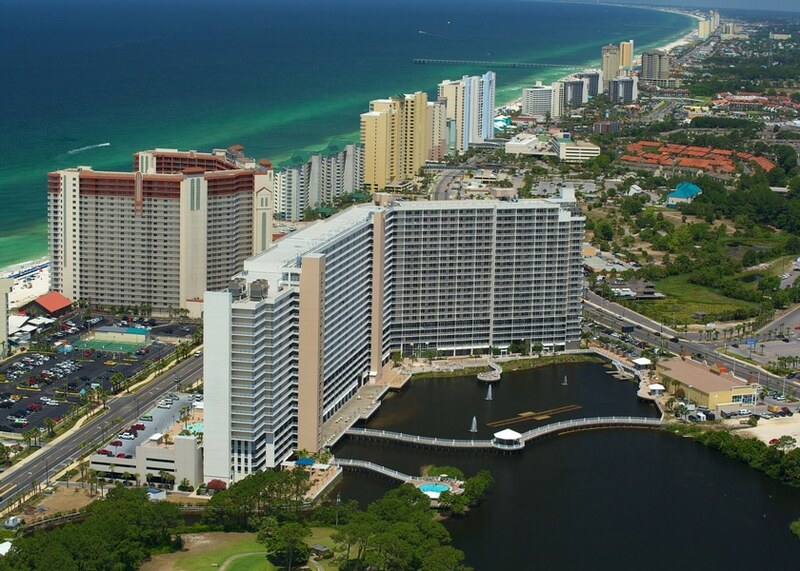 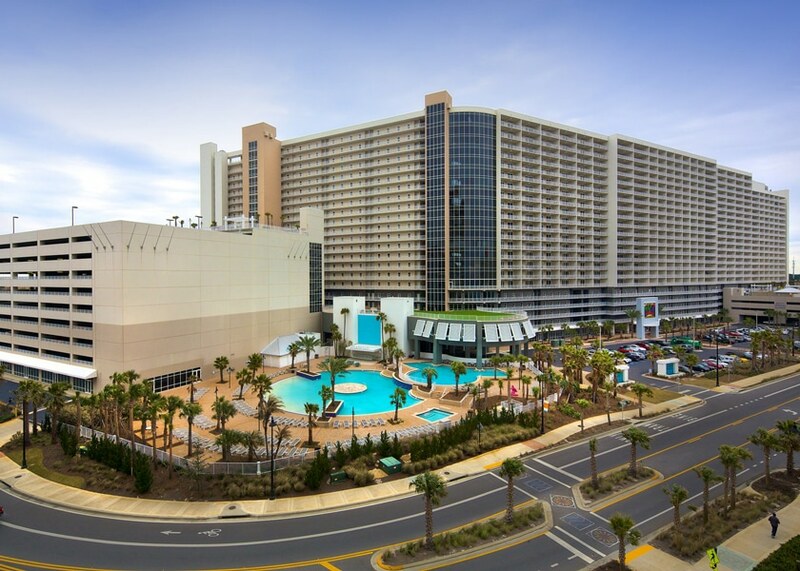 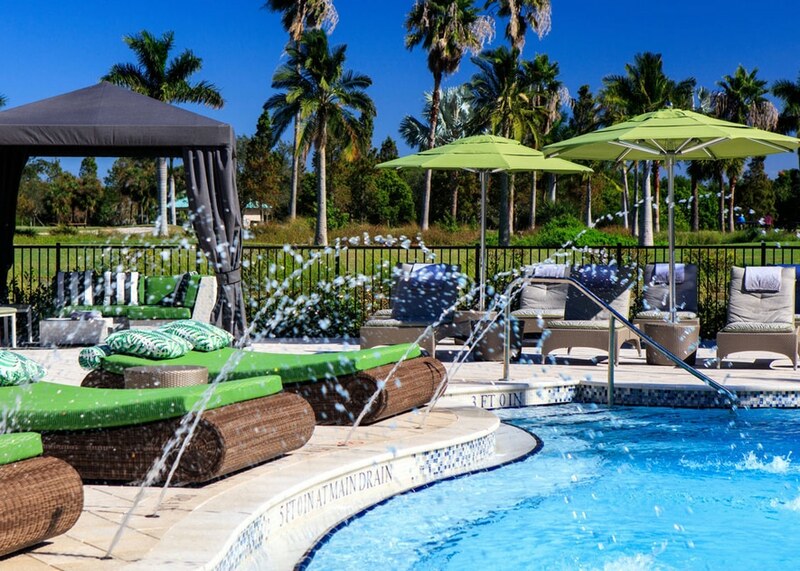 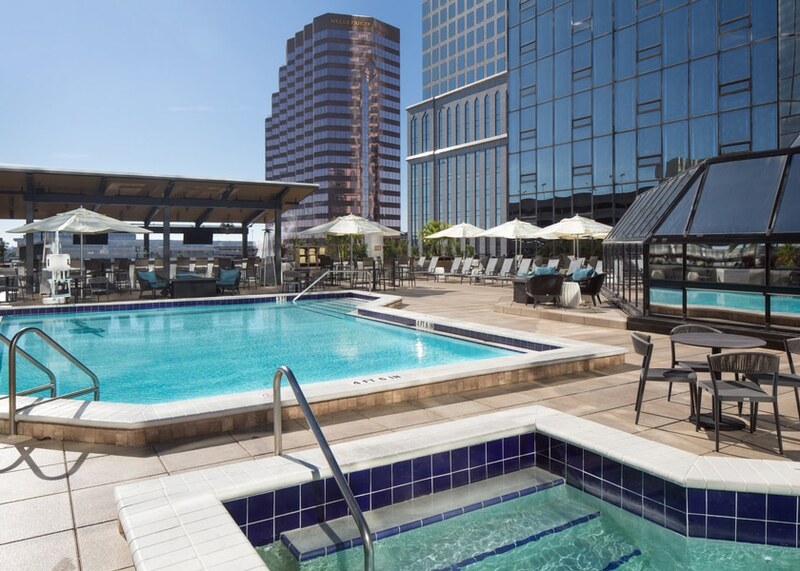 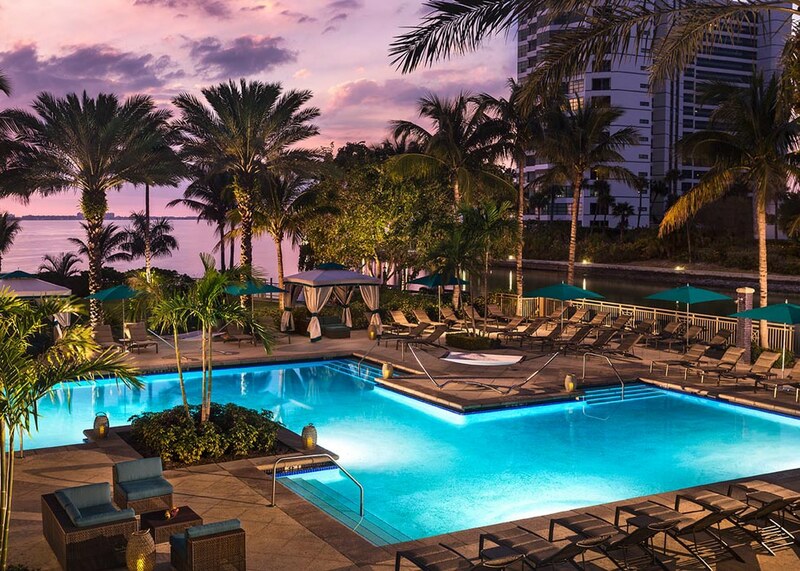 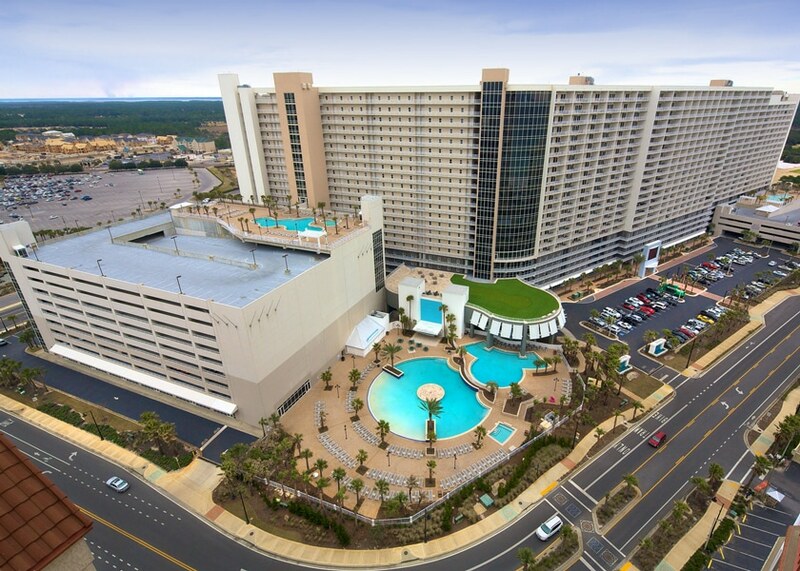 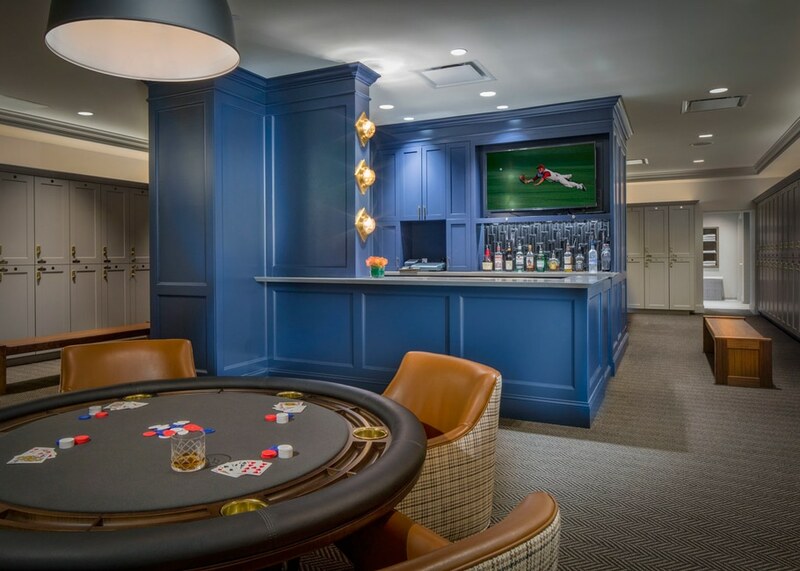 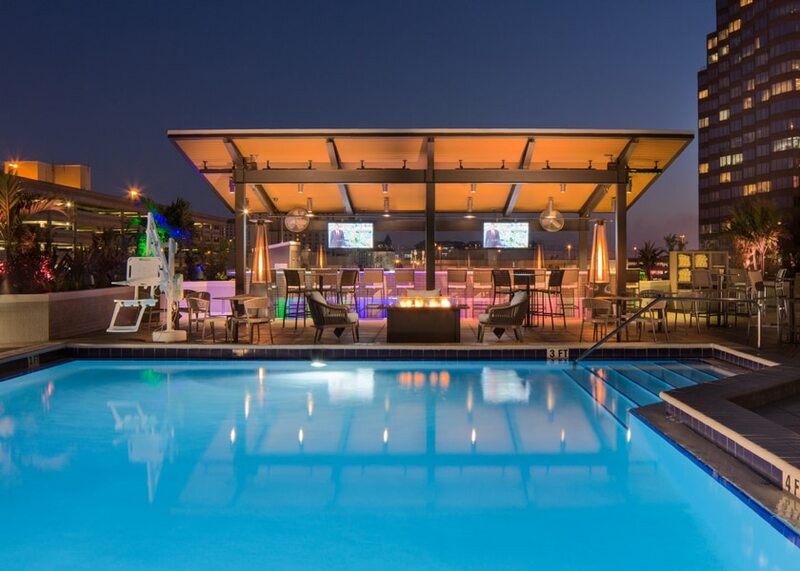 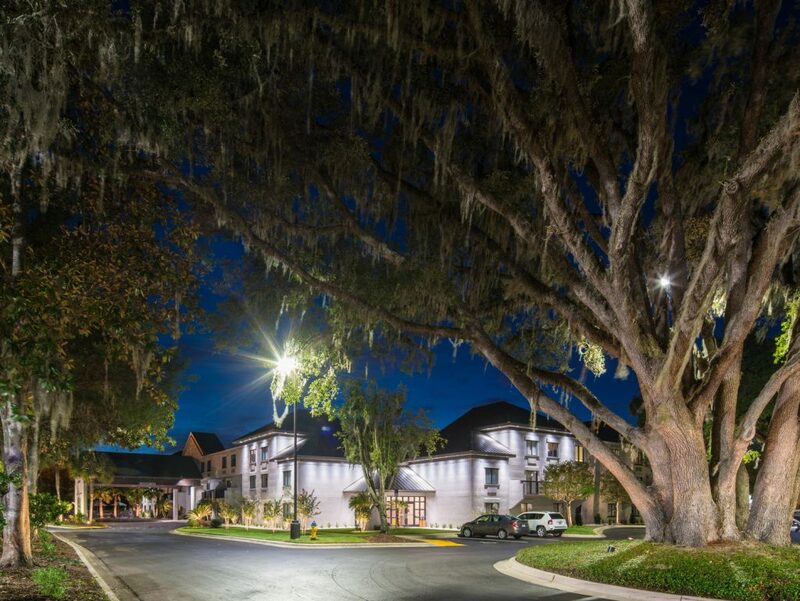 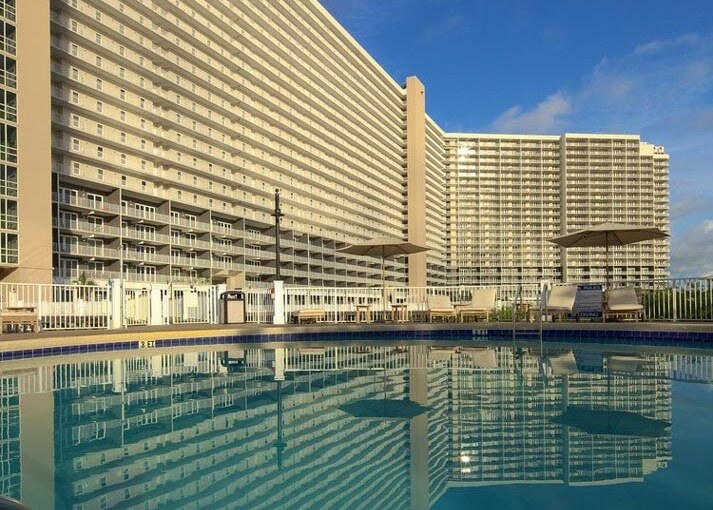 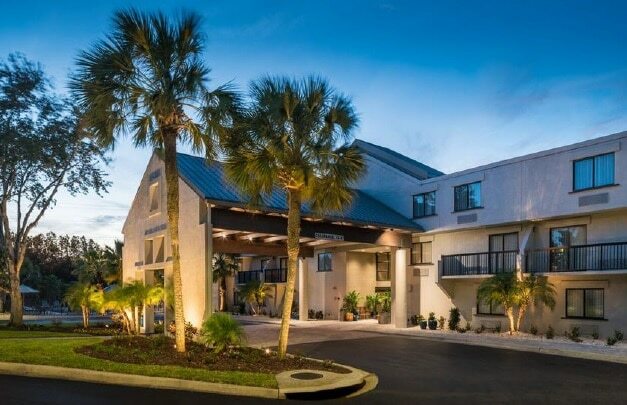 Connor & Gaskins completed an entire renovation that included 760 units, the addition of large hardscape pools, spas, golfing and putting greens, bars, garage top pools, meeting rooms, hotel resort dining and shopping areas. 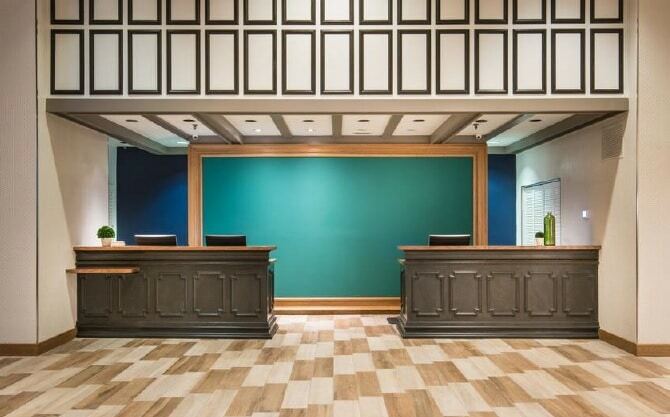 Connor & Gaskins completed cnstruction improvements to the main entrance at Le Jardin. Scope of work included new planters, decorative walls, brick pavers and signage. 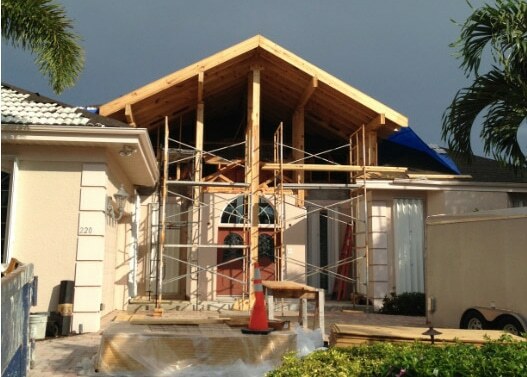 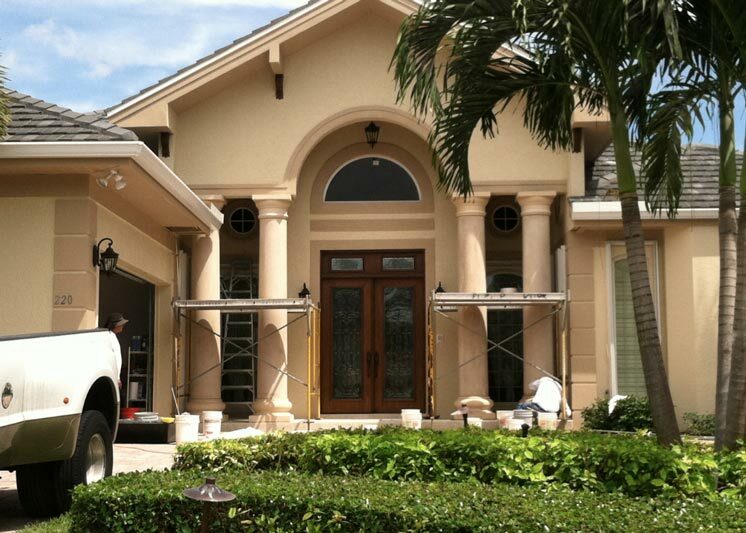 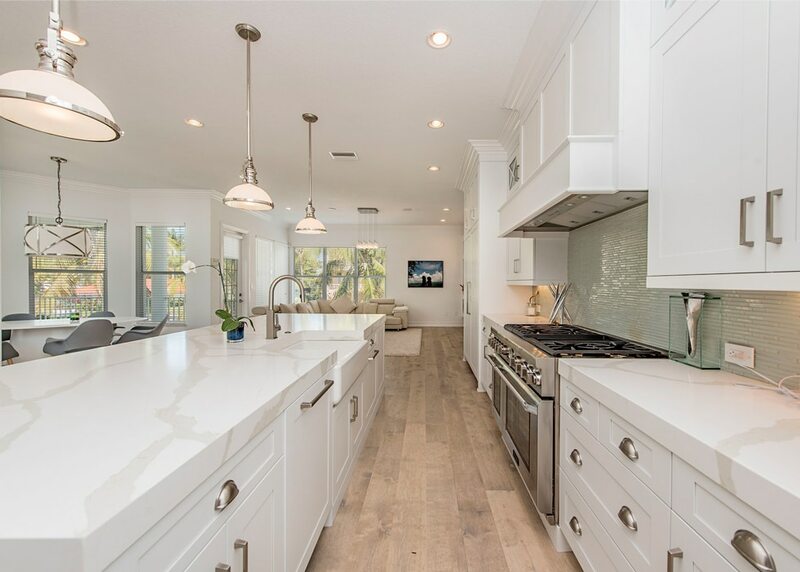 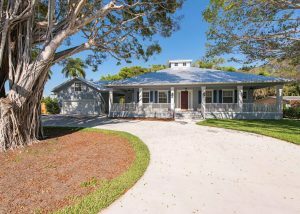 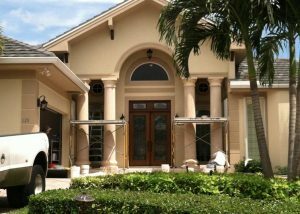 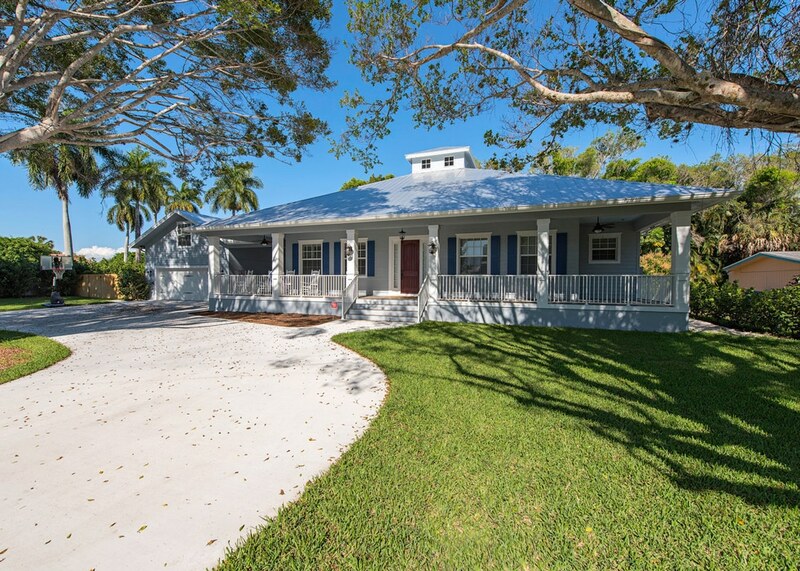 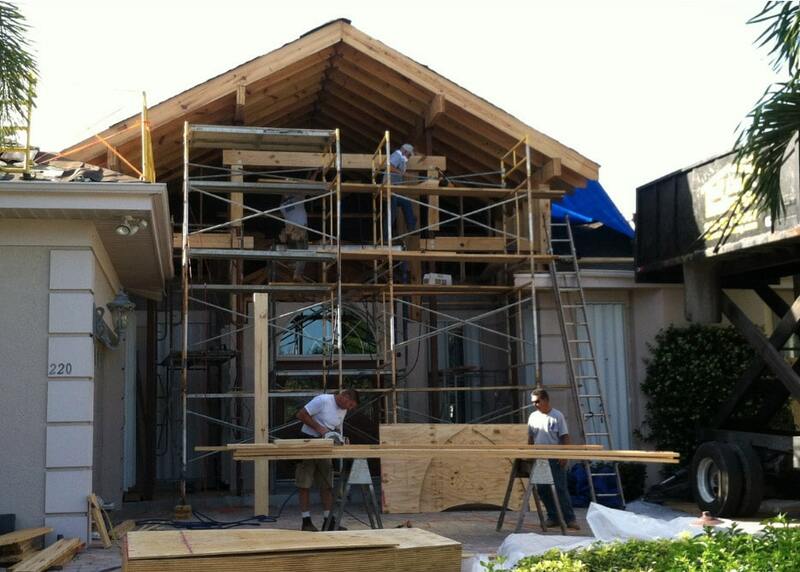 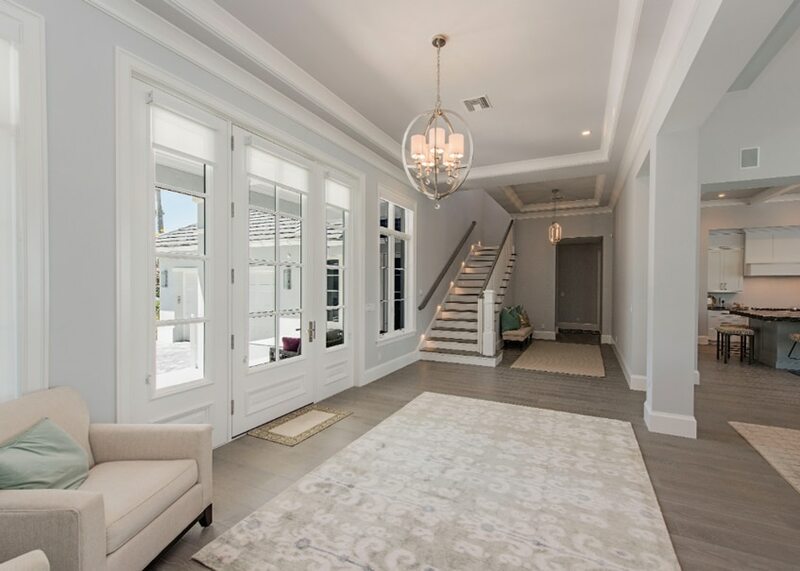 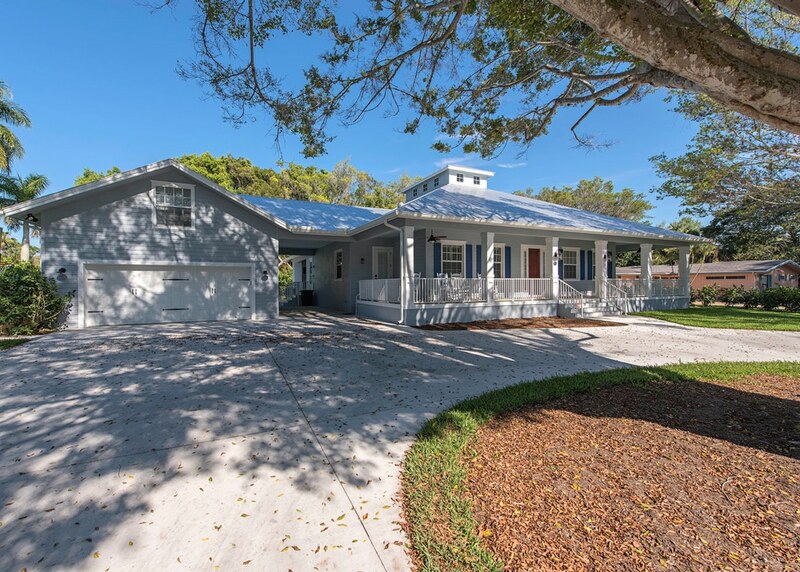 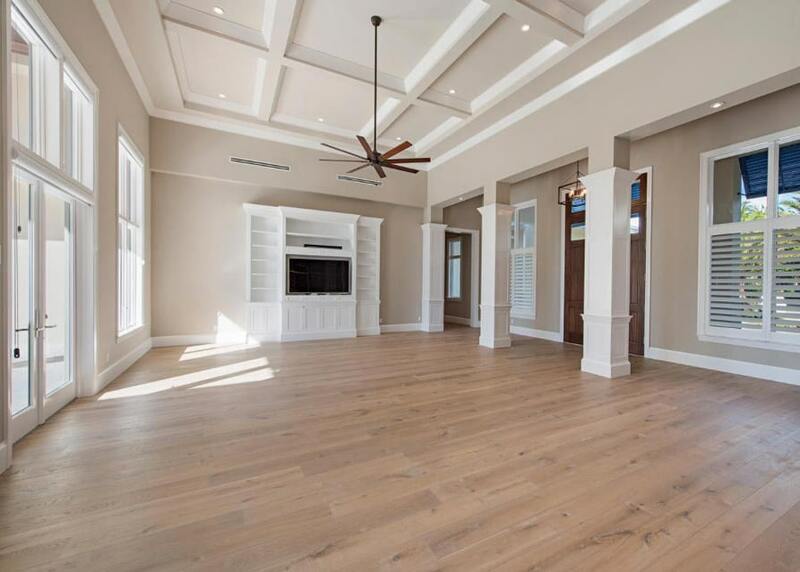 Connor & Gaskins renovated the interior and exterior for a custom home in Vanderbilt Beach area of Naples, FL. 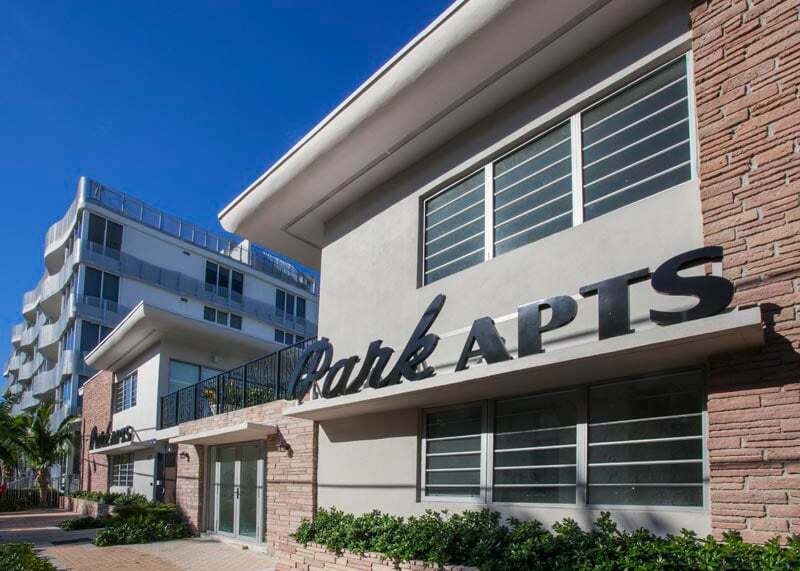 Connor & Gaskins developed new residential units along 5th Avenue in downtown Naples, FL. 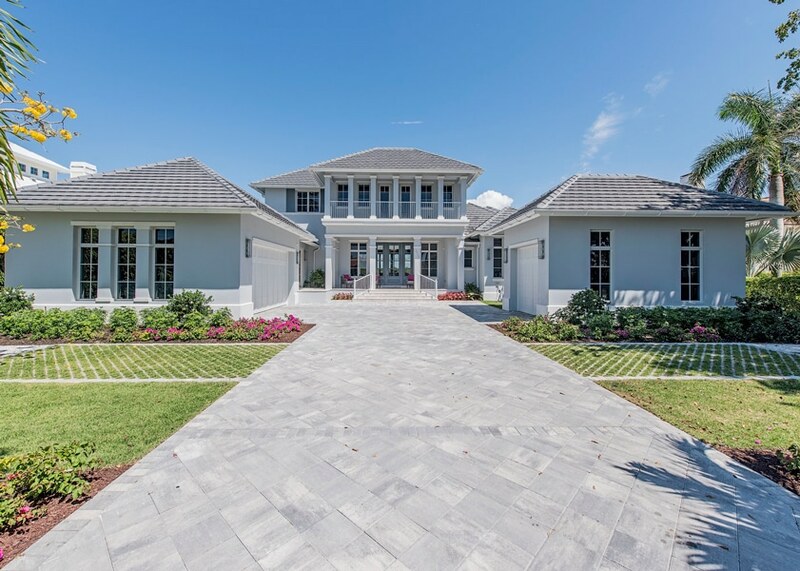 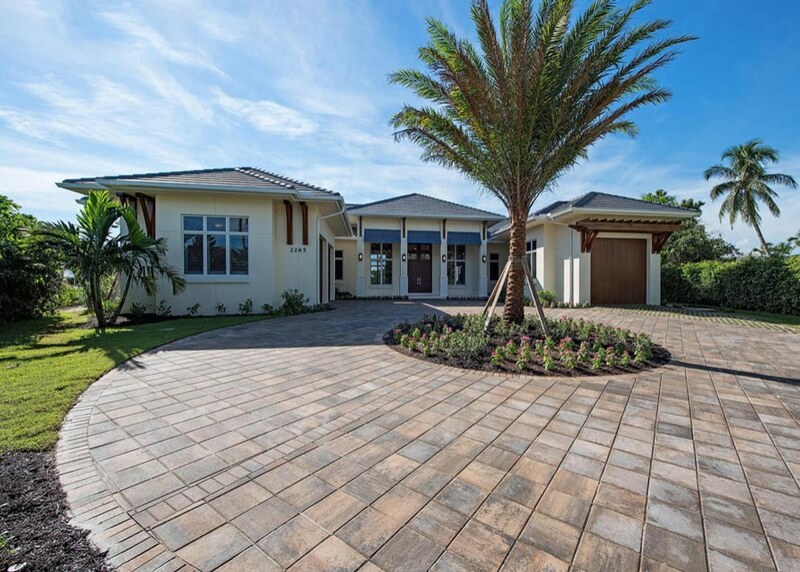 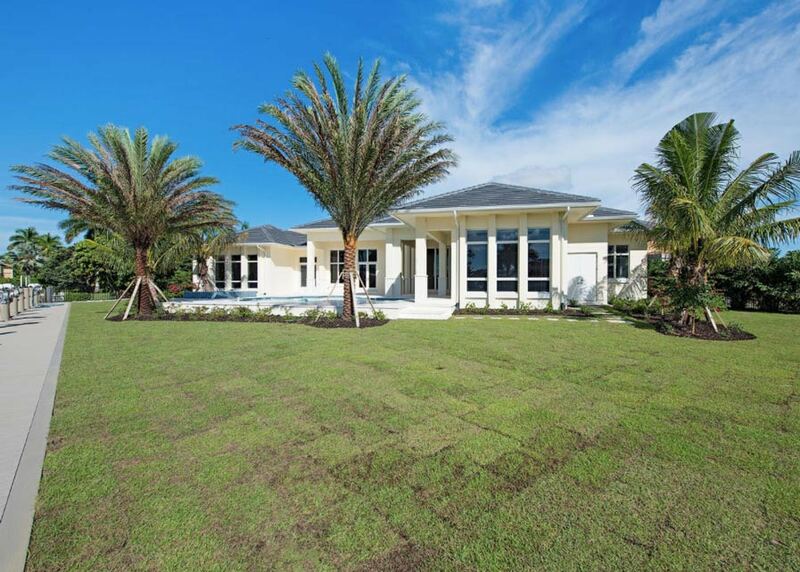 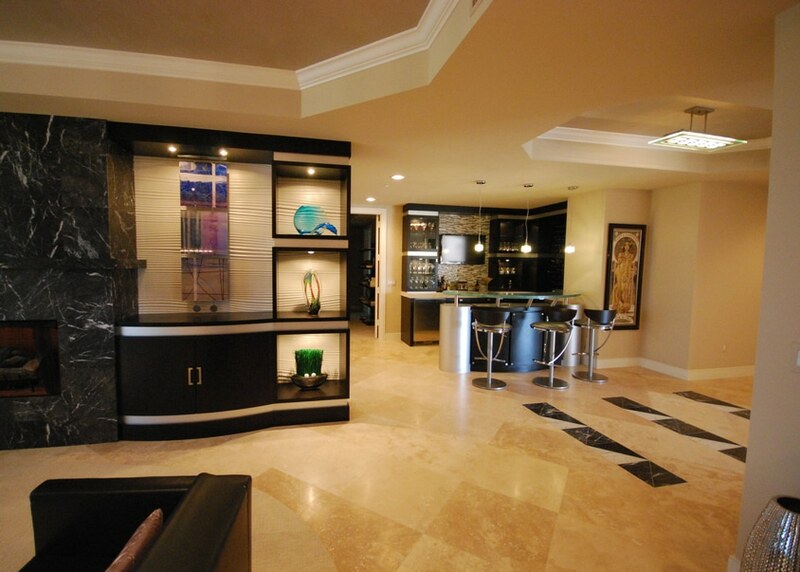 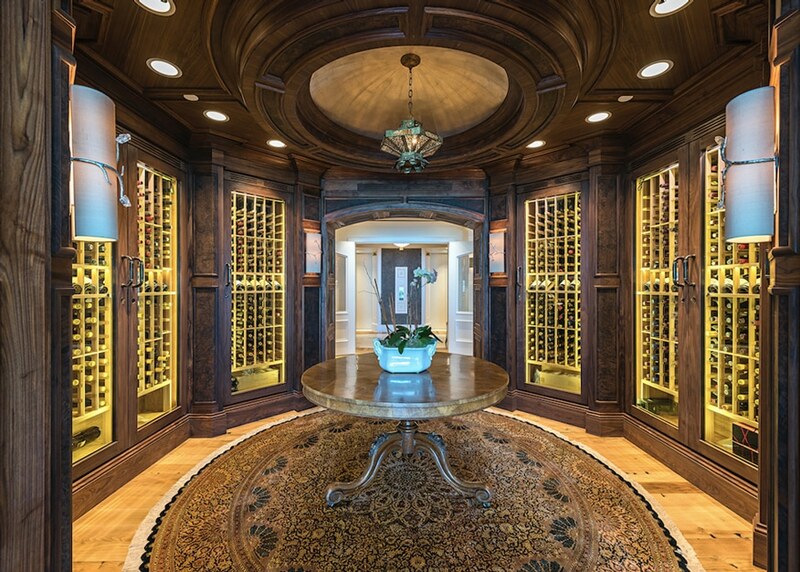 Connor & Gaskins designed and built a custom home located in Sea Gate of Naples, FL. 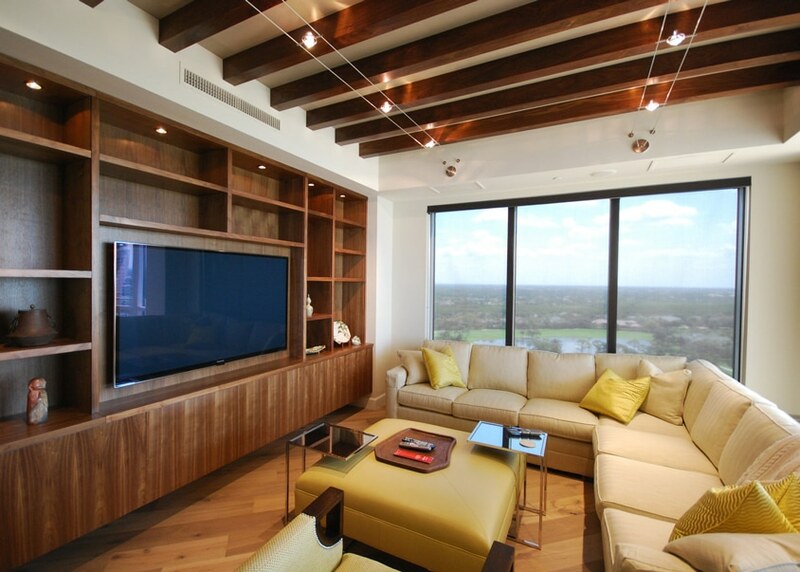 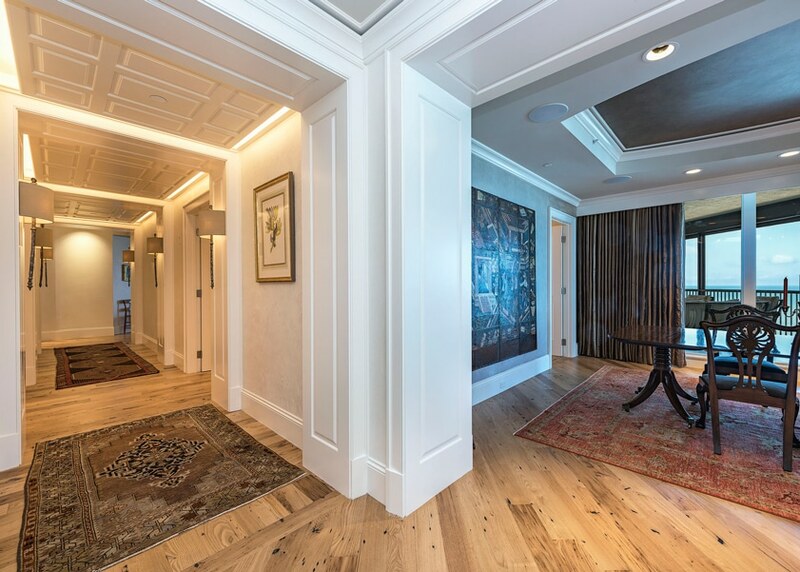 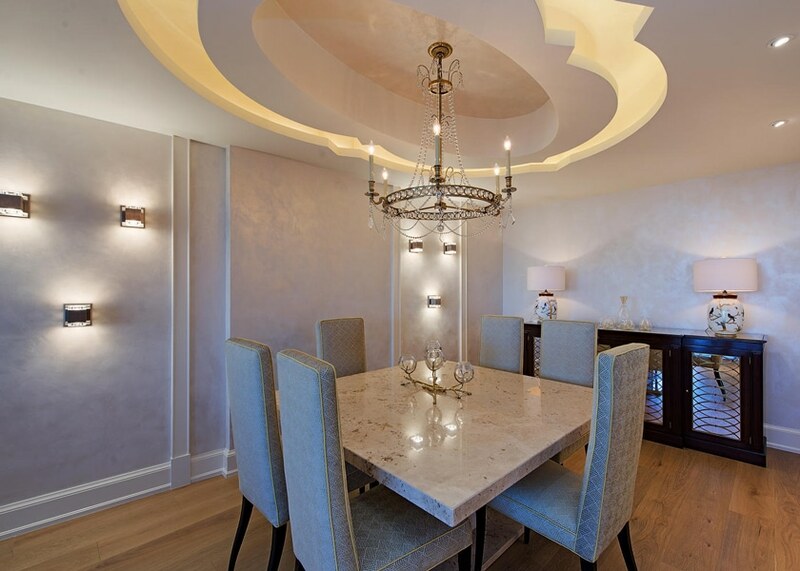 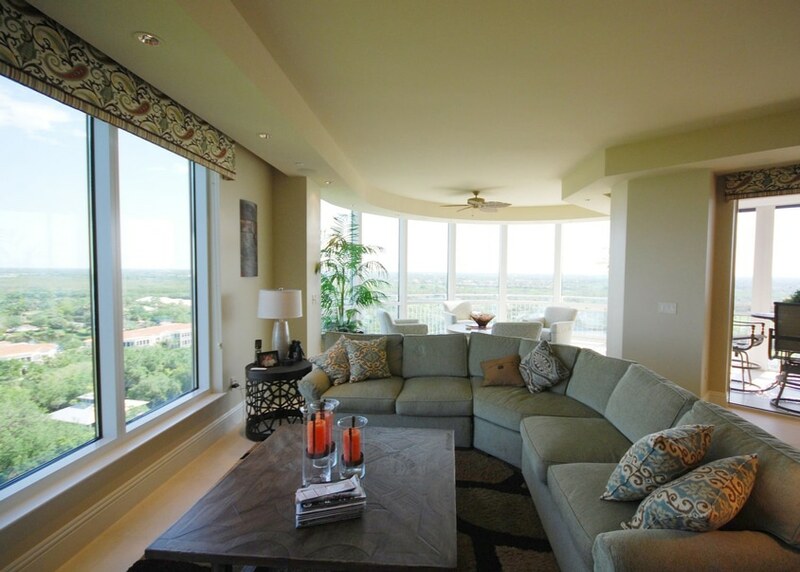 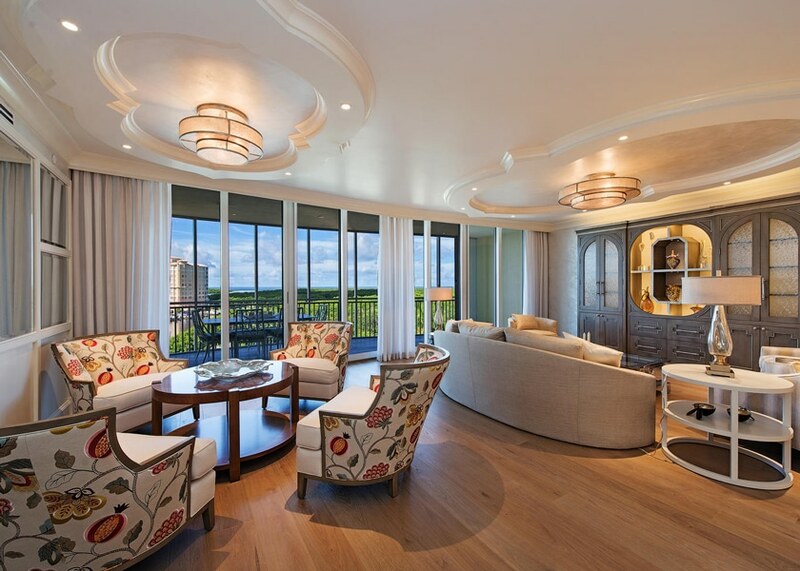 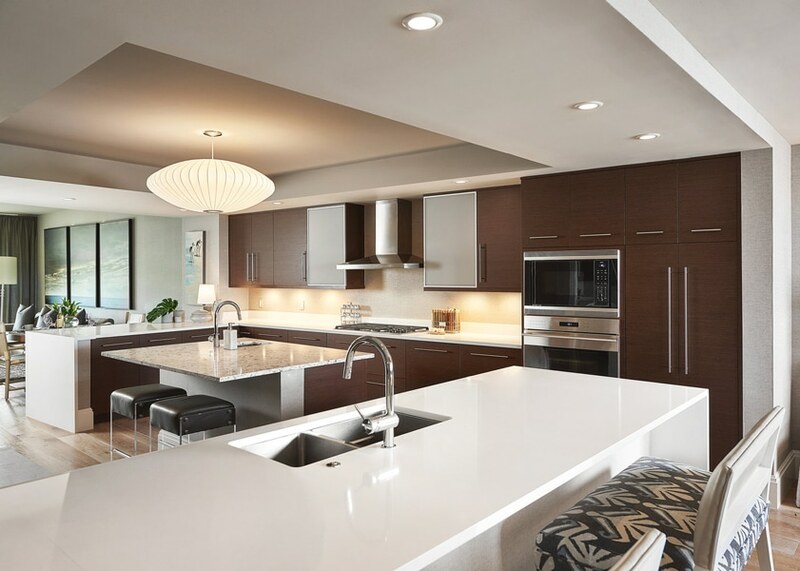 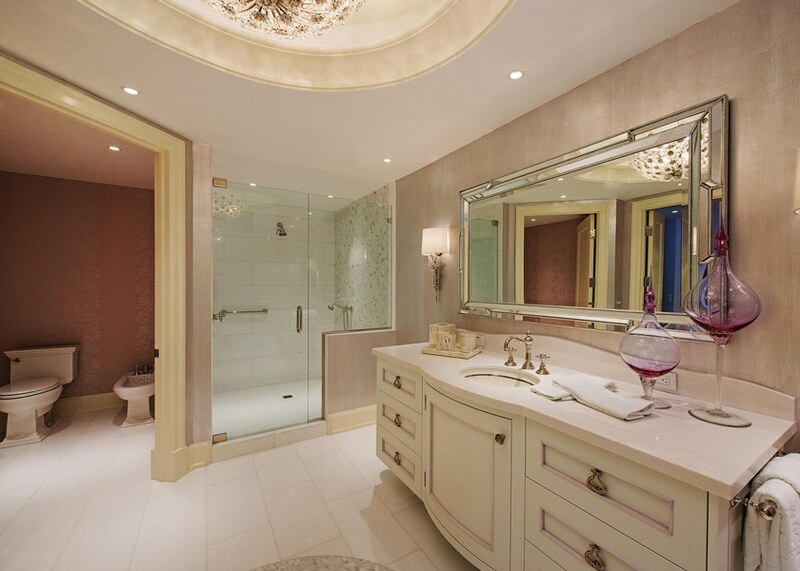 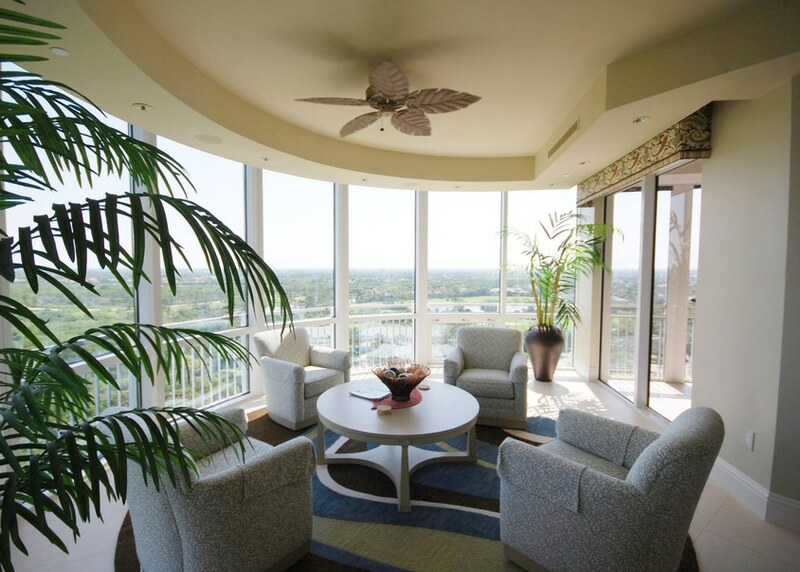 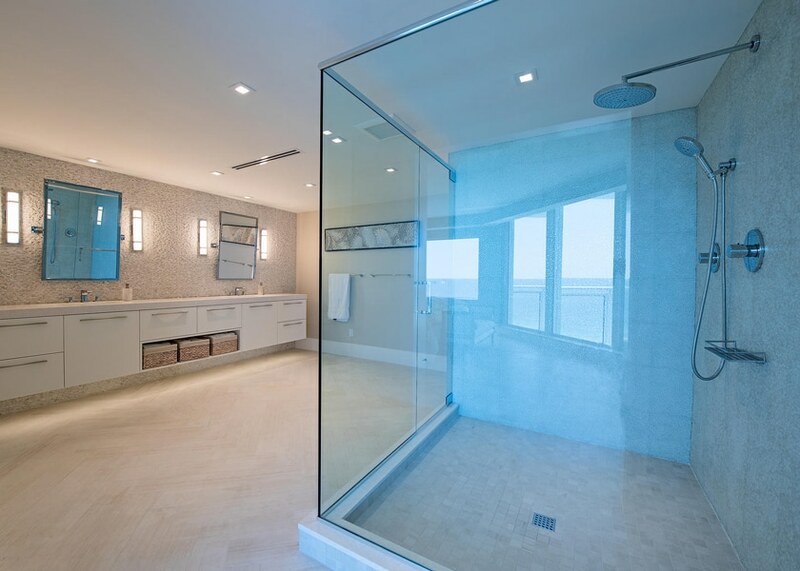 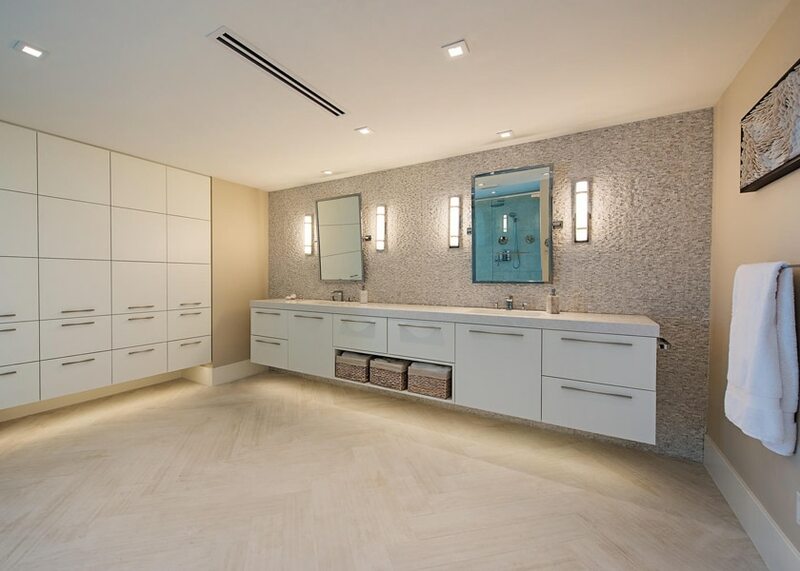 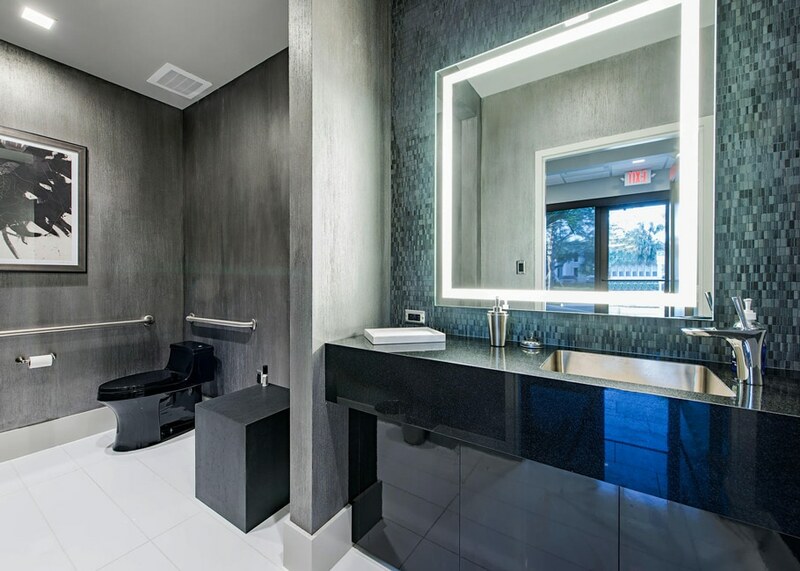 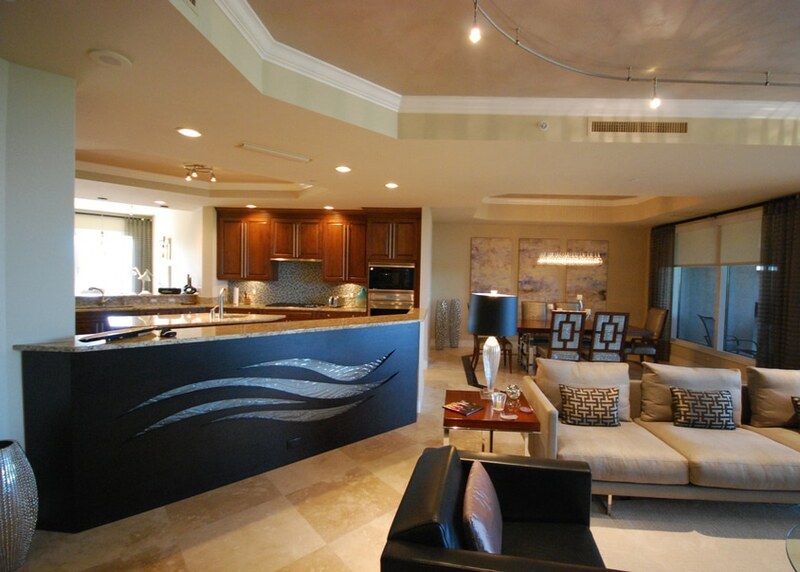 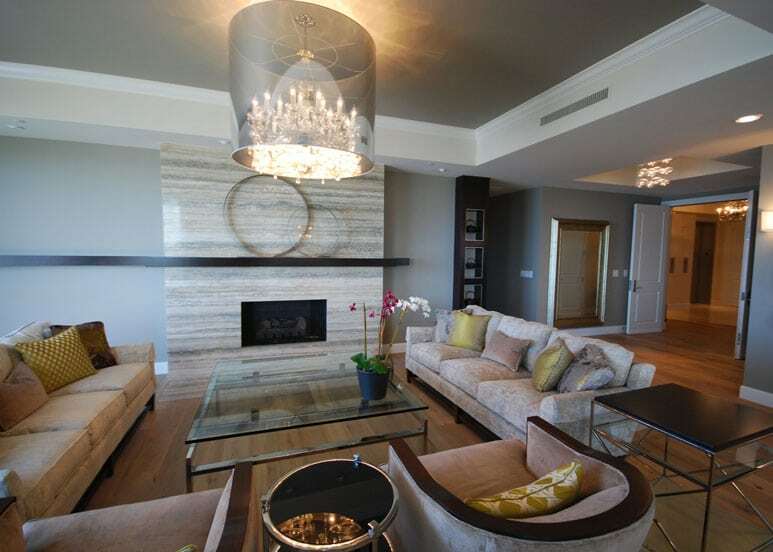 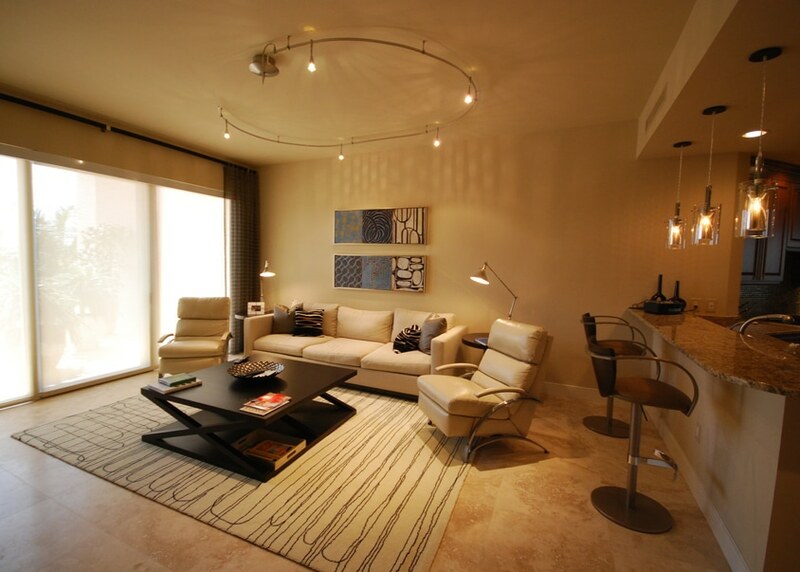 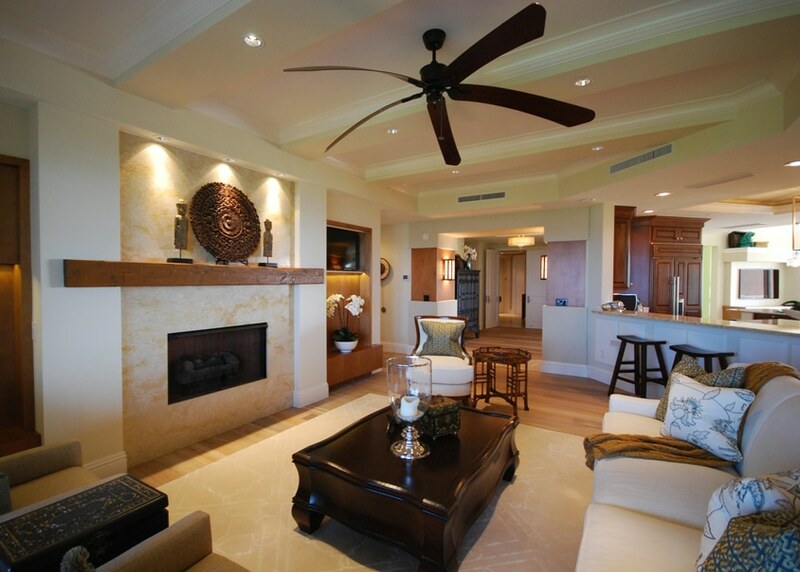 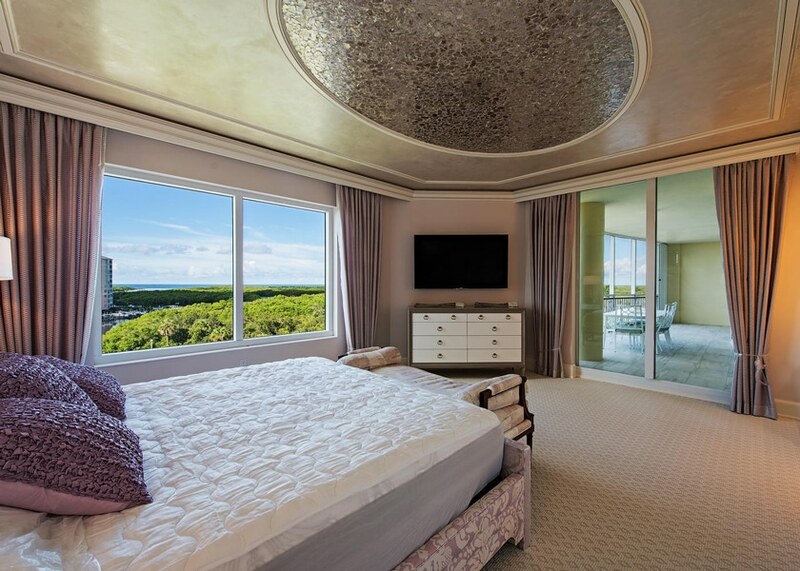 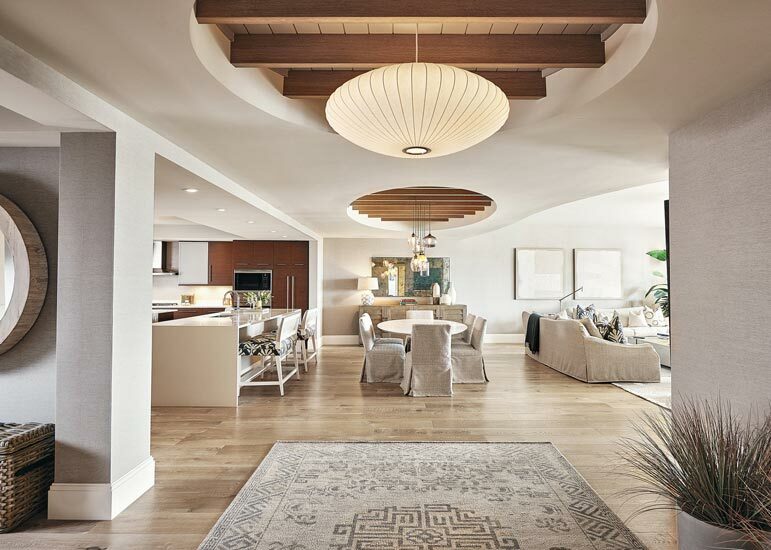 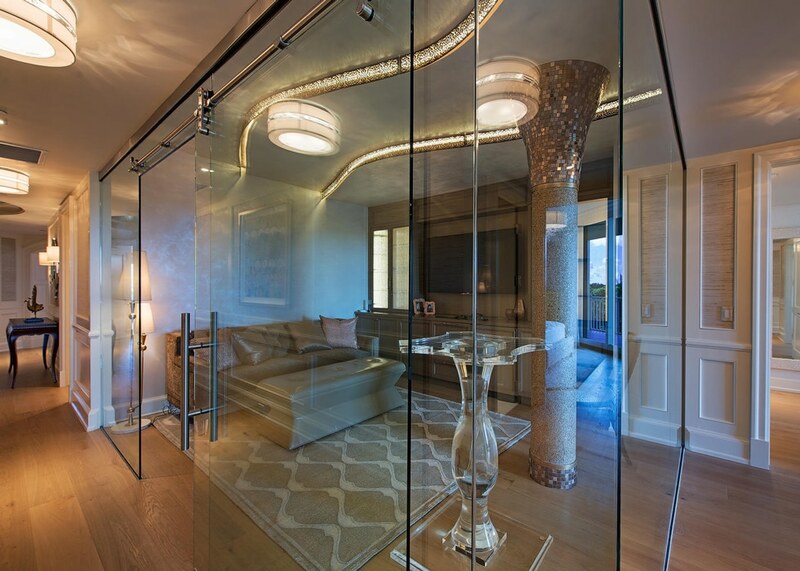 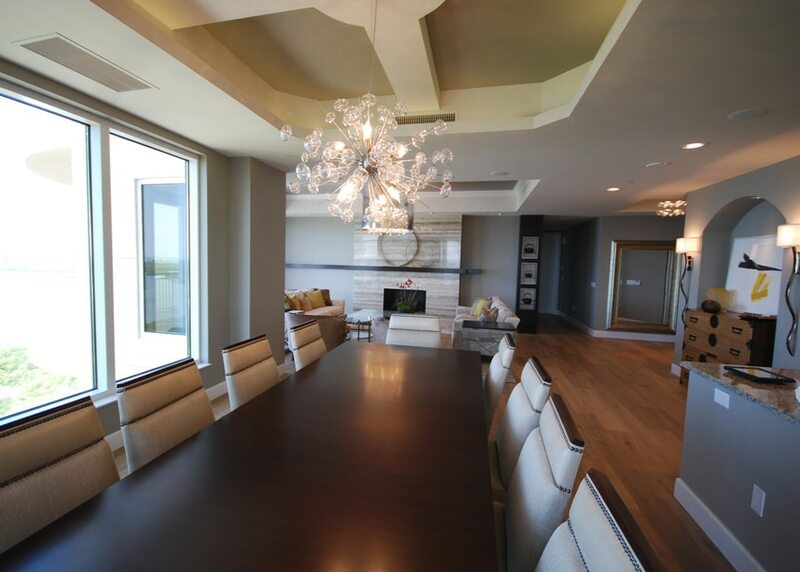 Connor & Gaskins renovated the interior of a luxury Tavira condominium in Naples, FL. 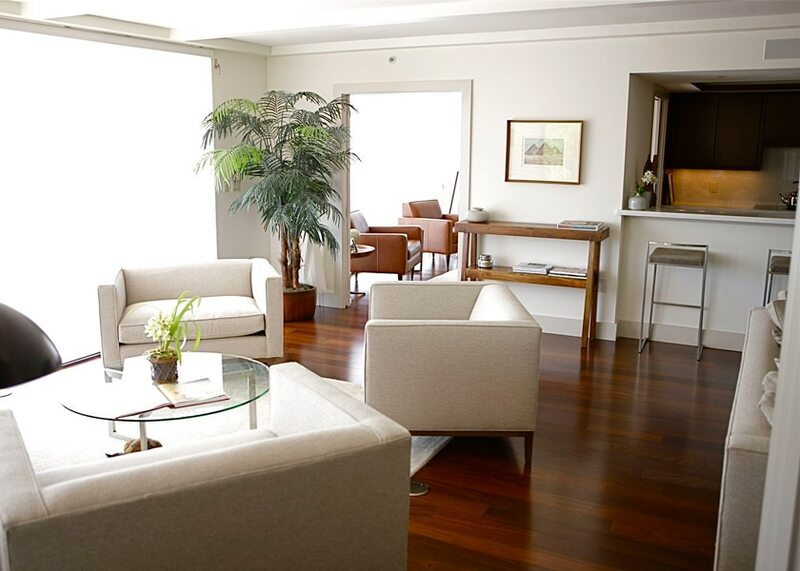 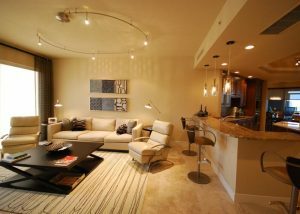 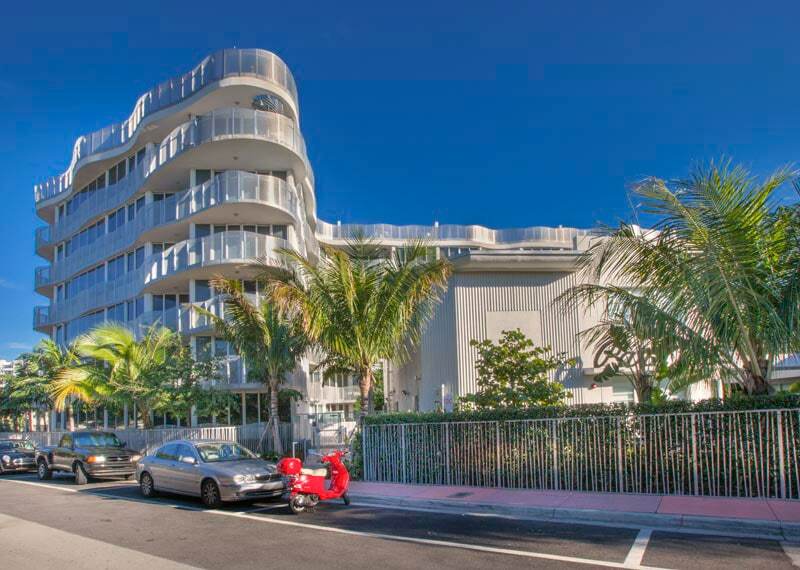 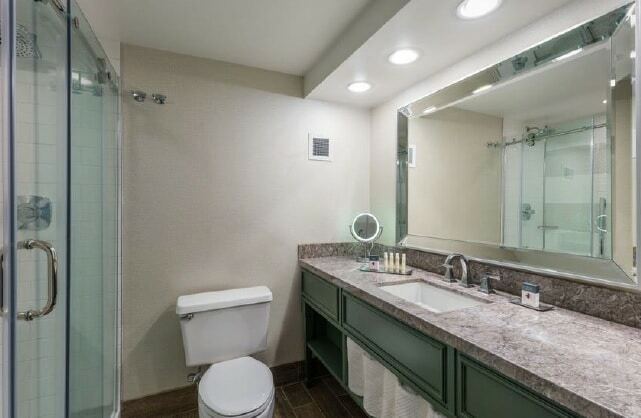 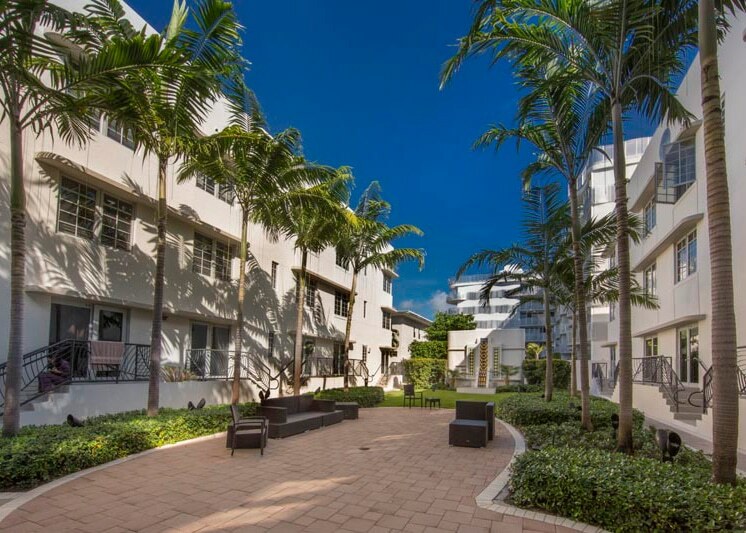 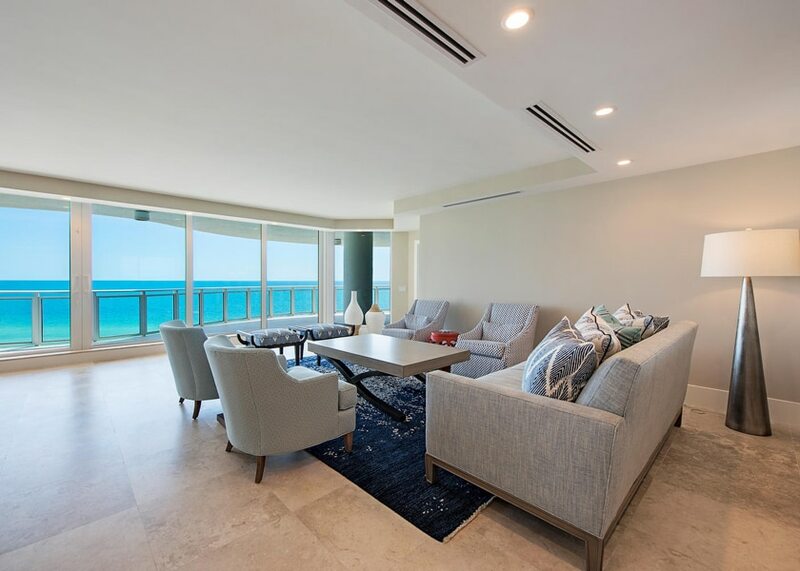 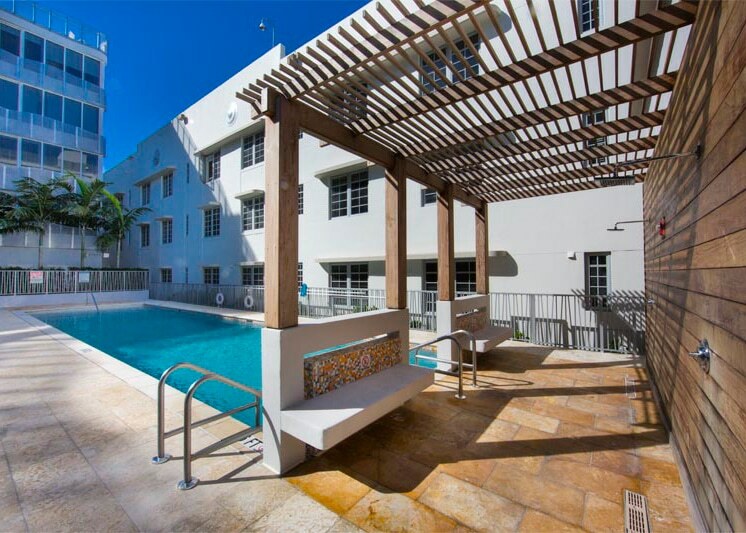 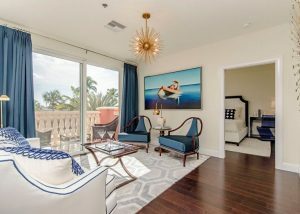 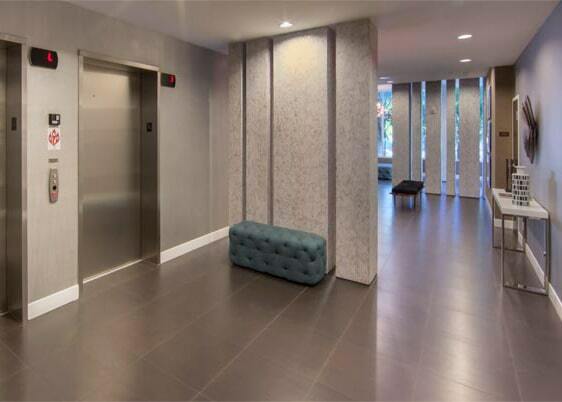 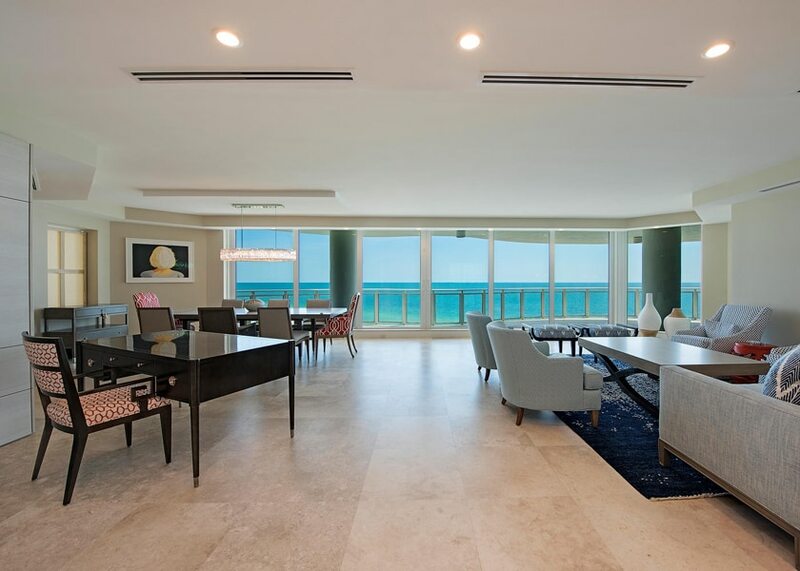 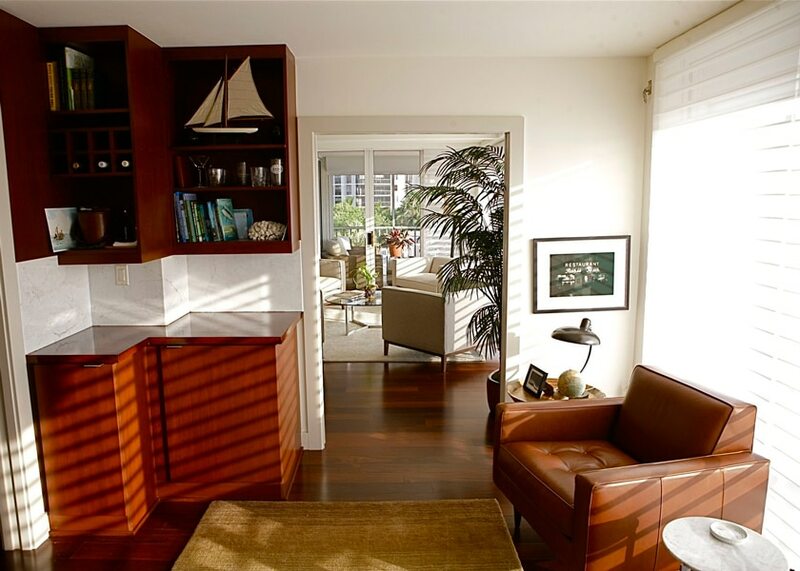 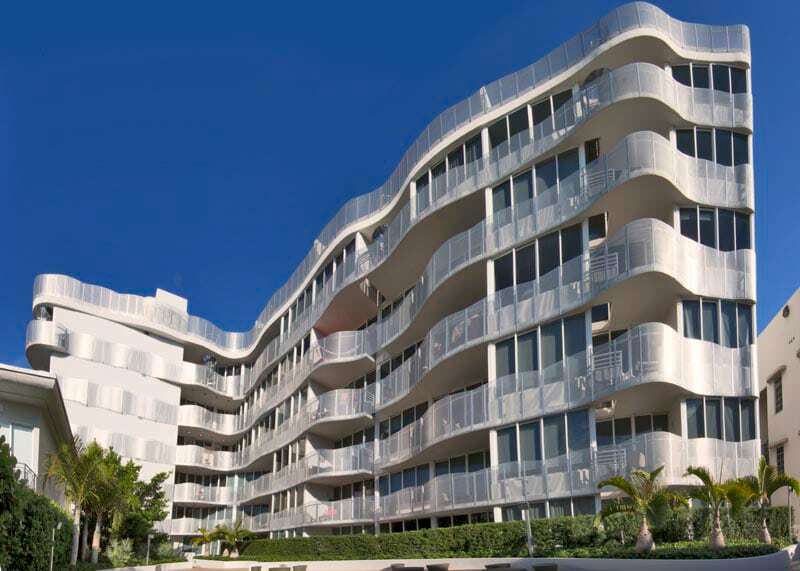 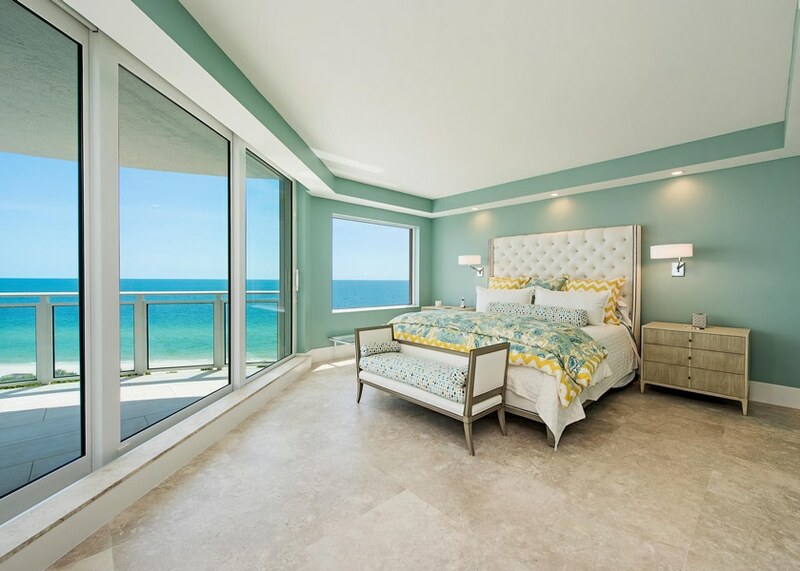 Connor & Gaskins renovated the complete interior of unit 606 at Aqua Condominiums. 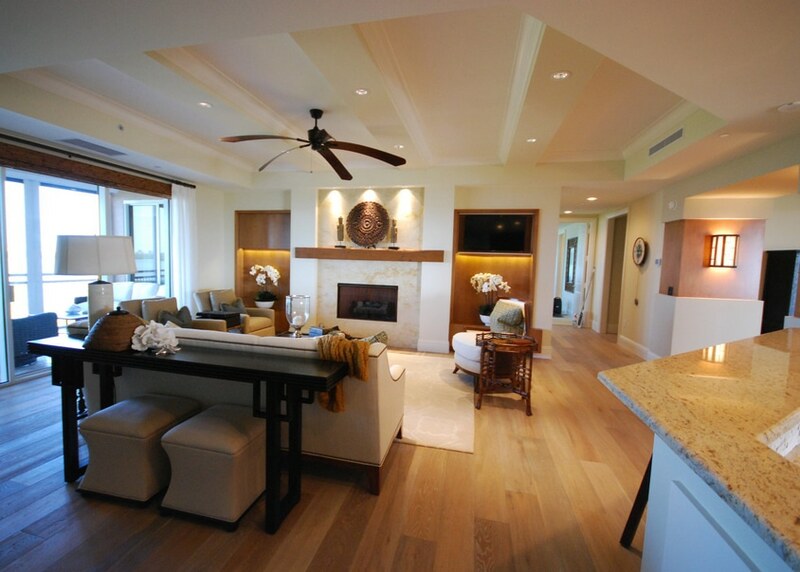 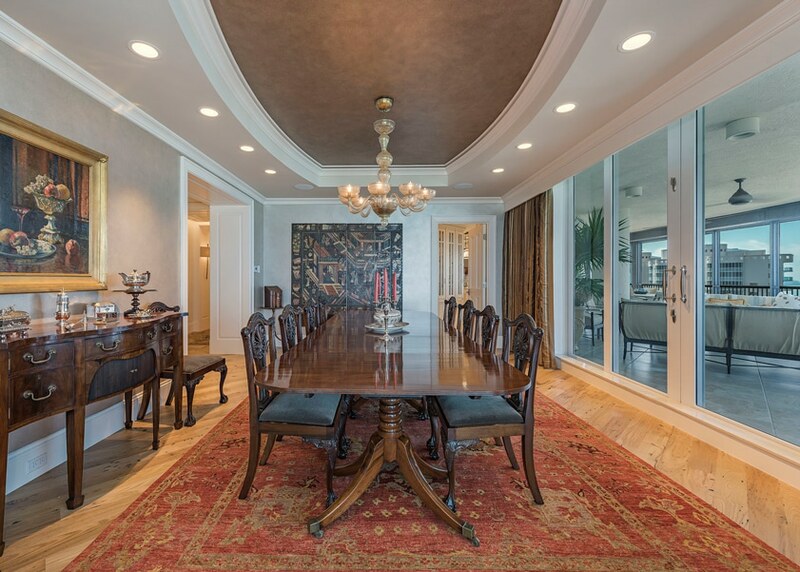 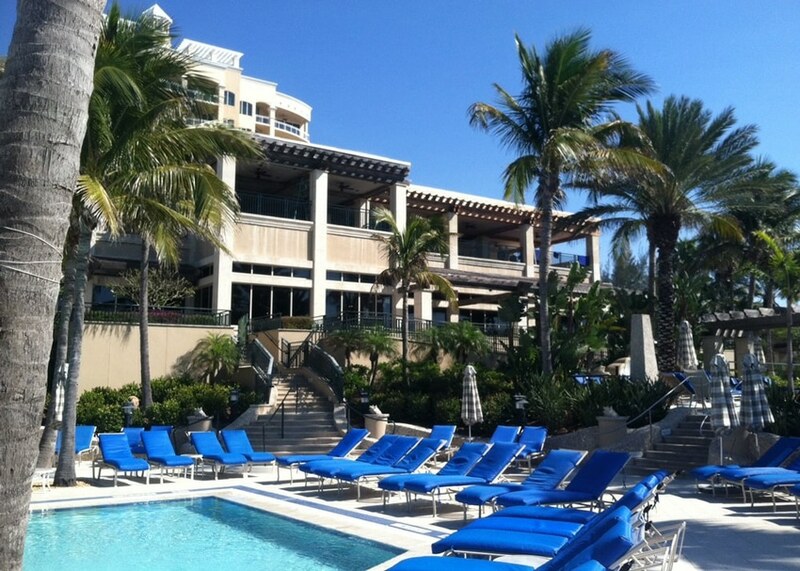 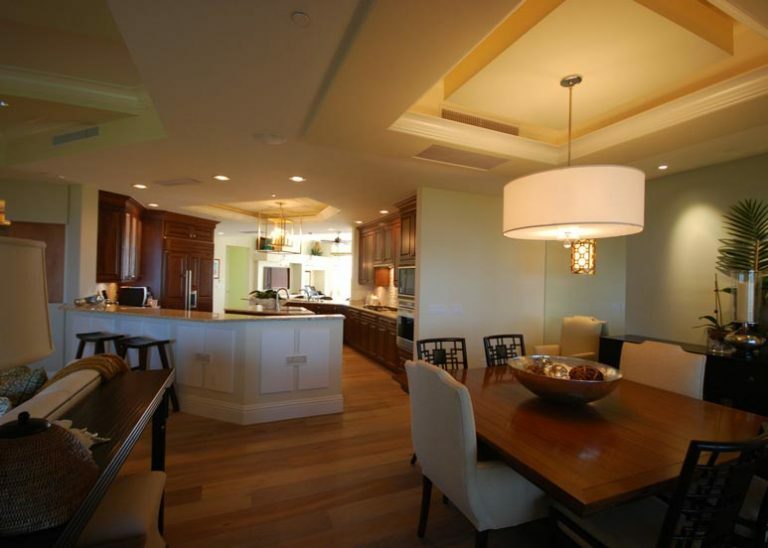 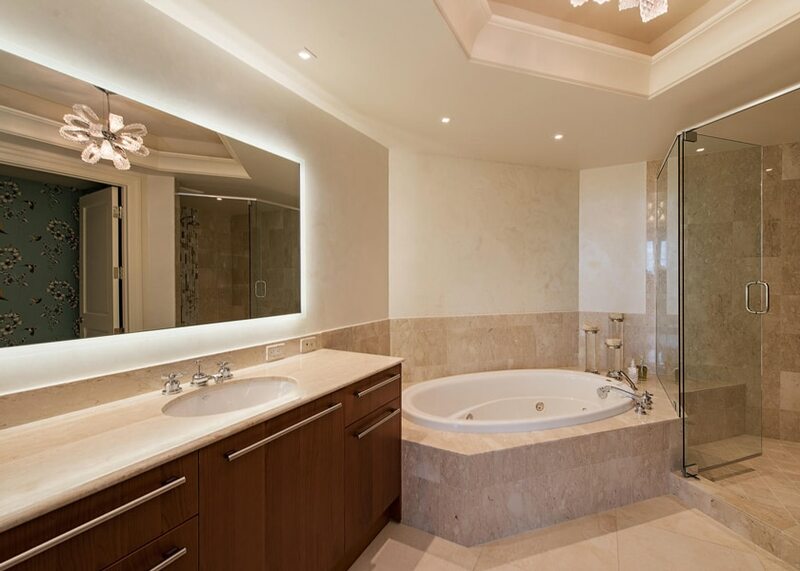 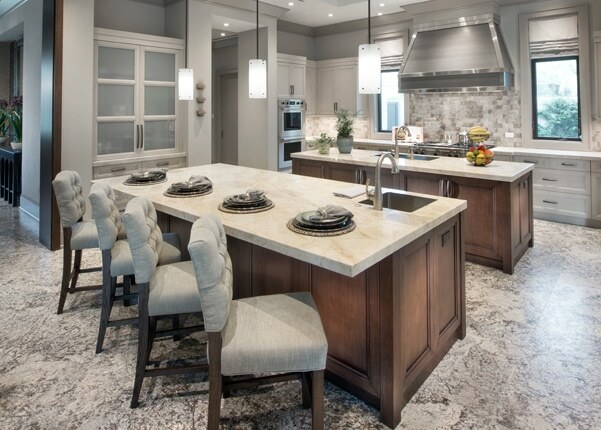 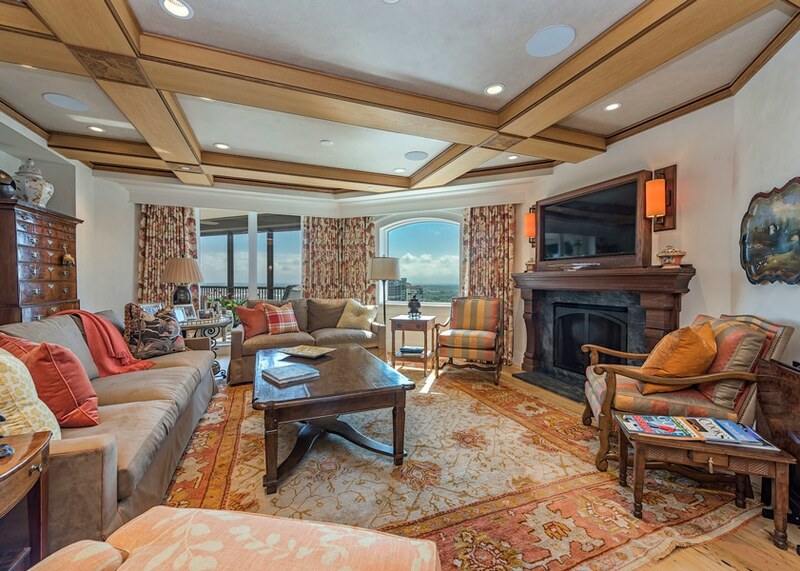 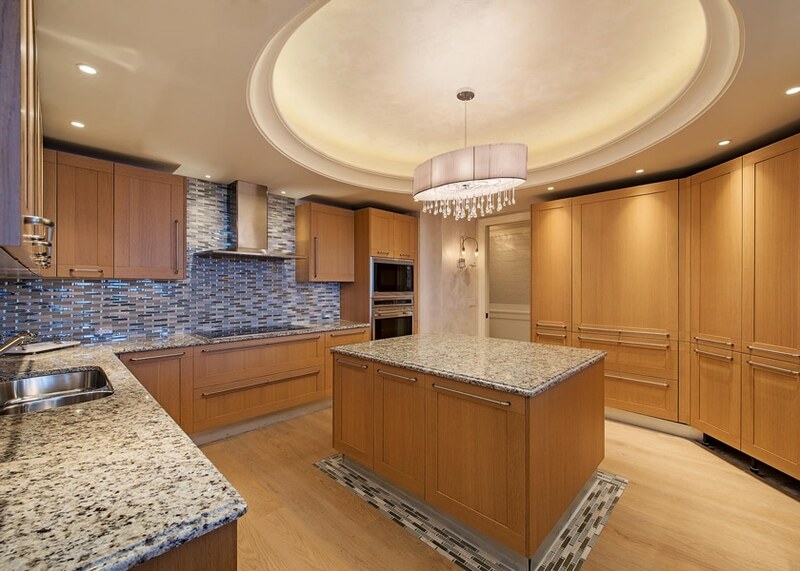 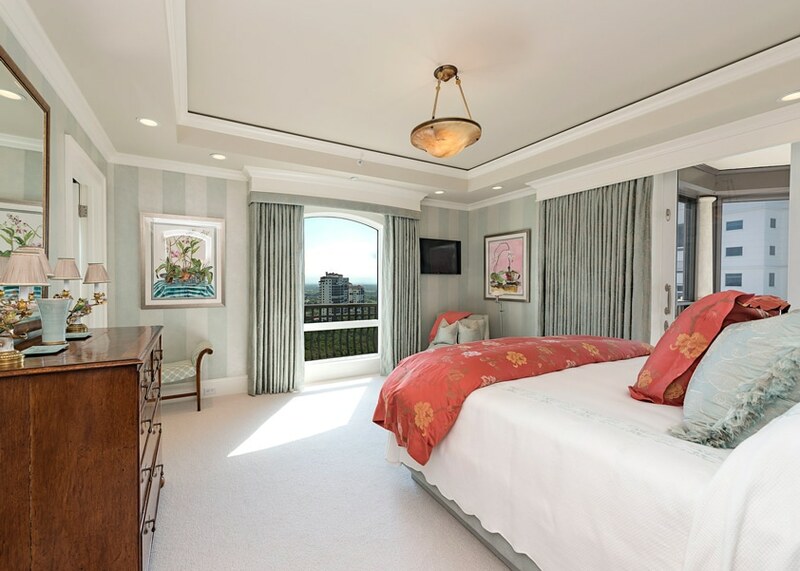 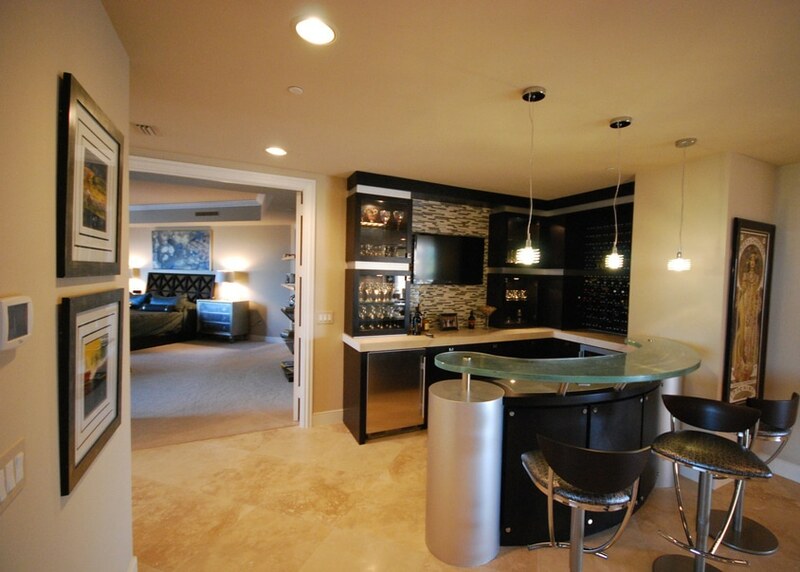 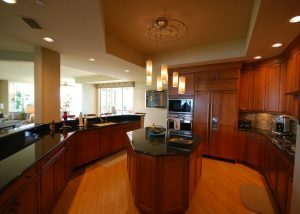 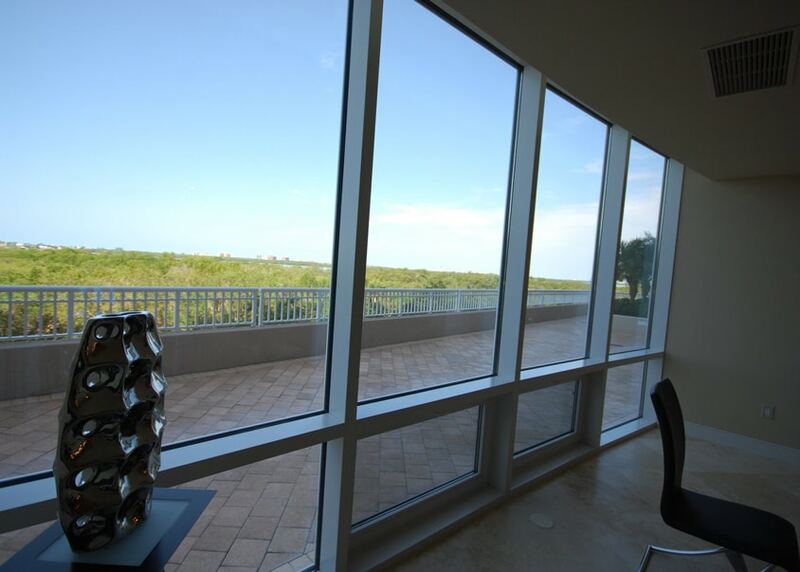 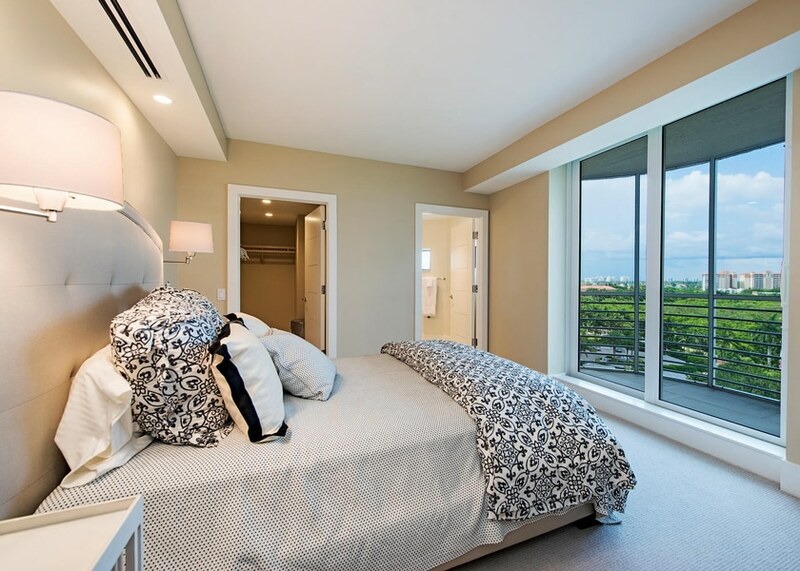 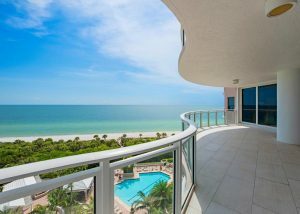 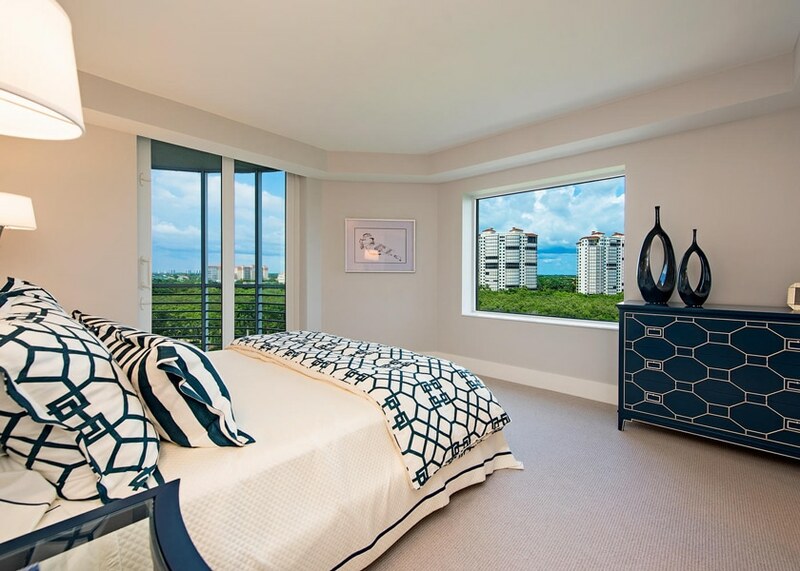 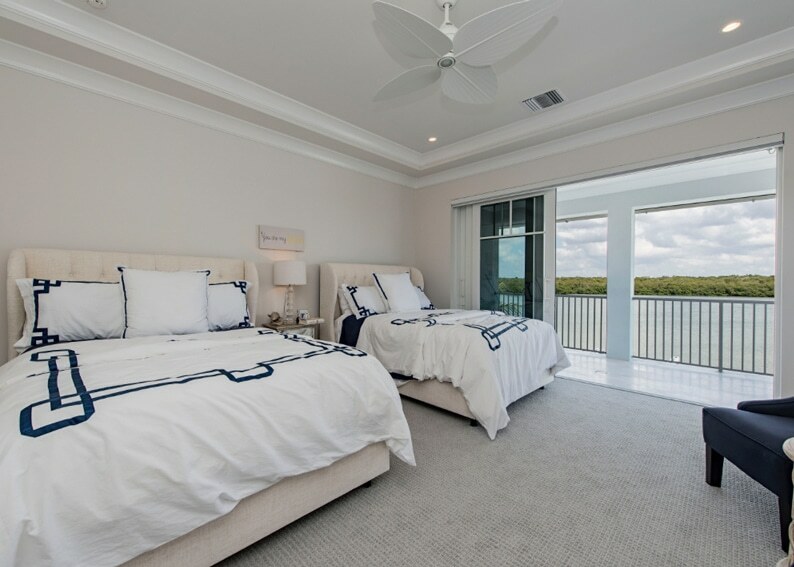 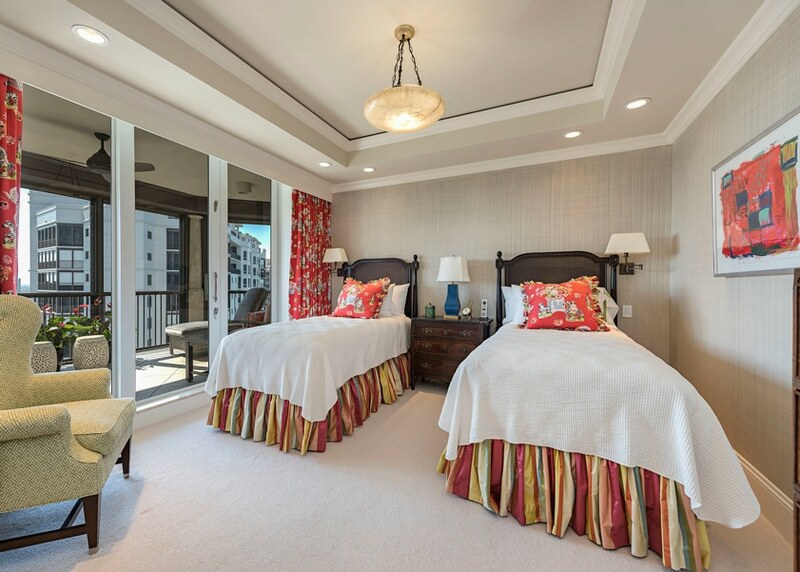 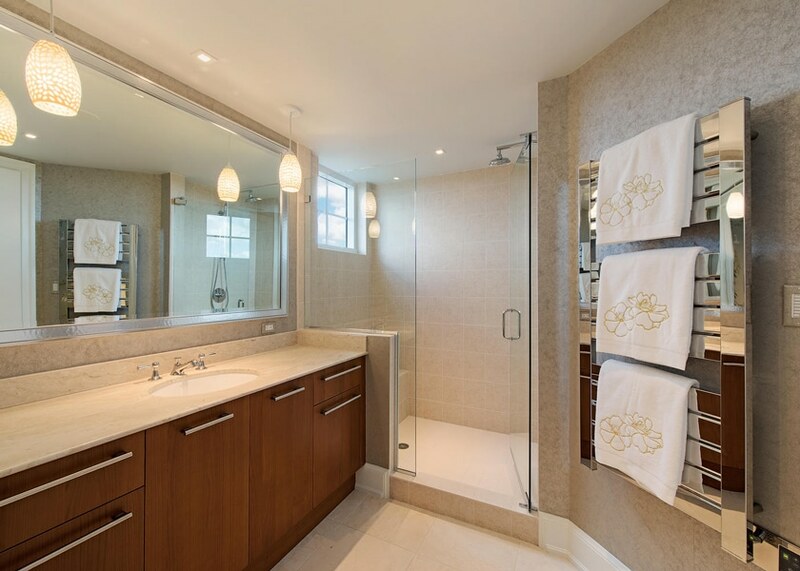 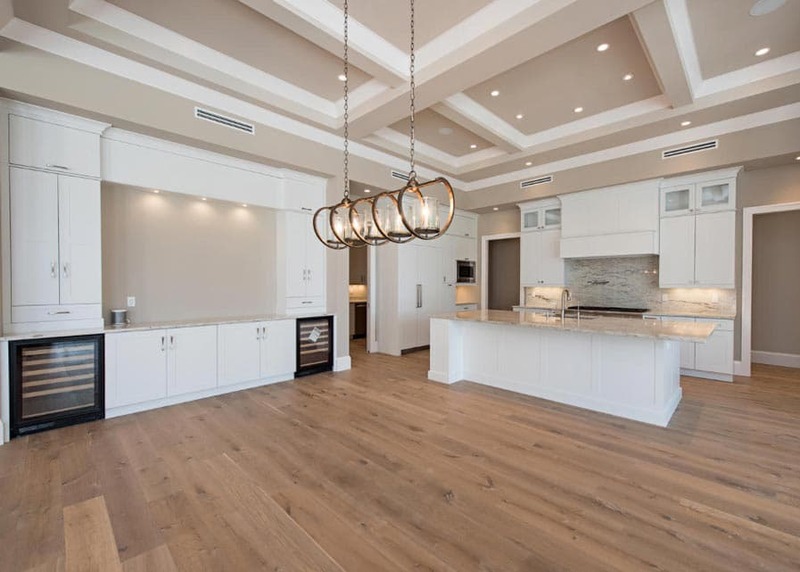 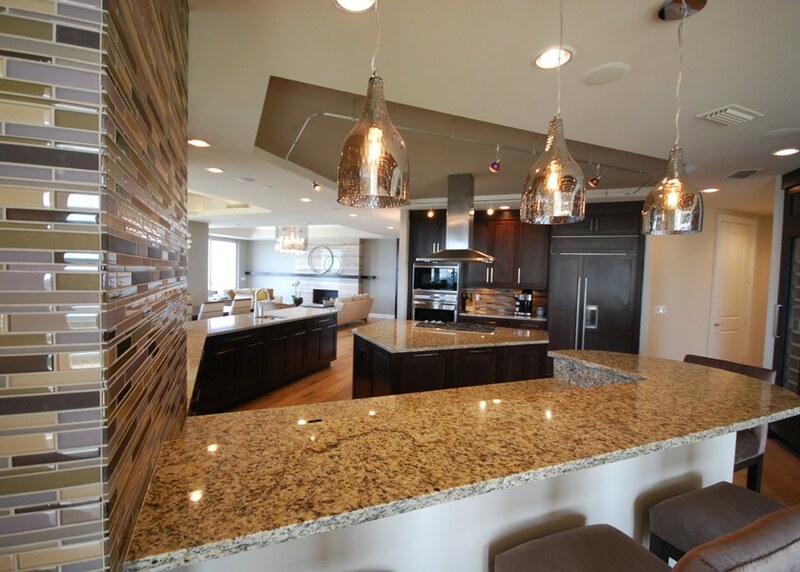 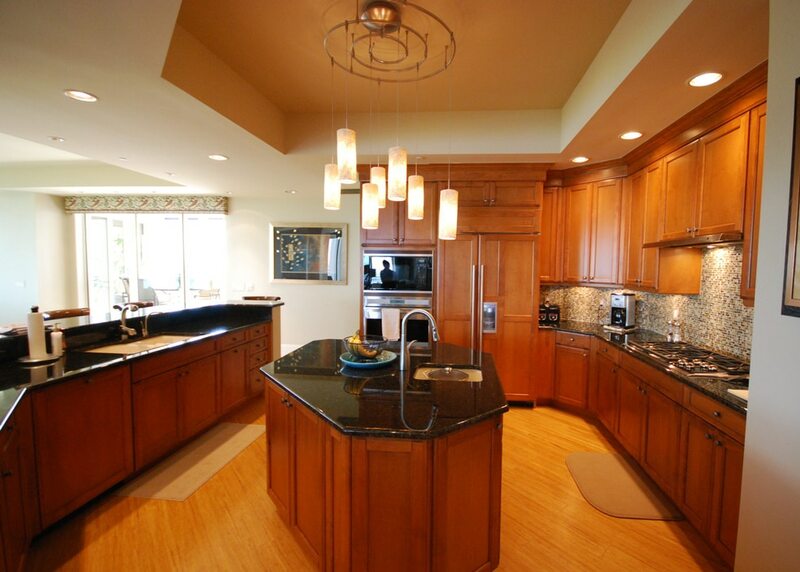 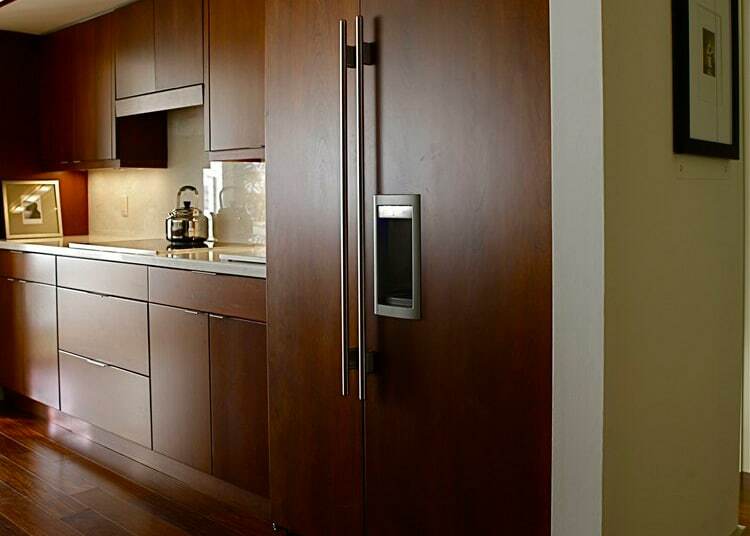 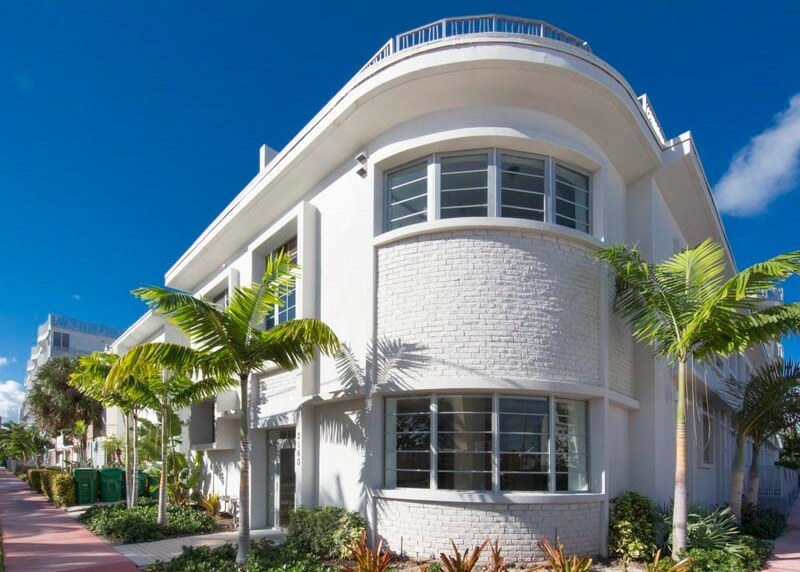 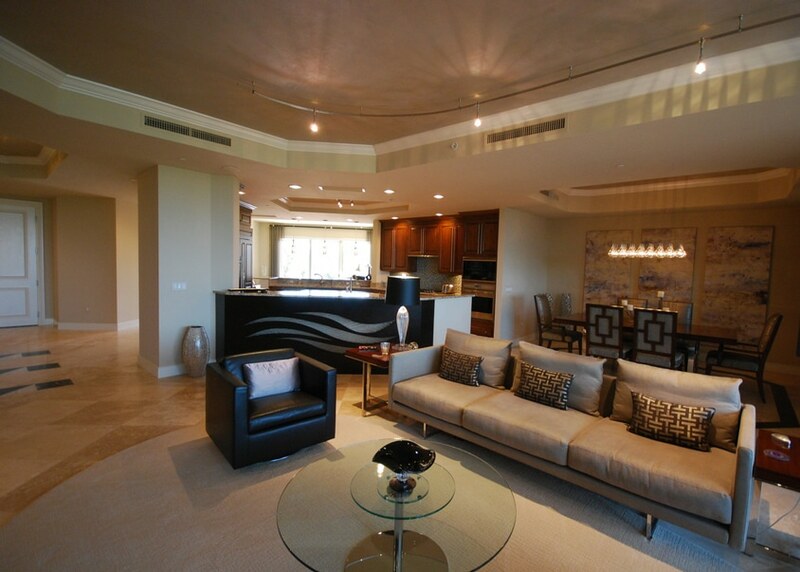 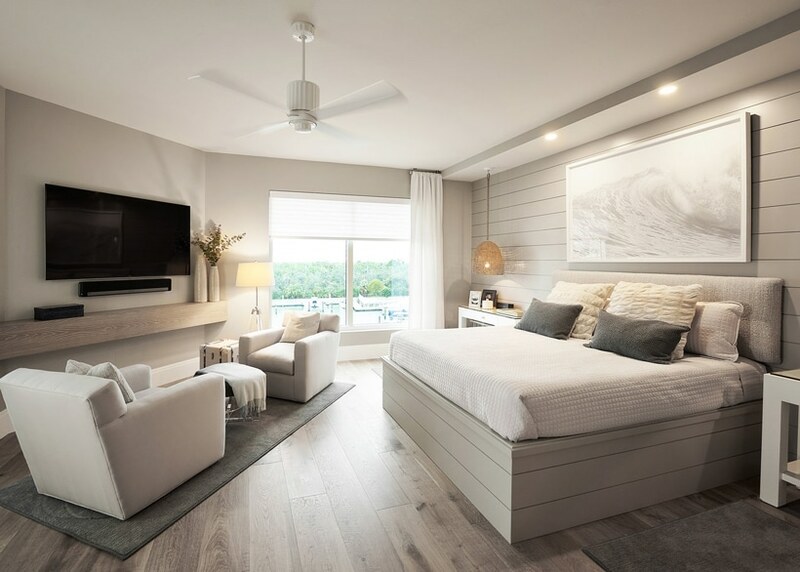 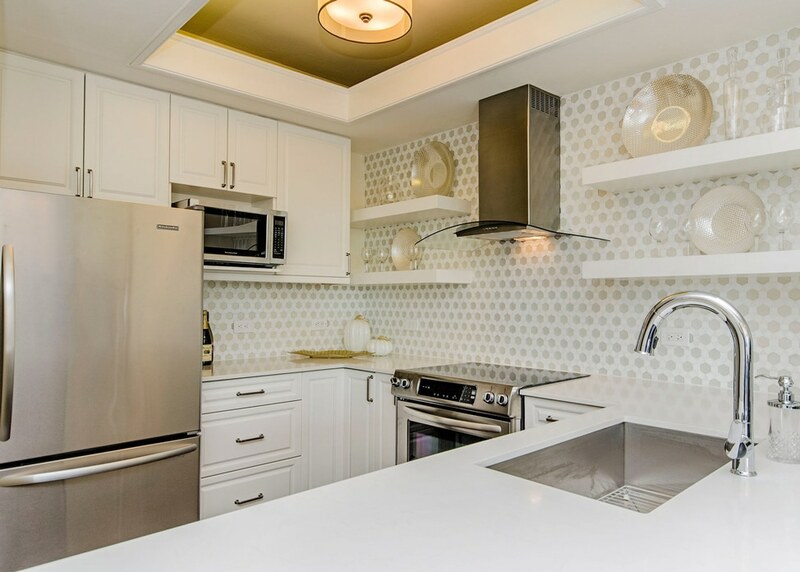 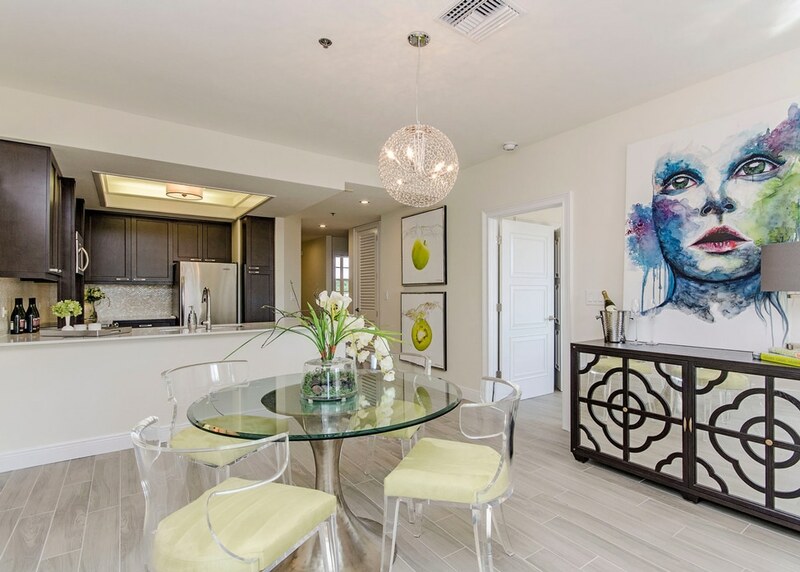 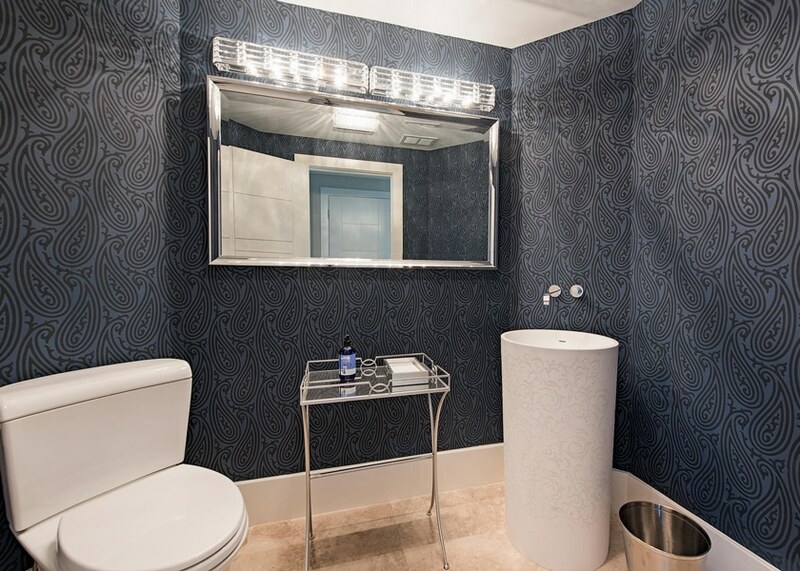 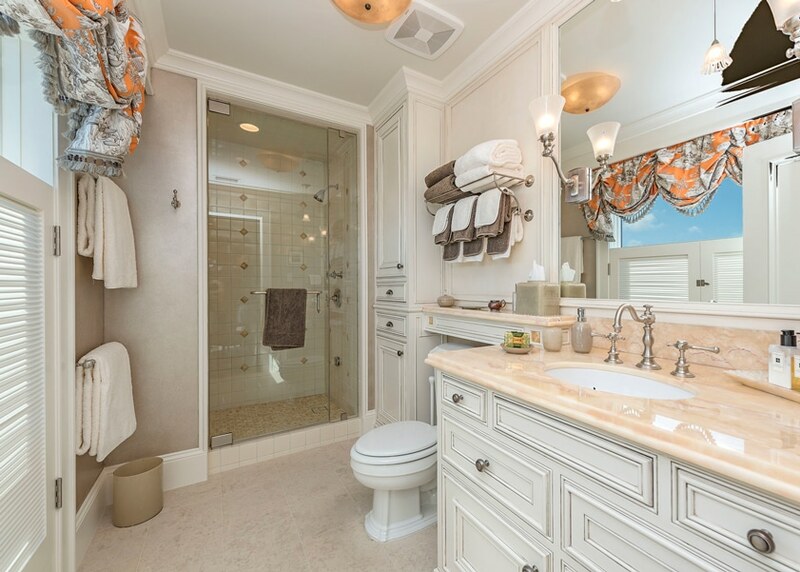 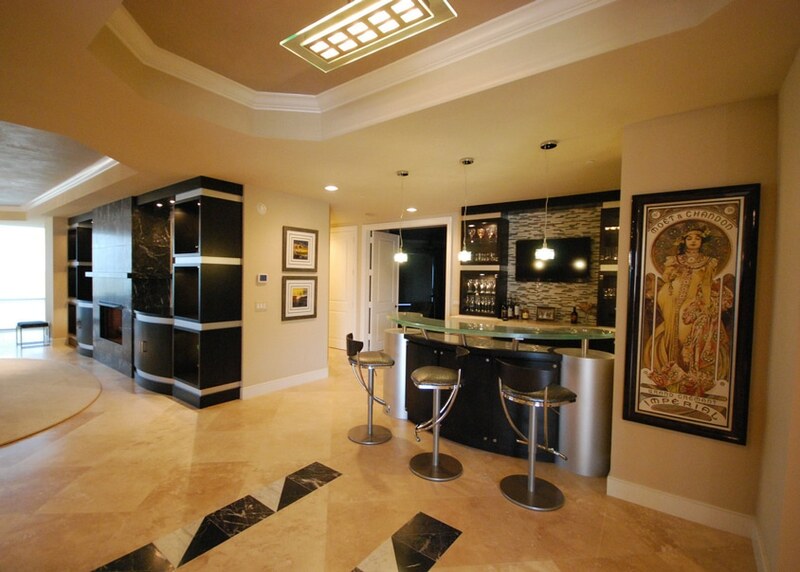 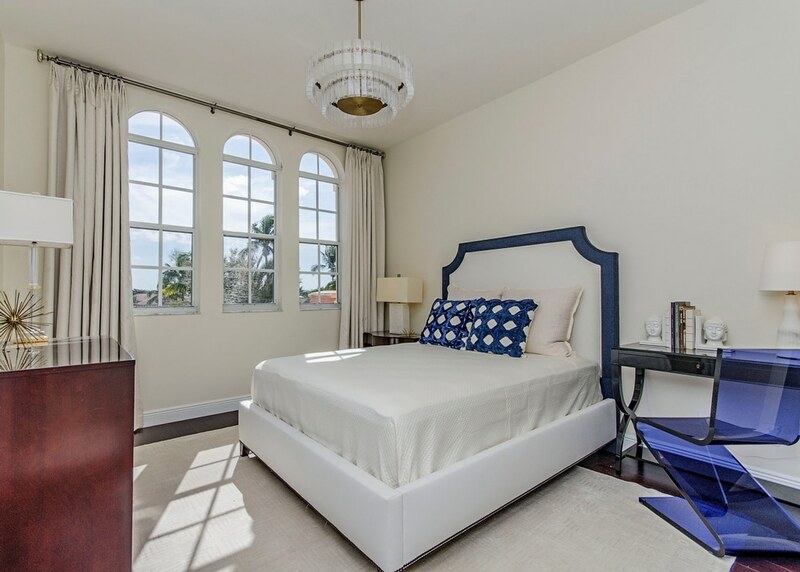 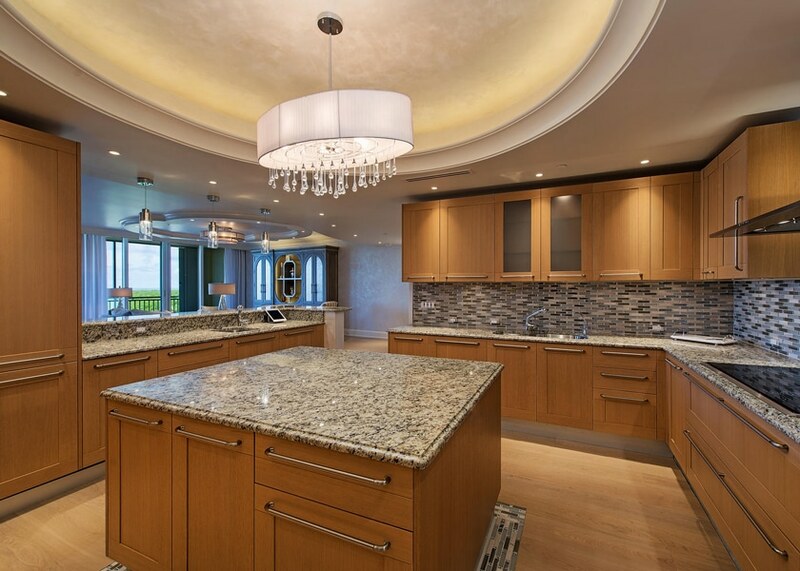 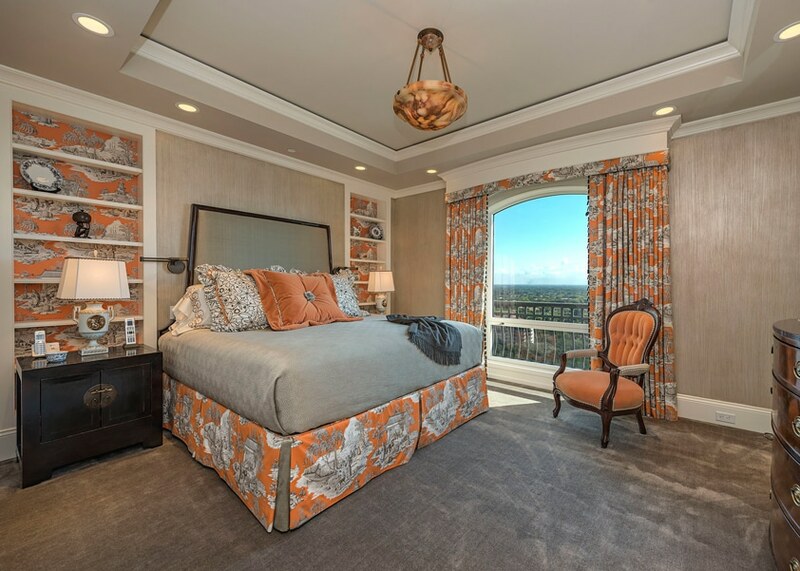 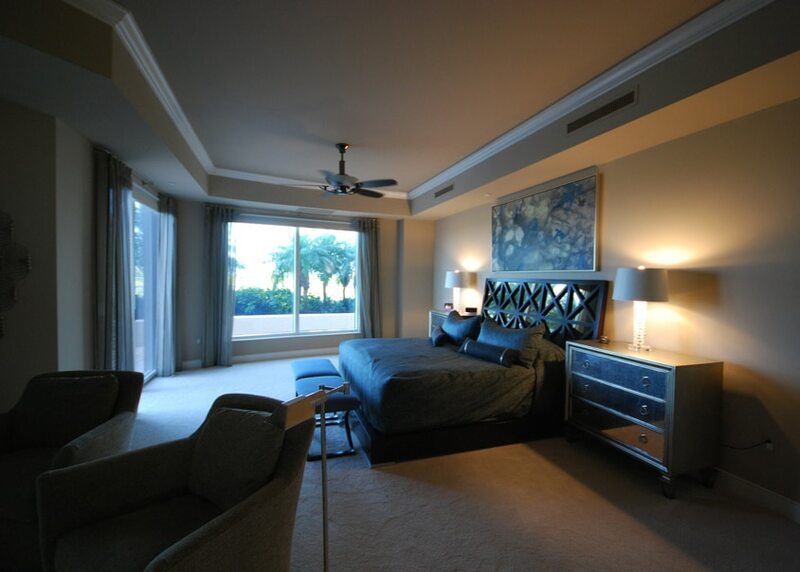 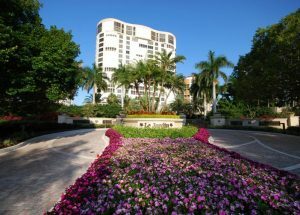 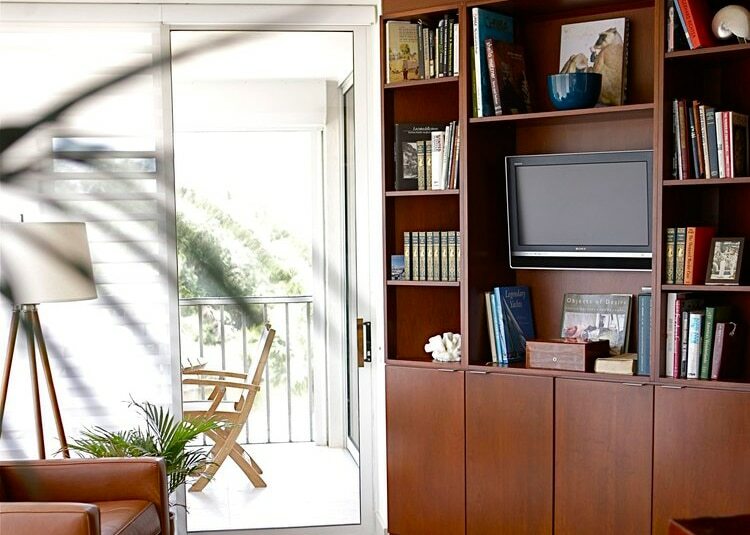 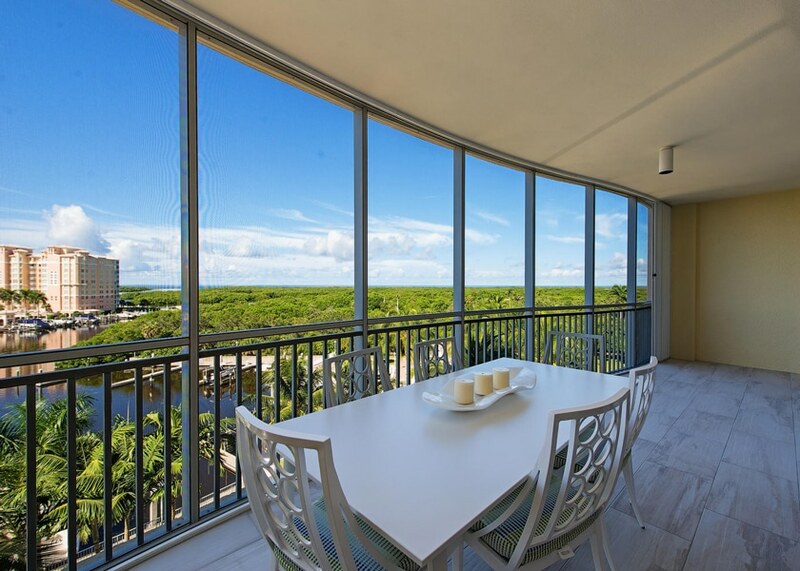 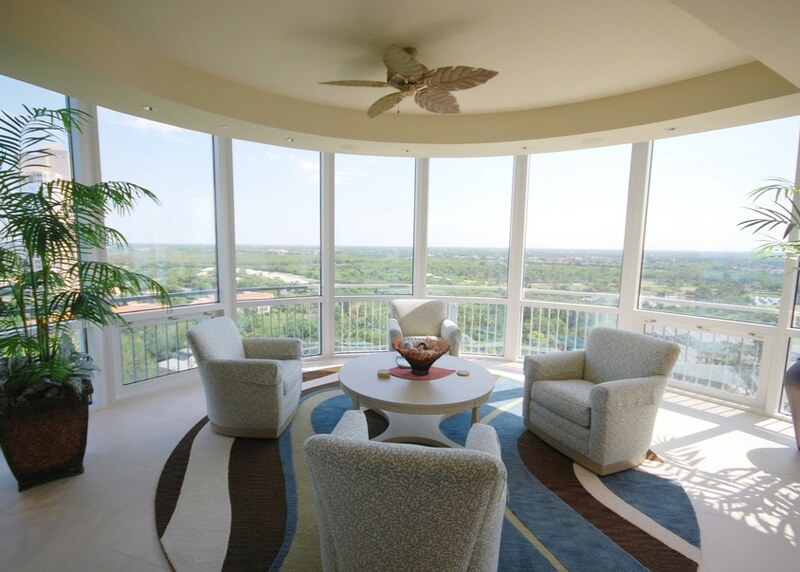 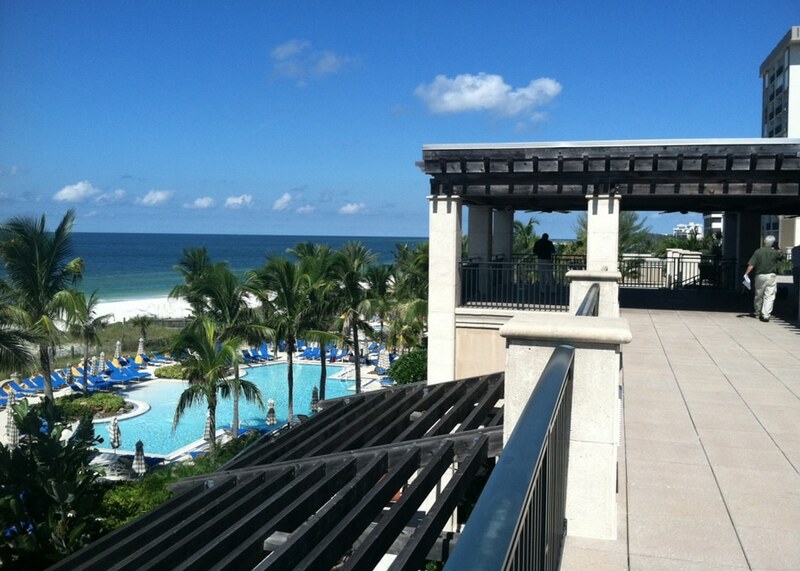 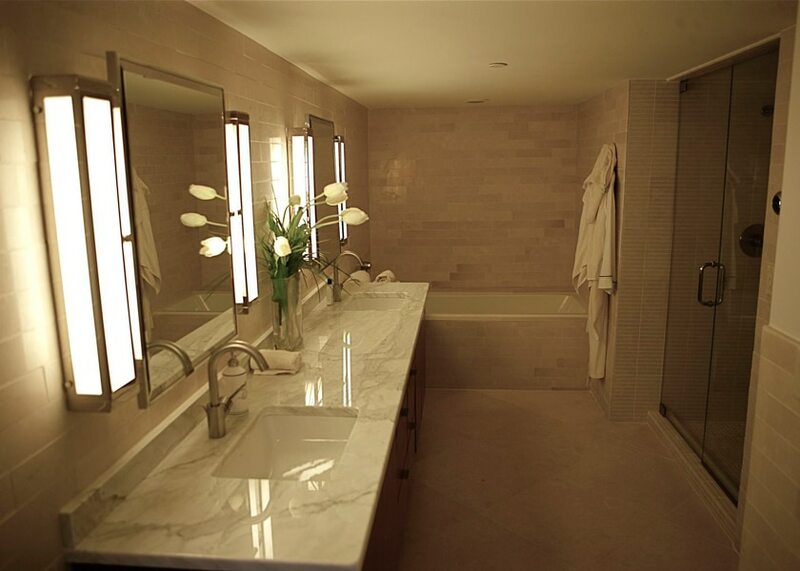 Connor & Gaskins renovated a luxury Brighton condominium at Bay Colony in Naples, FL. 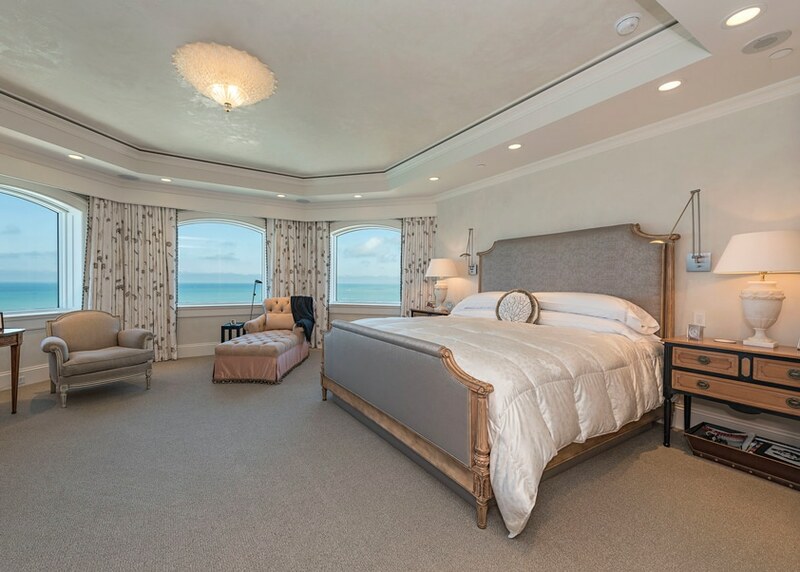 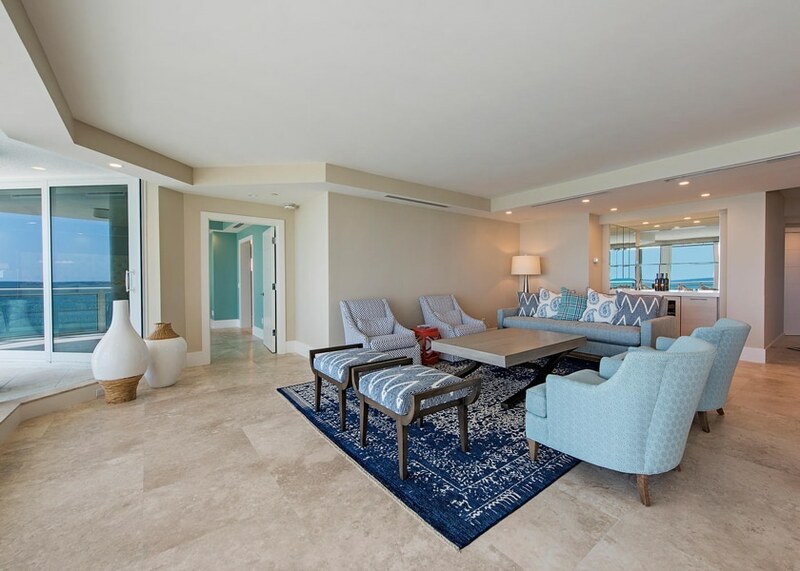 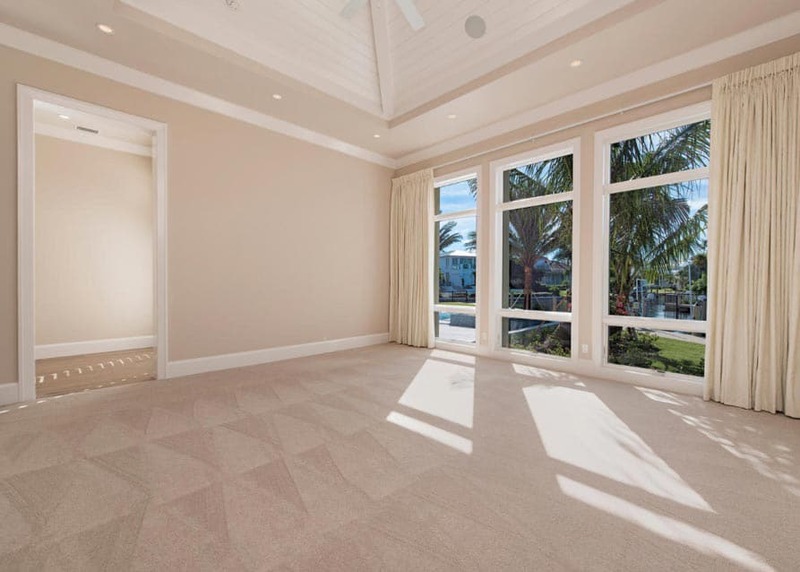 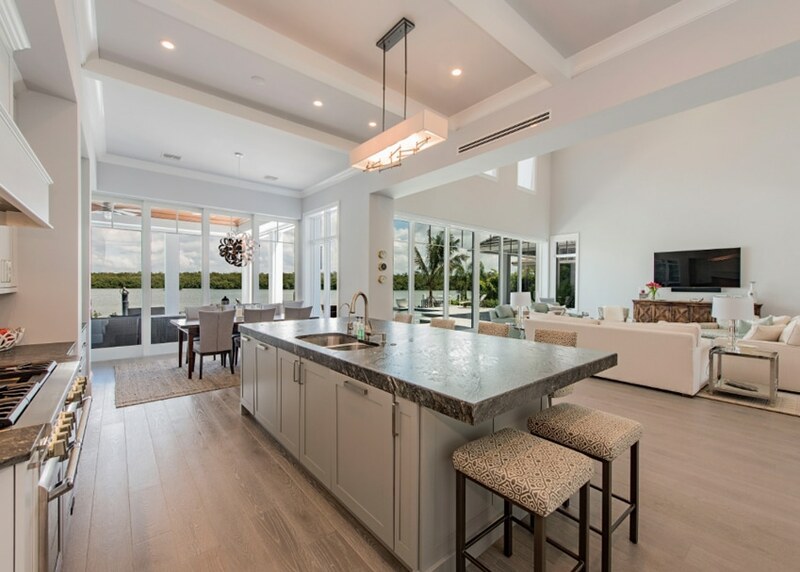 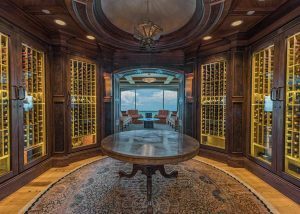 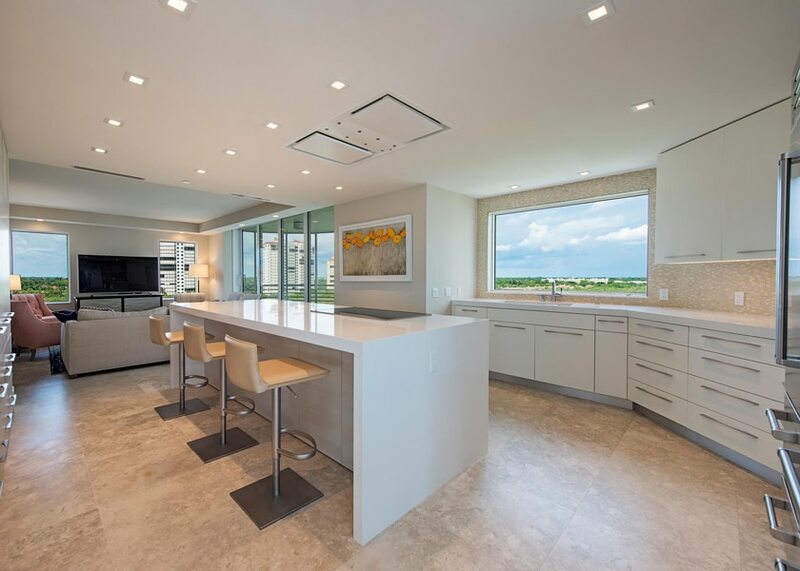 Connor & Gaskins renovated the interior of a residence in the St. Maarten condominiums located along the Pelican Bay region of Naples, FL. 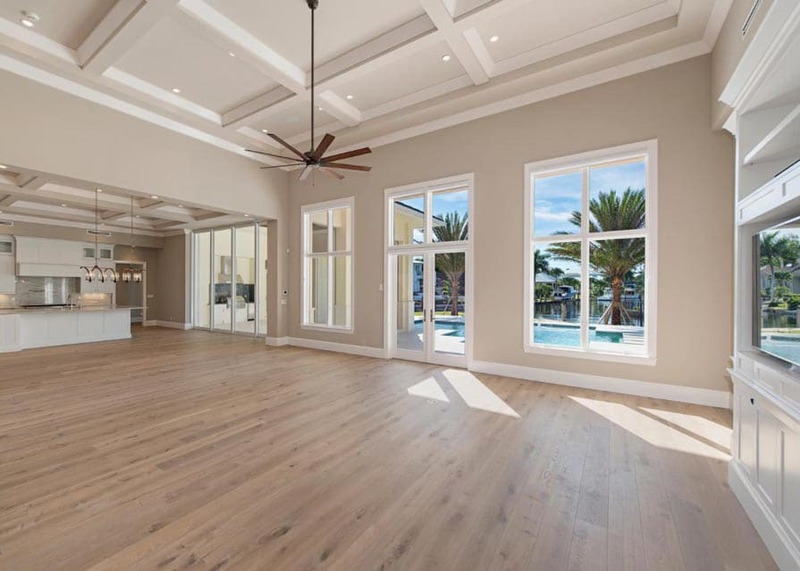 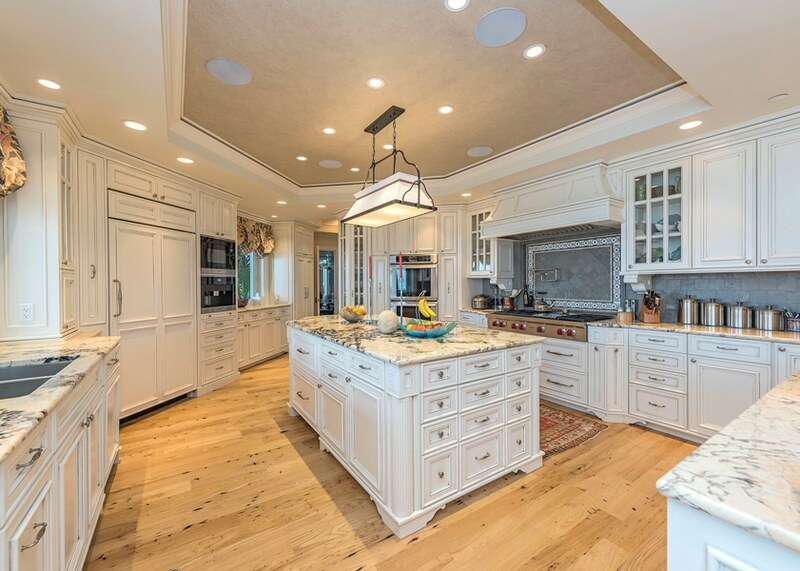 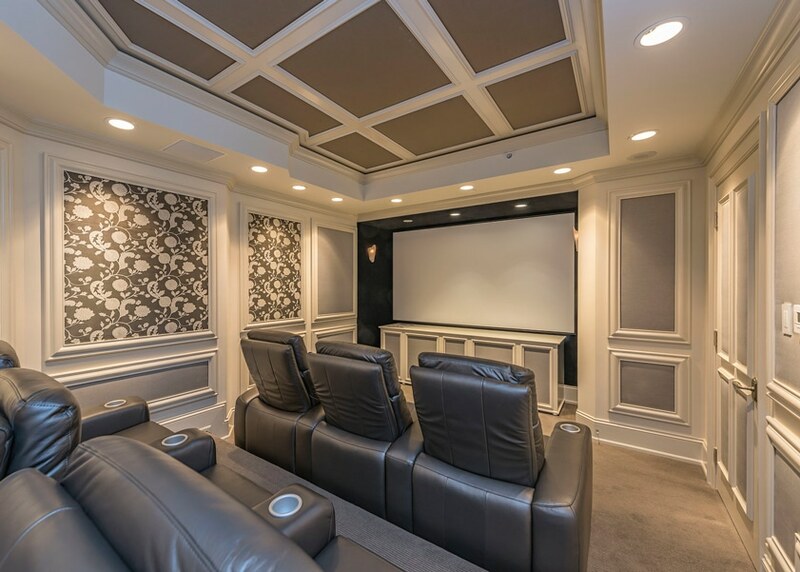 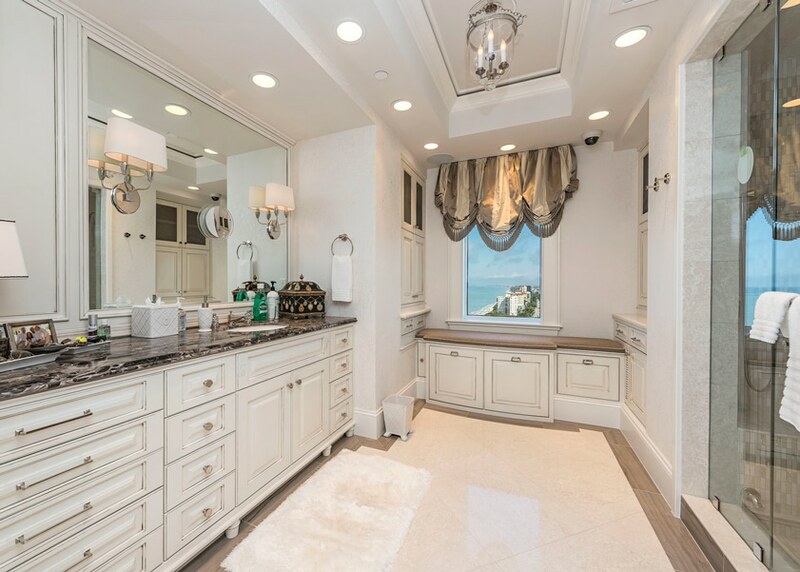 Connor & Gaskins renovated the interior and exterior of a custom home in the Vanderbilt Beach area of Naples, FL. 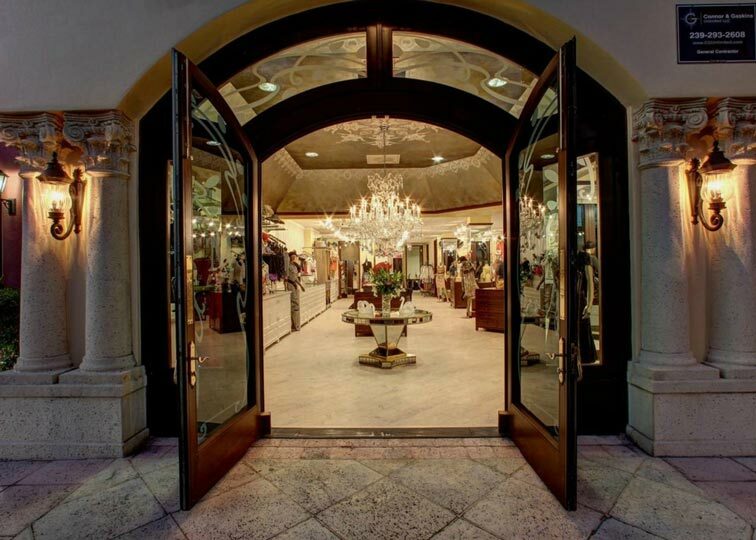 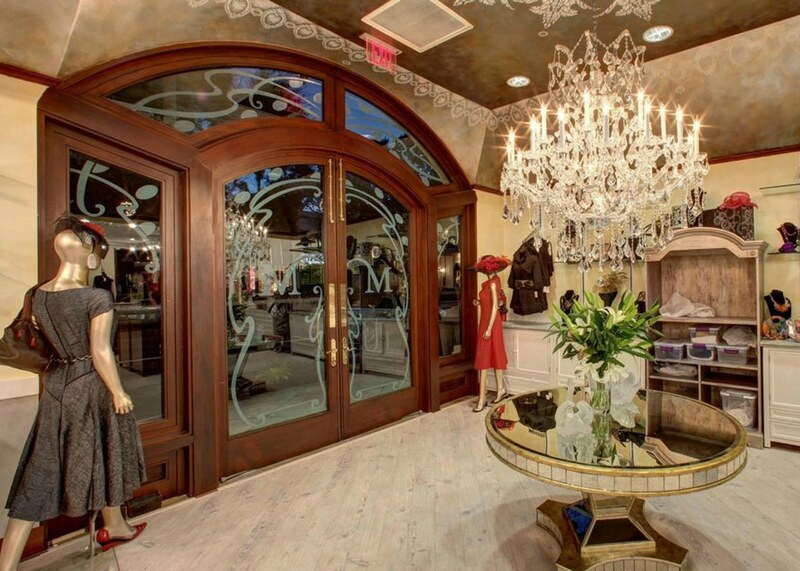 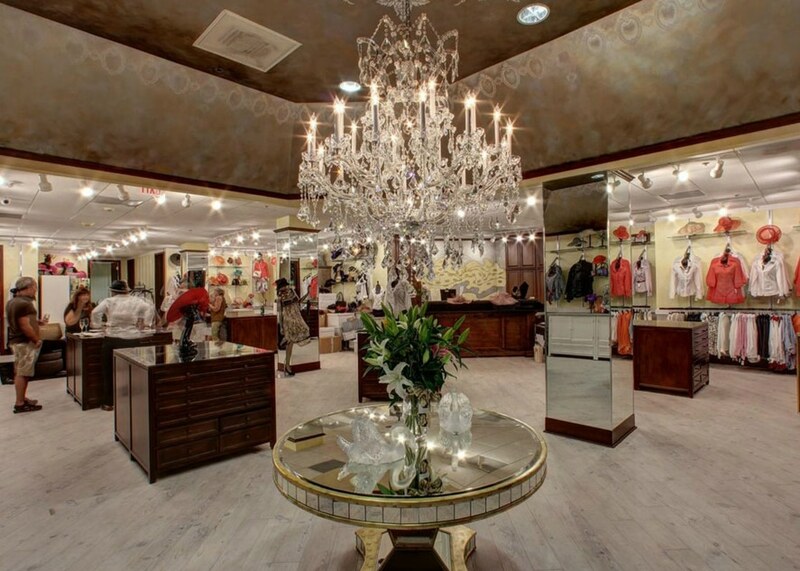 Connor & Gaskins renovated Marilyn’s Clothing Store in Naples, FL. 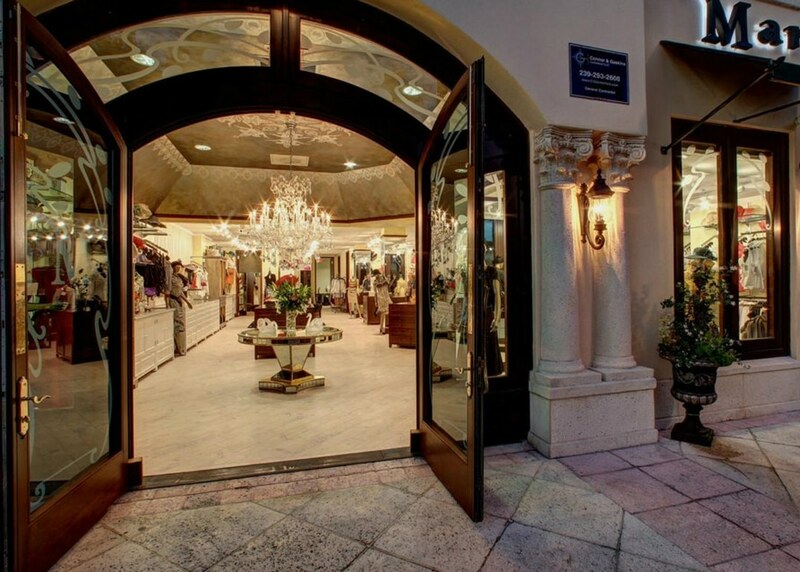 Marilyn’s Clothing Store is a refined luxury boutique located in the heart of Old Naples on 5th Avenue South know for its highly personalized service. 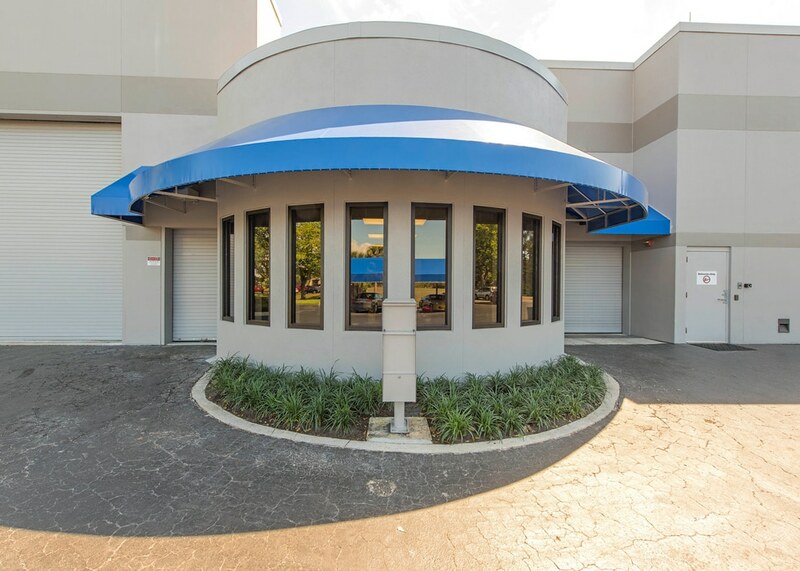 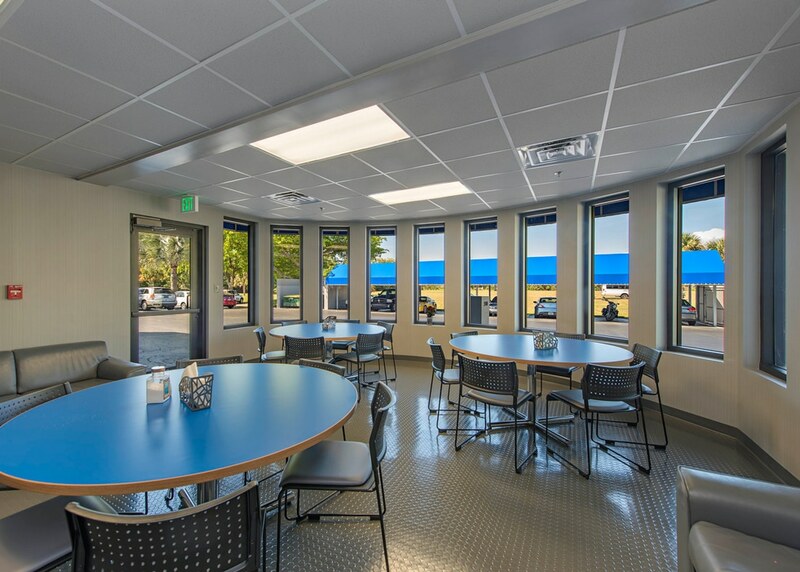 Connor & Gaskins renovated the exterior entrances and the cafeteria of the Collier Automotive Museum in Naples, FL. 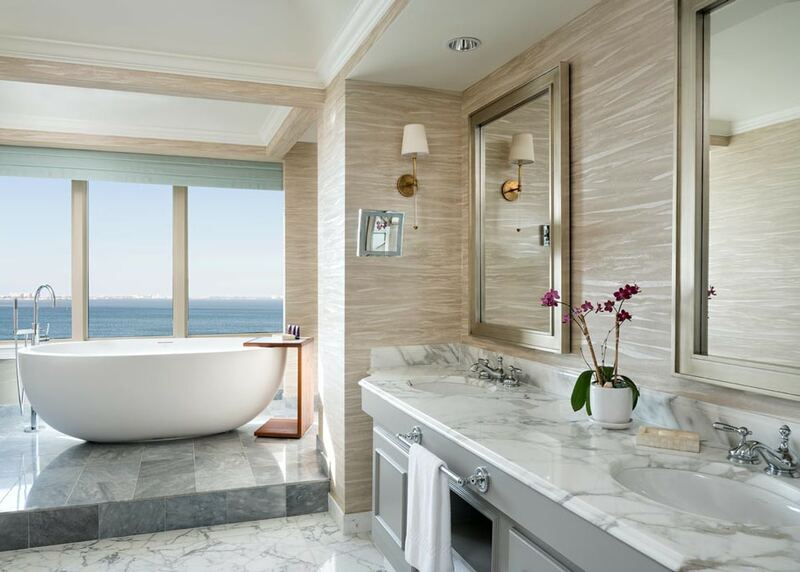 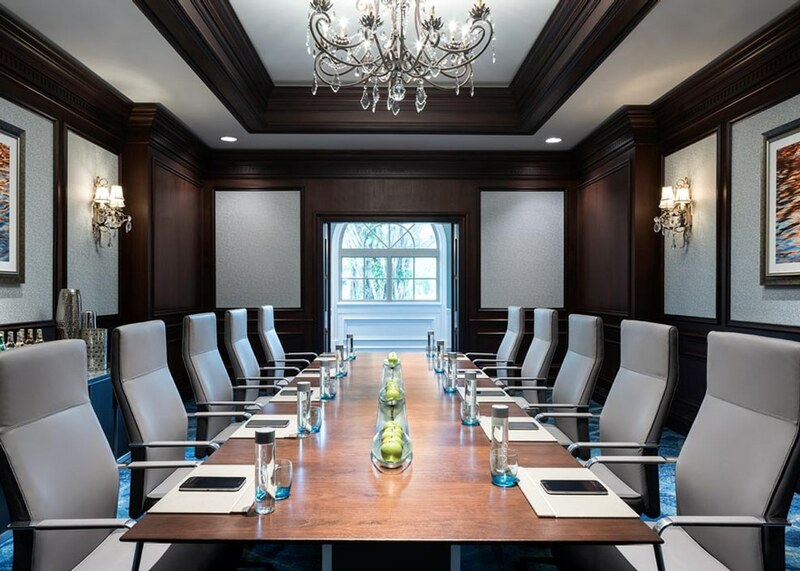 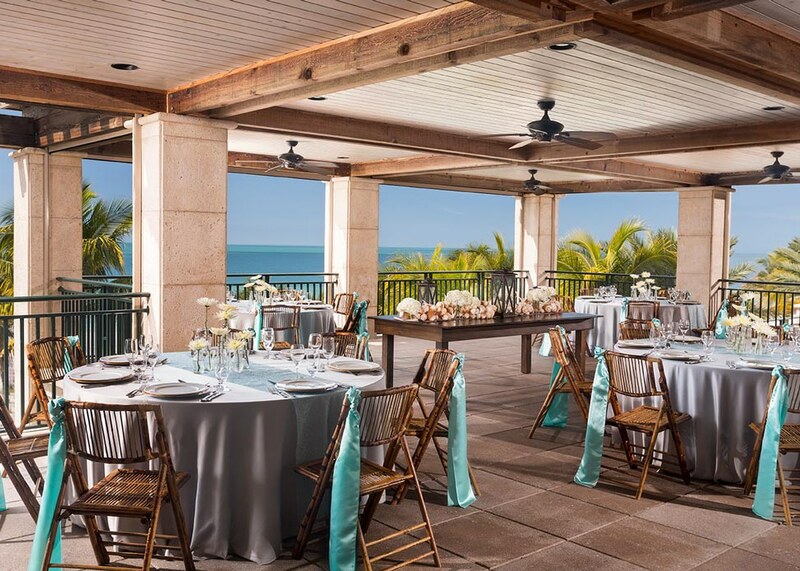 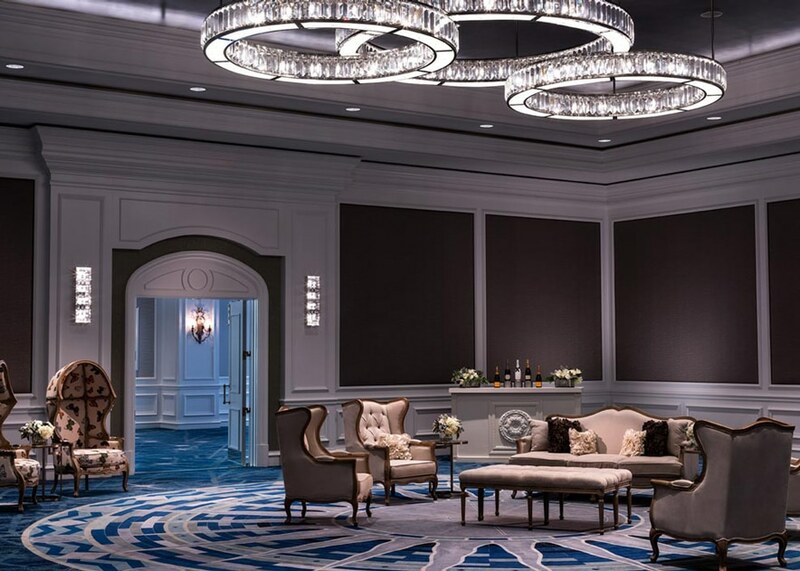 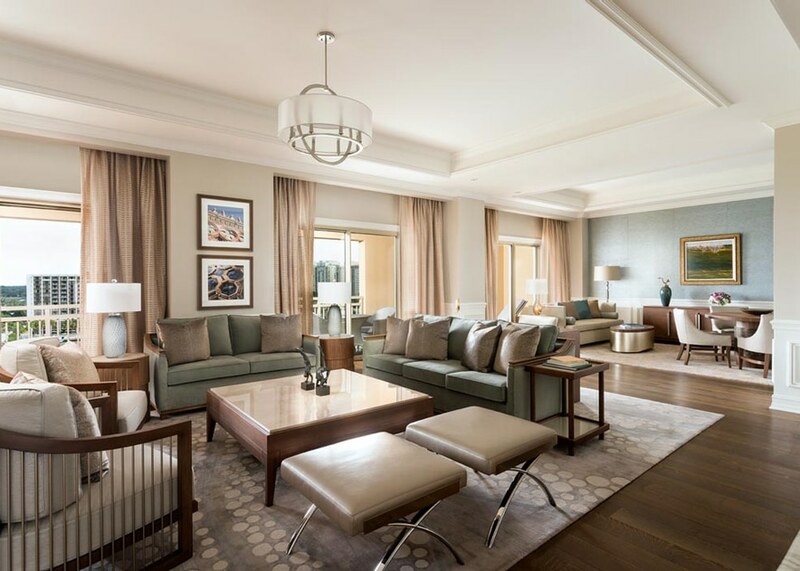 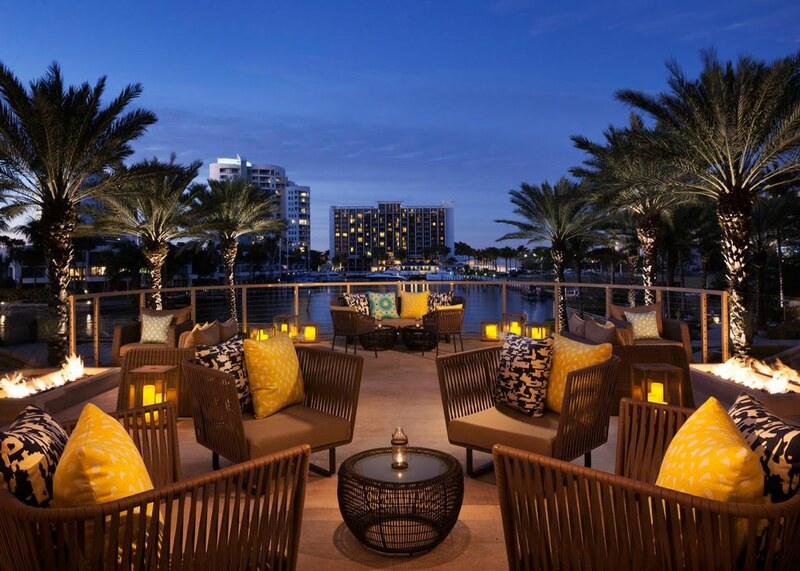 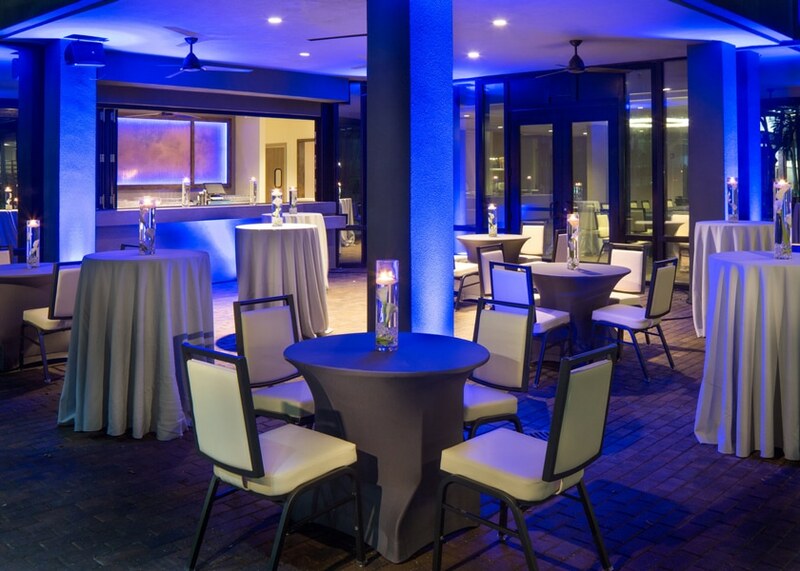 Connor & Gaskins provided extensive renovations to the Ritz Carlton Beach Club. 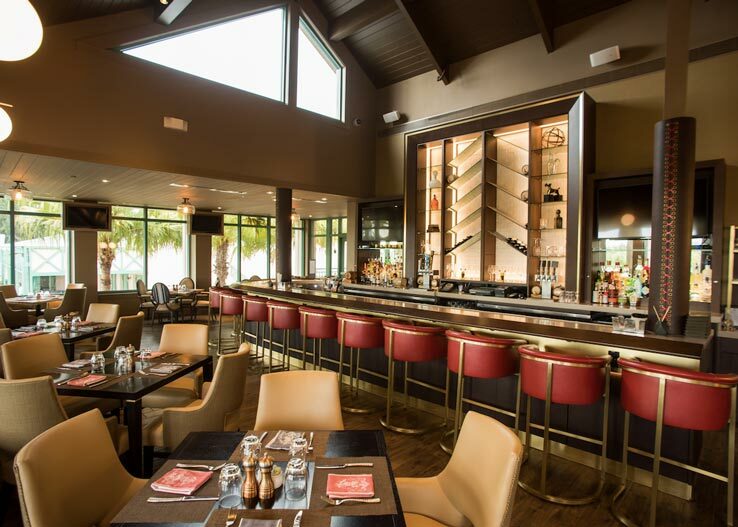 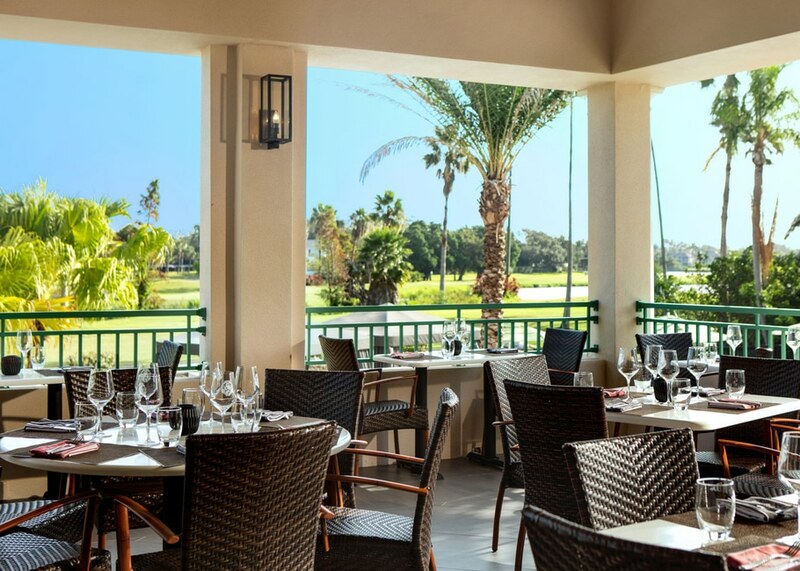 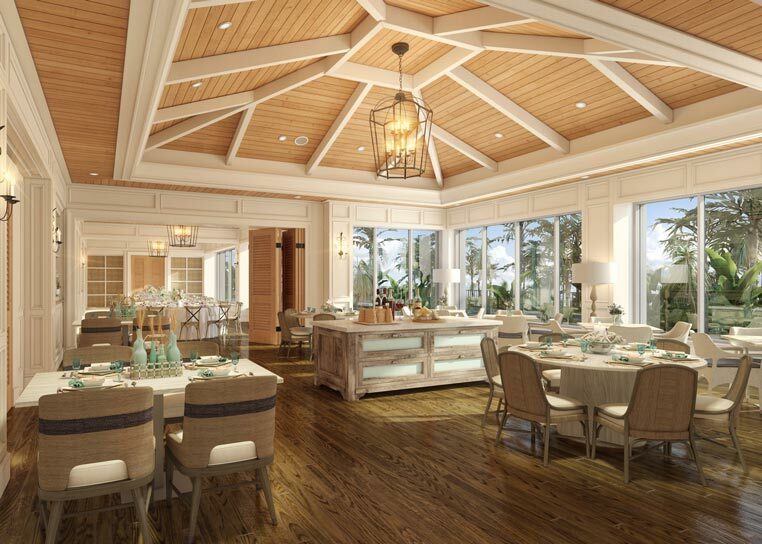 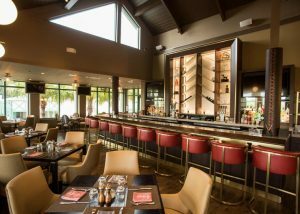 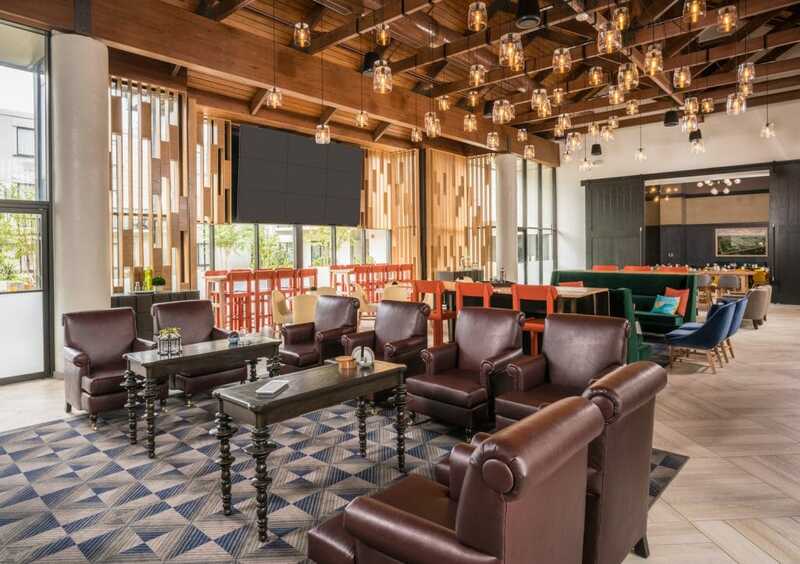 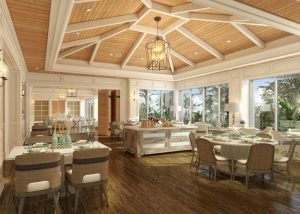 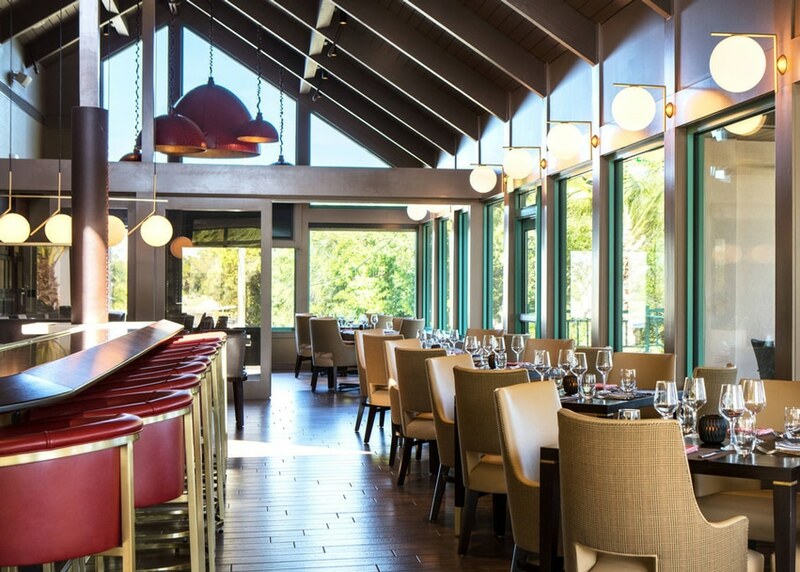 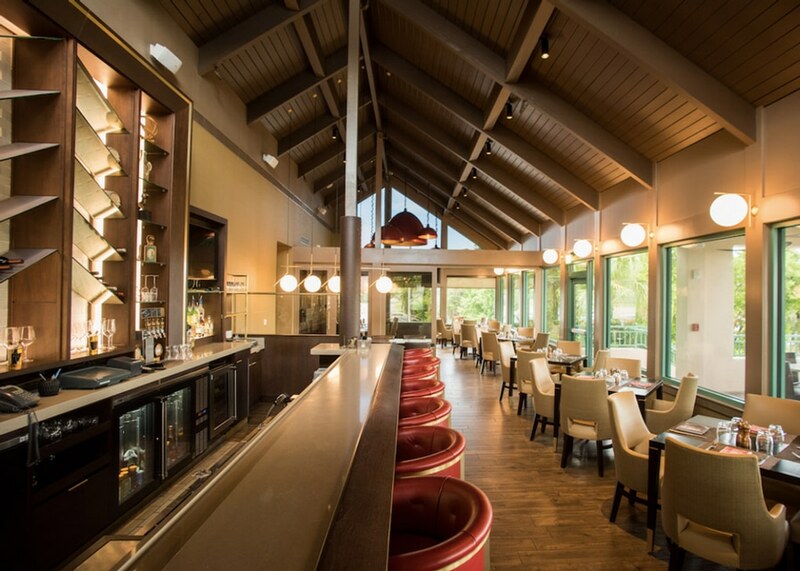 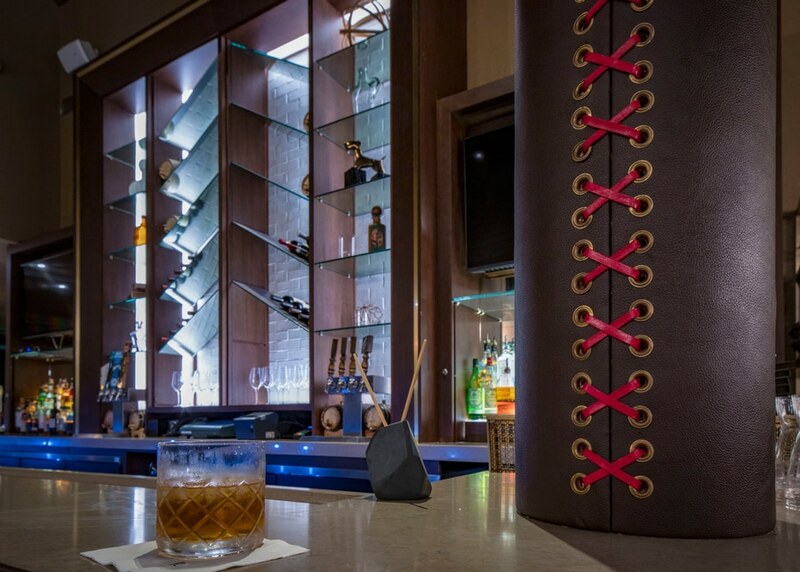 Connor & Gaskins provided extensive renovations to the Vinoy Golf Clubhouse from the bar to dining and relaxation areas. 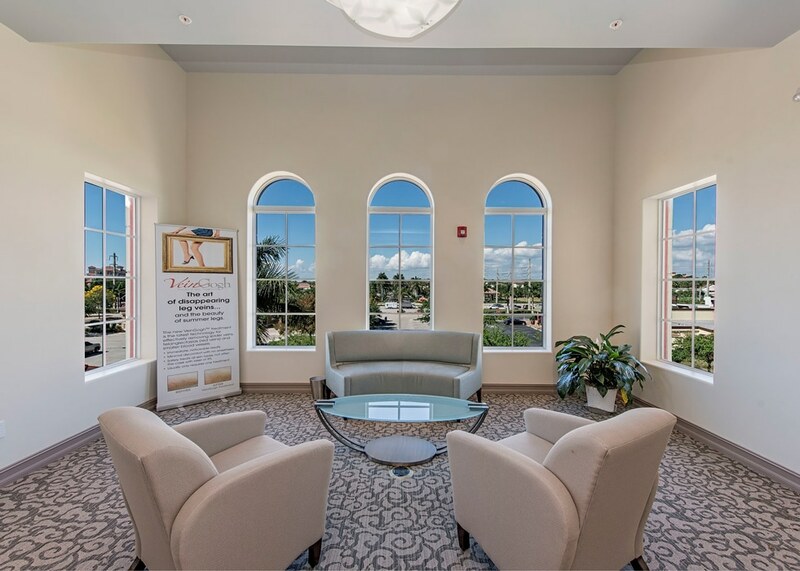 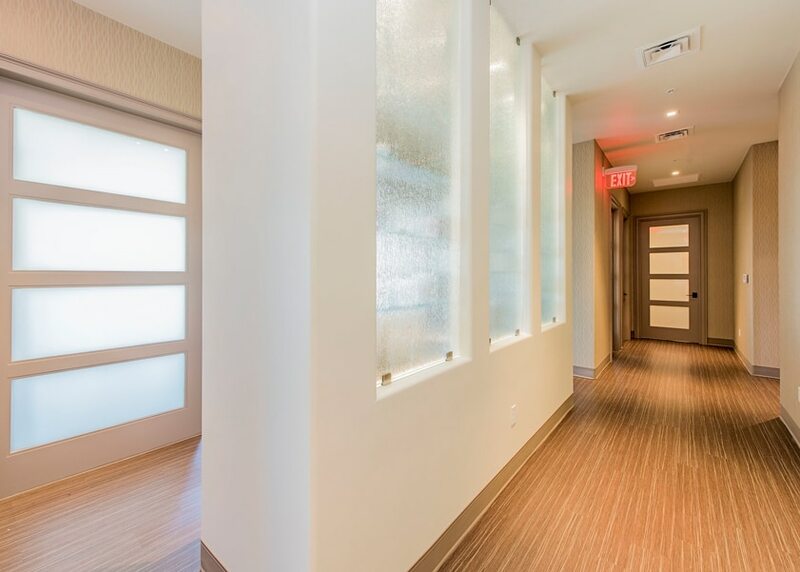 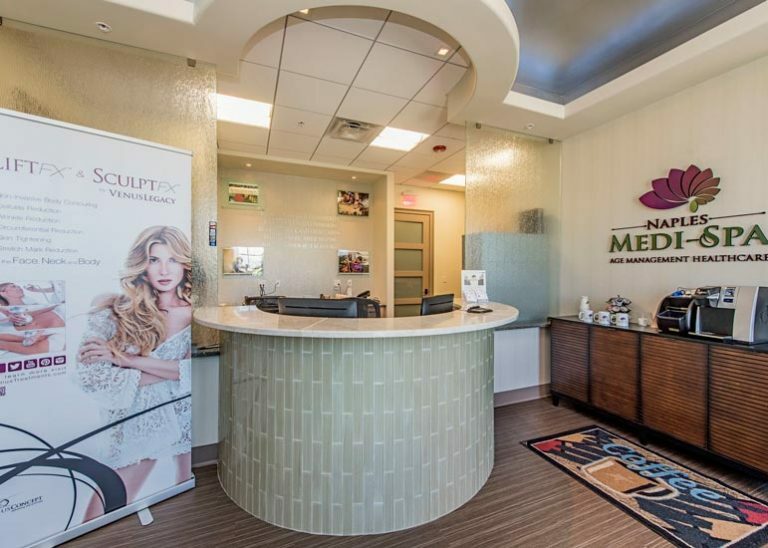 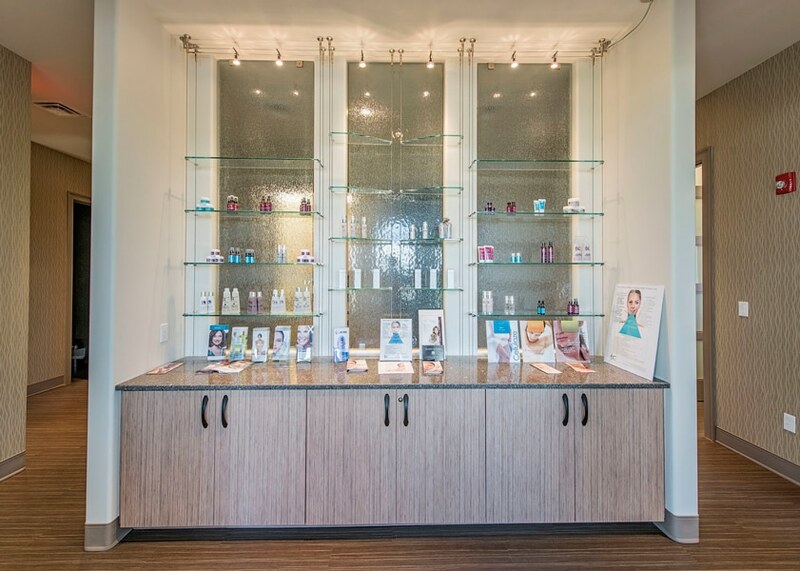 Connor & Gaskins renovated the Naples Medi Spa interior from the lobby and waiting room areas to the hallway and display cabinetry.